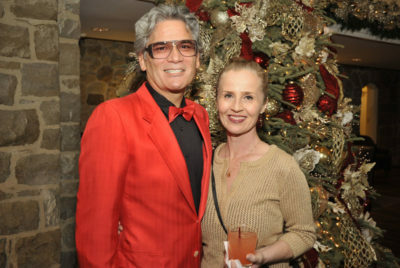 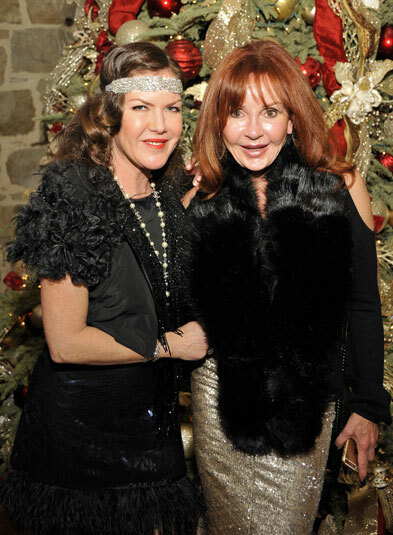 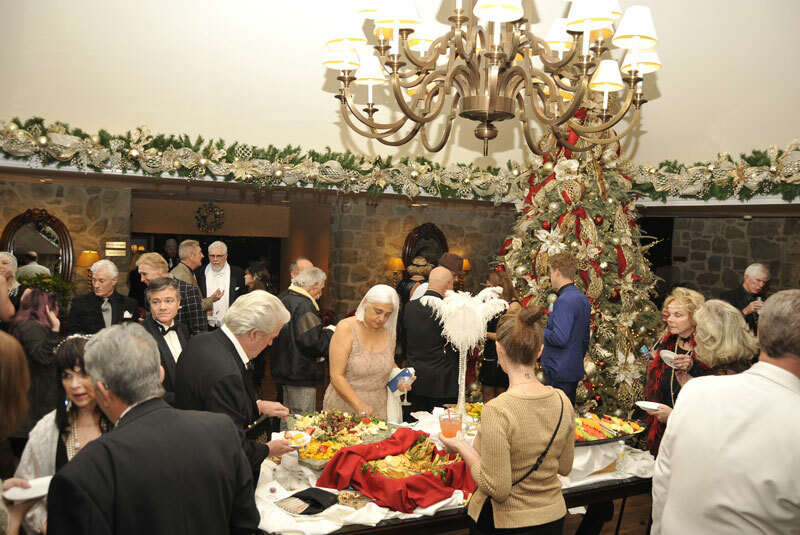 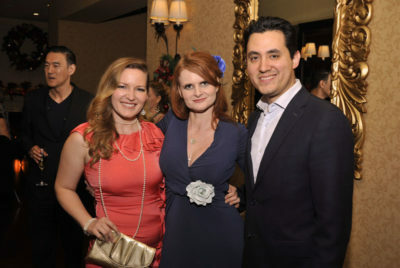 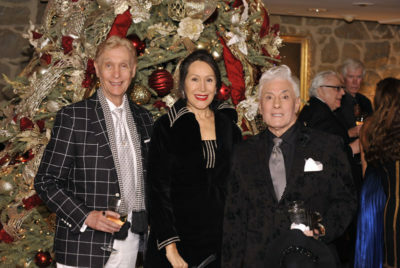 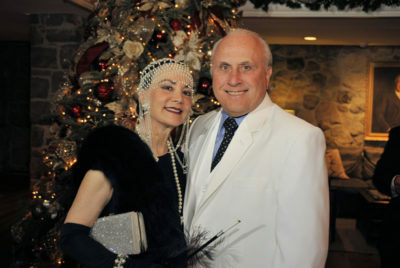 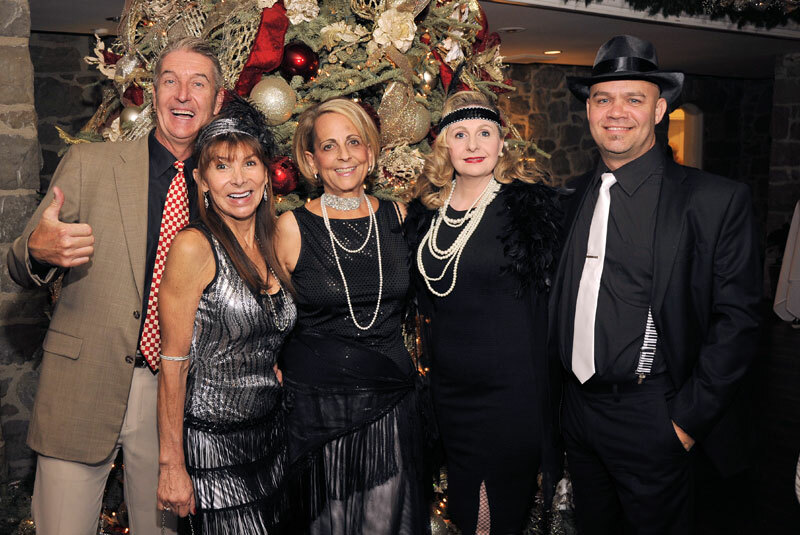 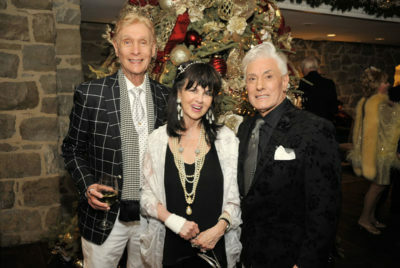 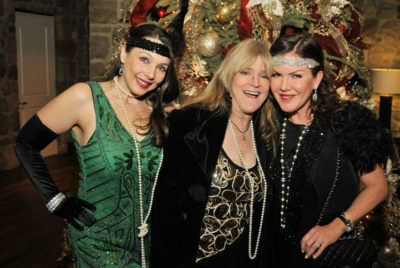 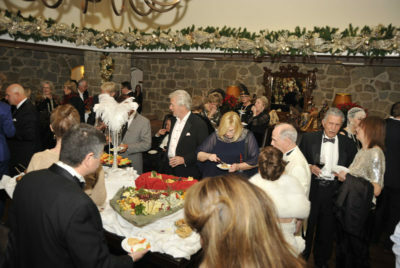 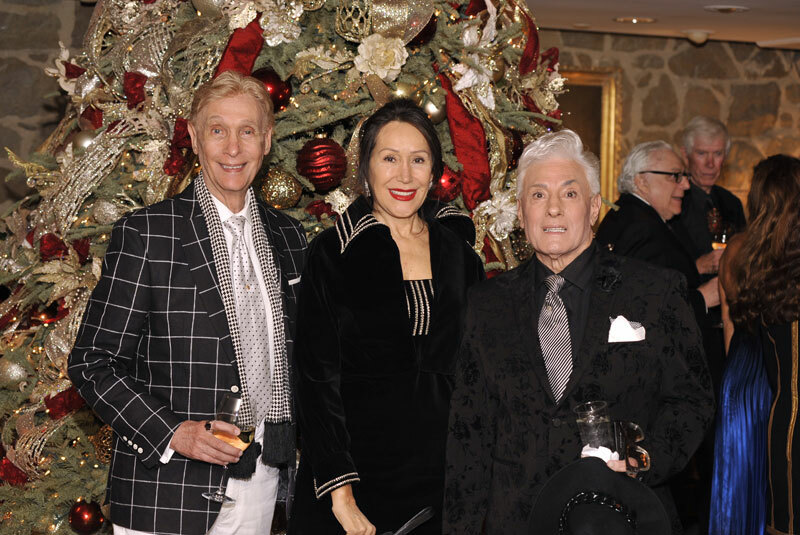 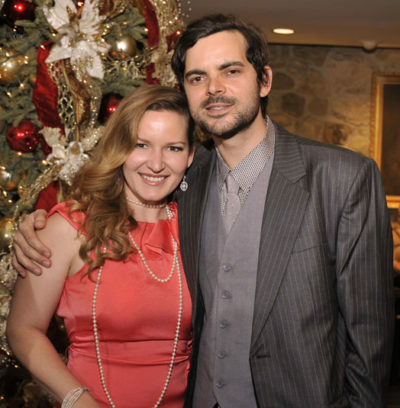 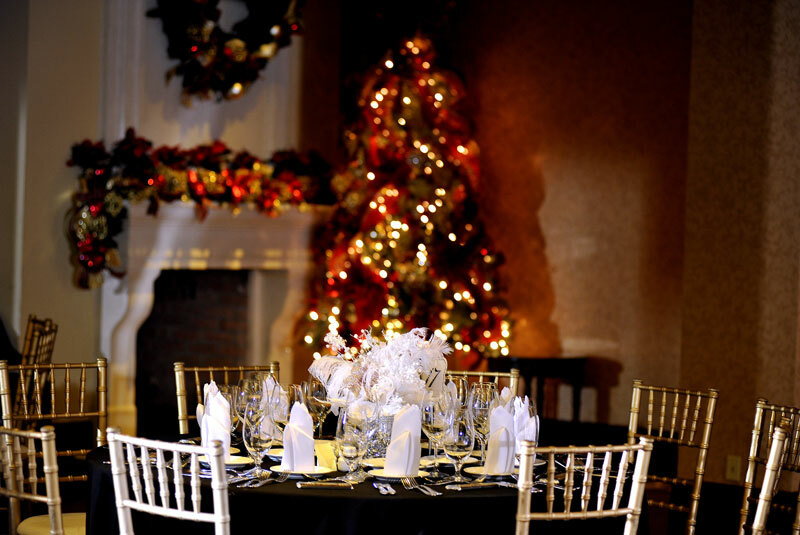 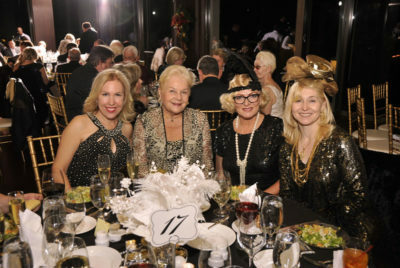 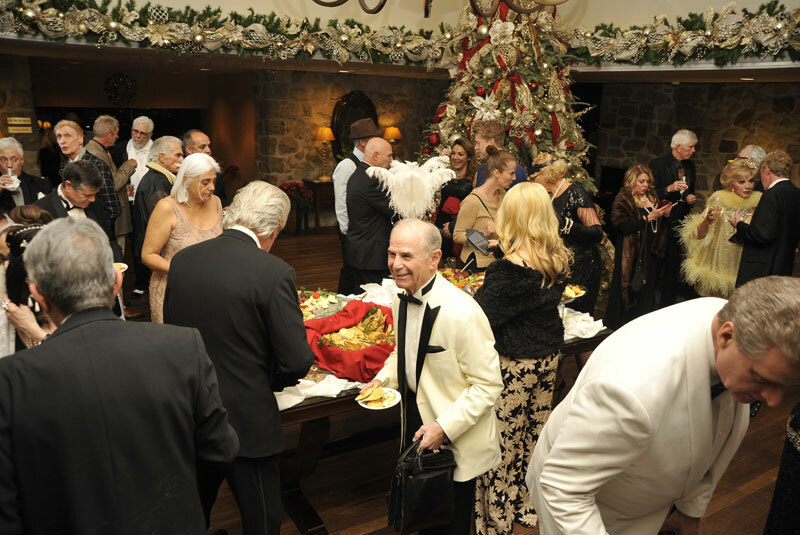 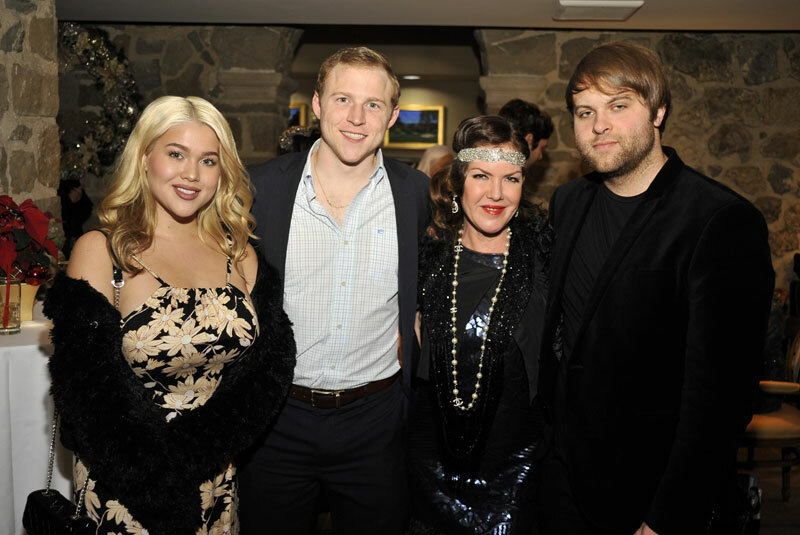 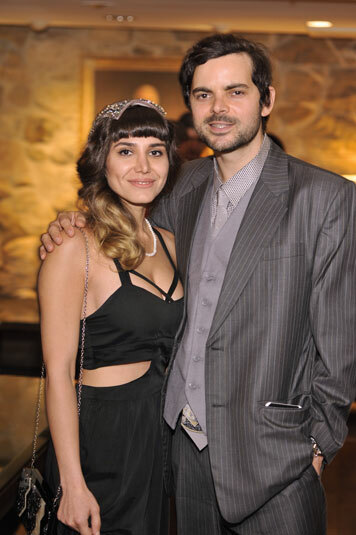 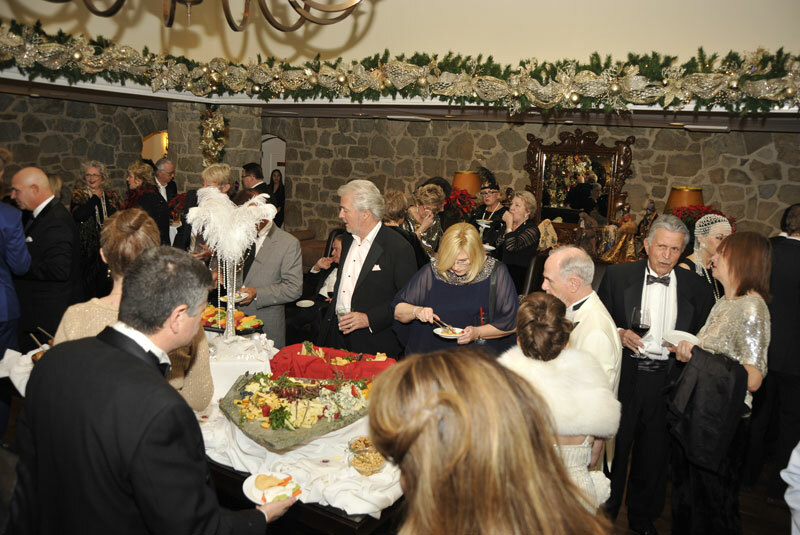 Thalians & Presidents Club Gatsby Holiday Party was held at the elegant and beautiful Bel-Air Country Club on Saturday, December 9, 2017. 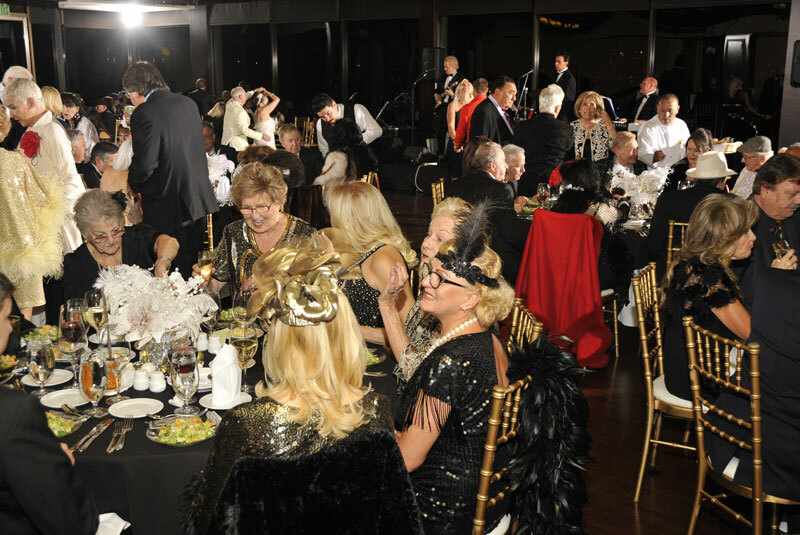 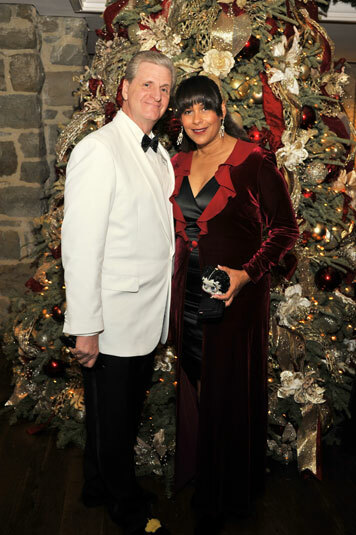 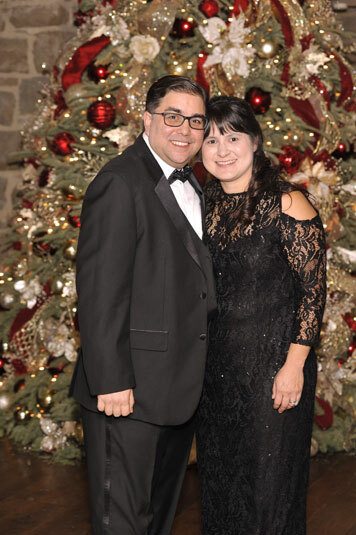 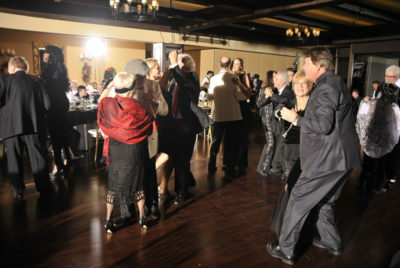 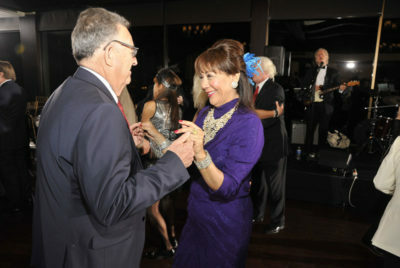 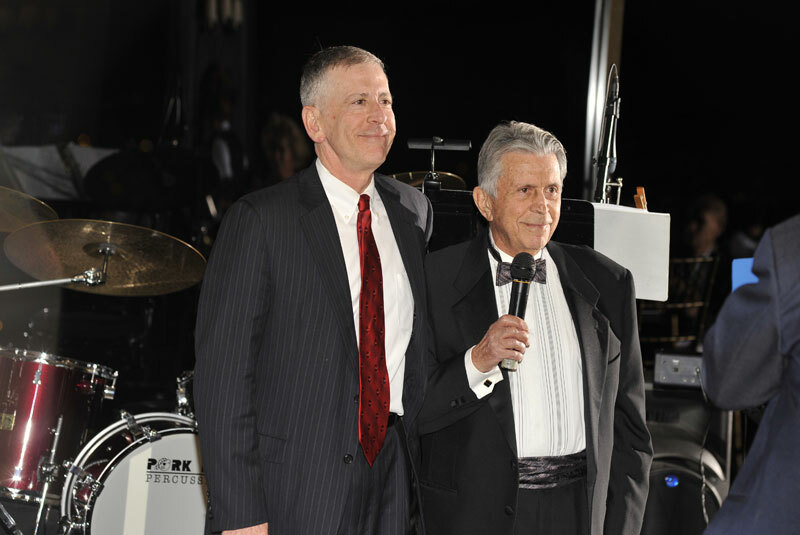 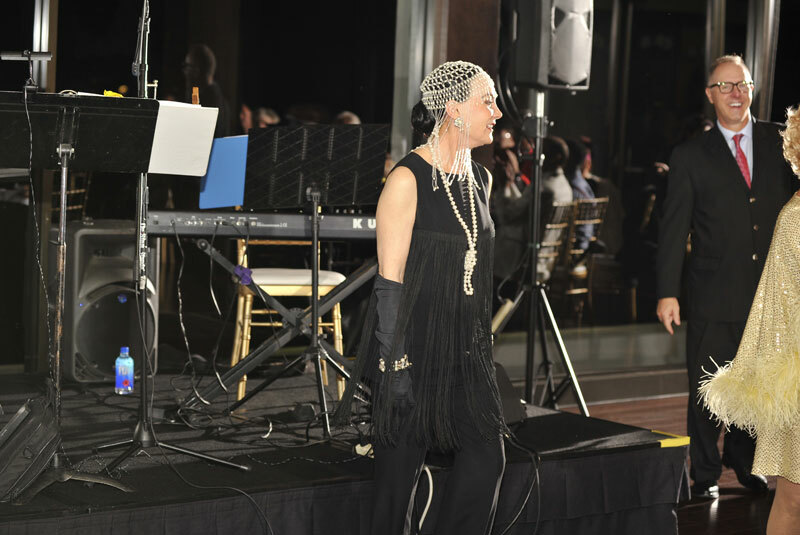 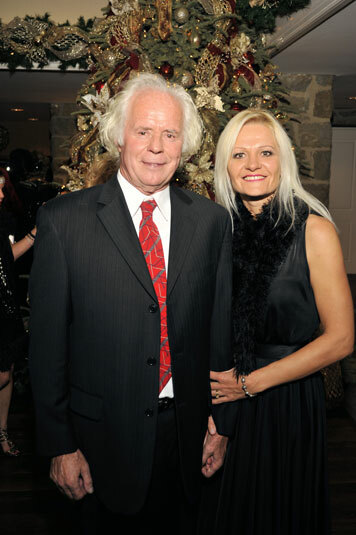 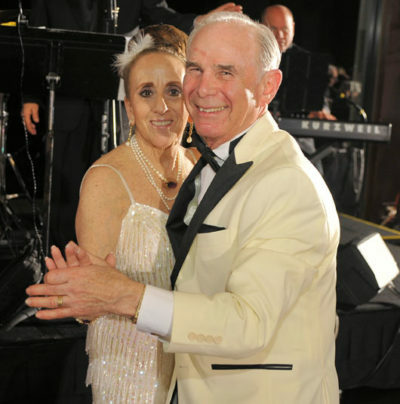 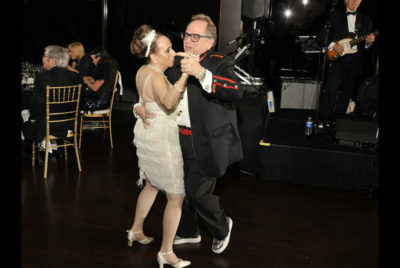 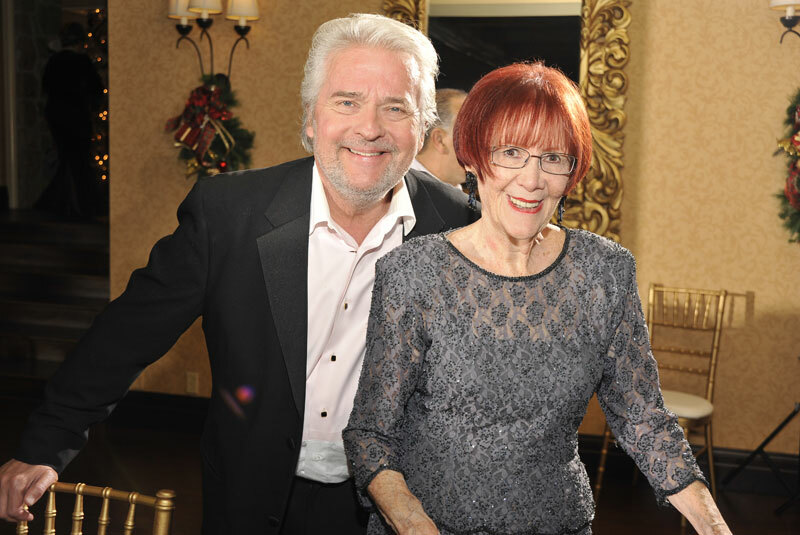 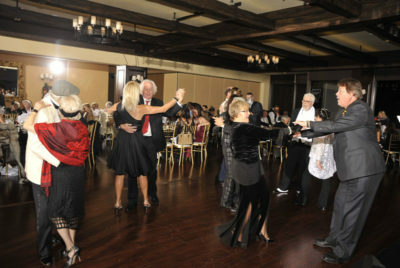 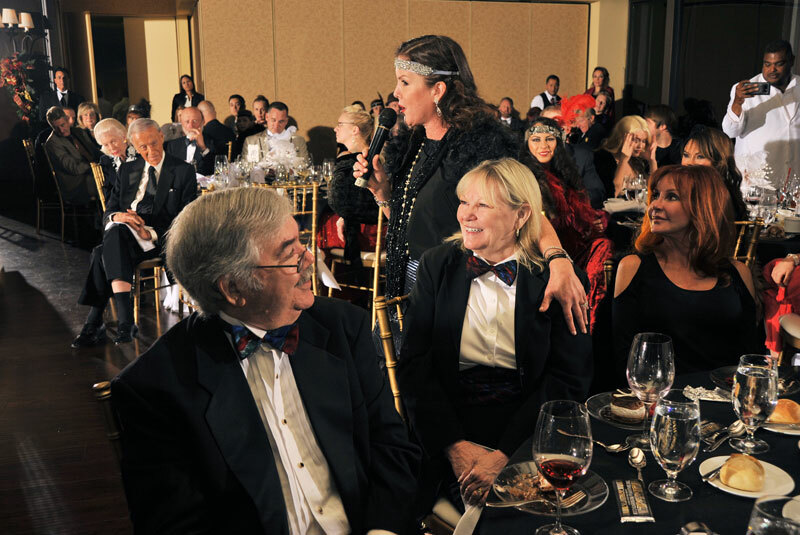 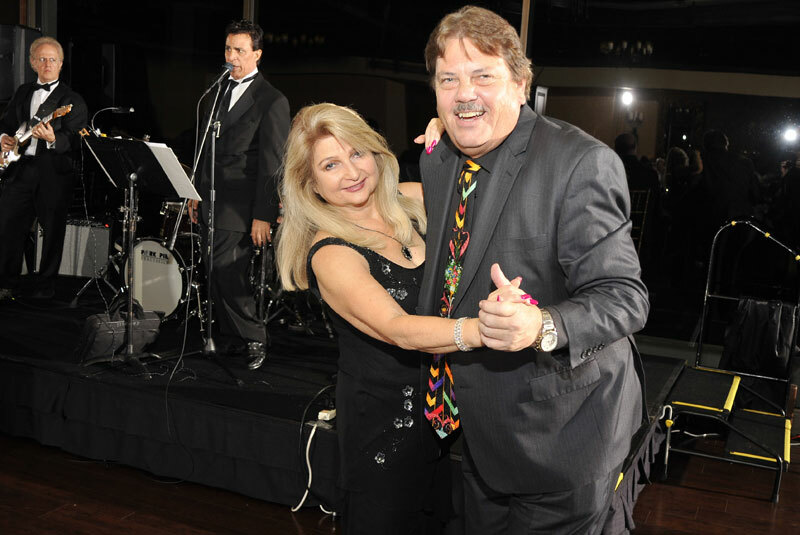 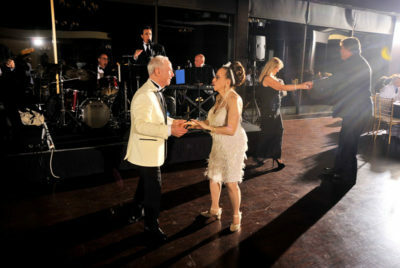 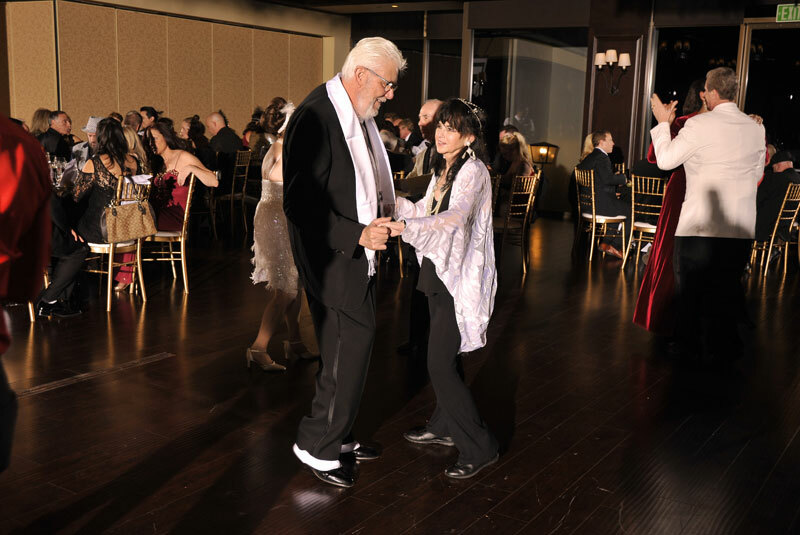 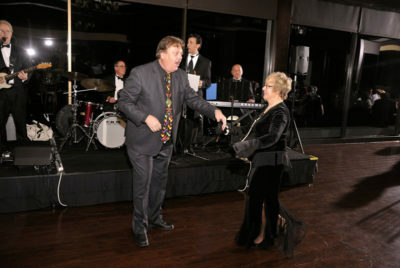 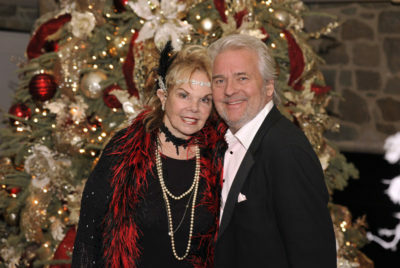 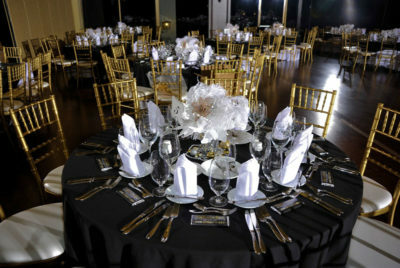 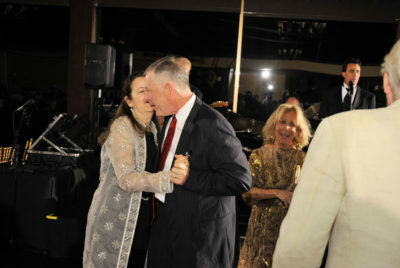 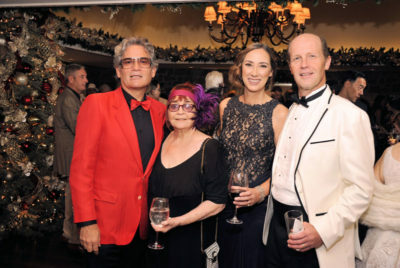 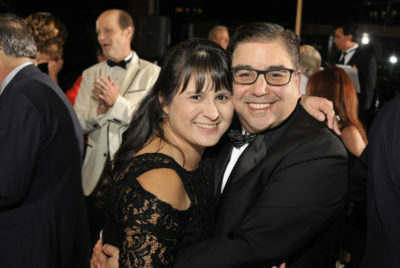 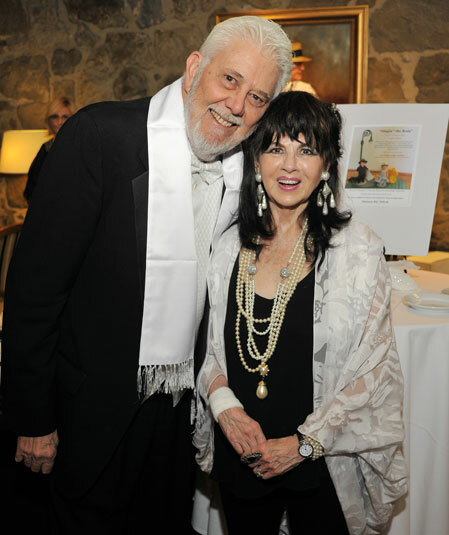 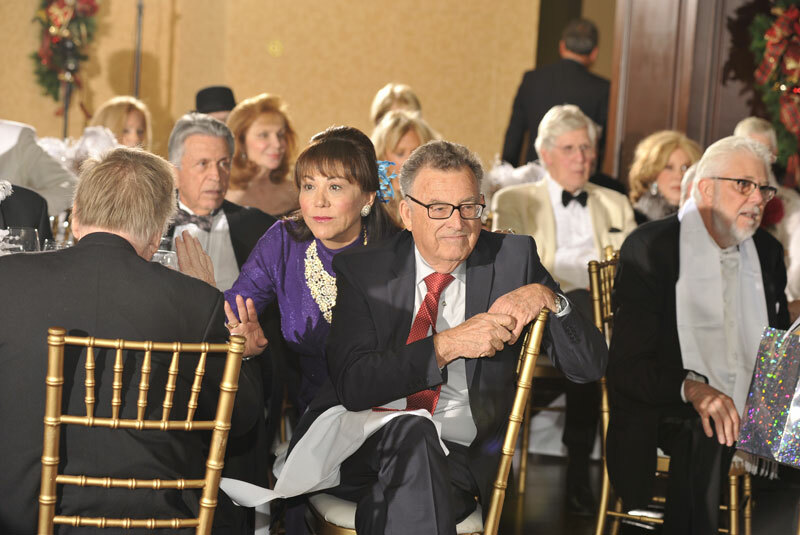 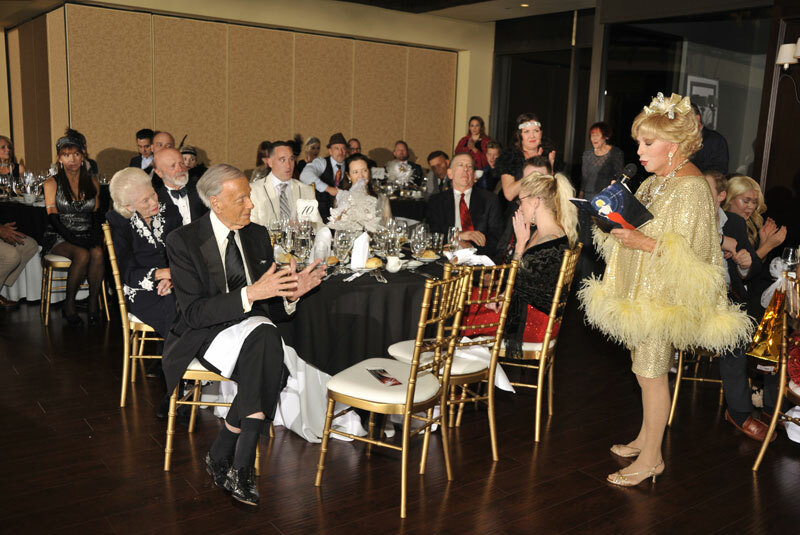 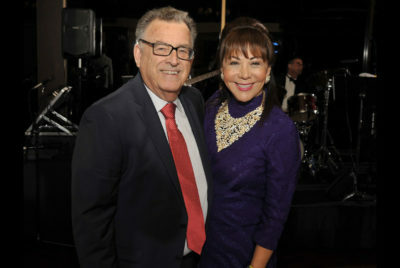 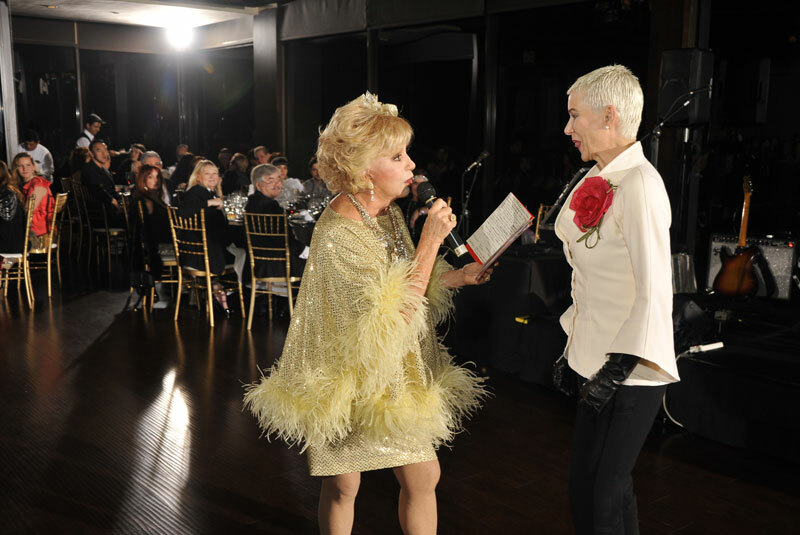 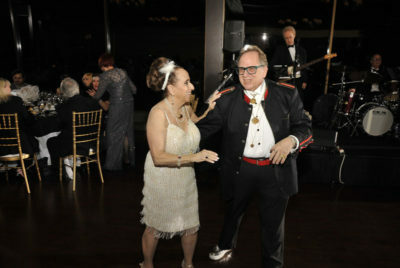 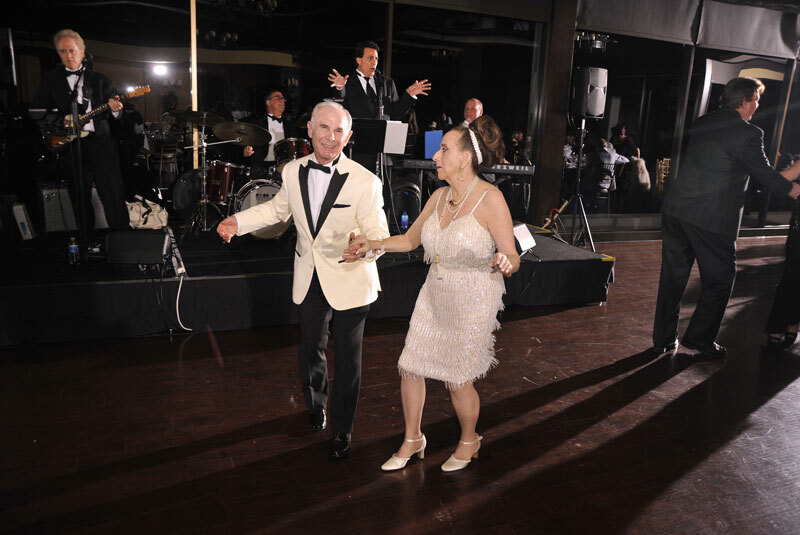 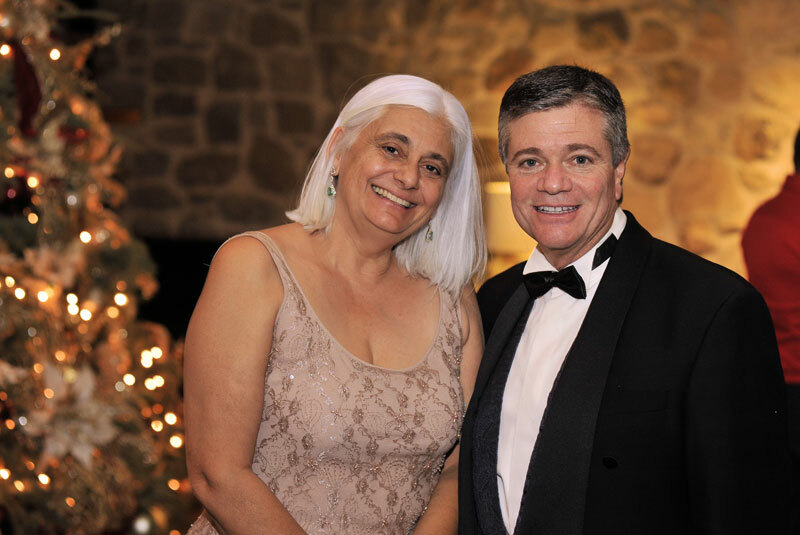 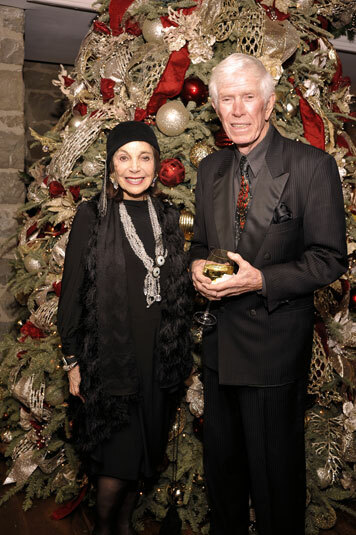 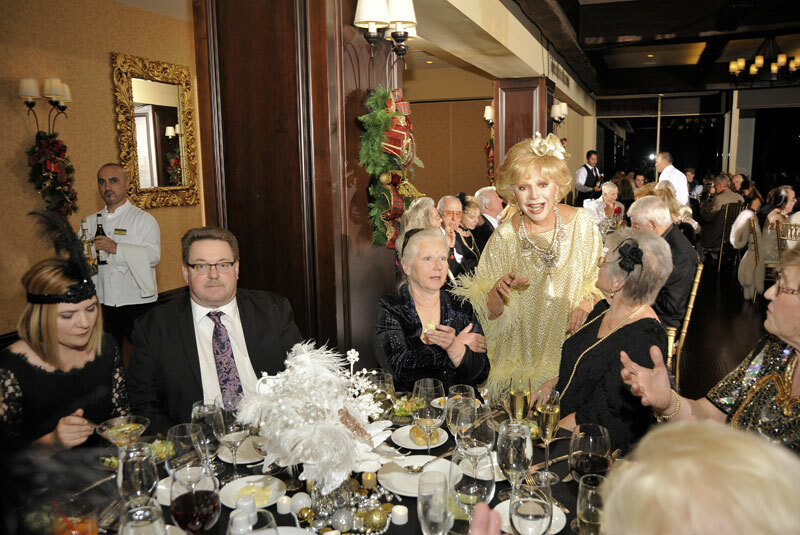 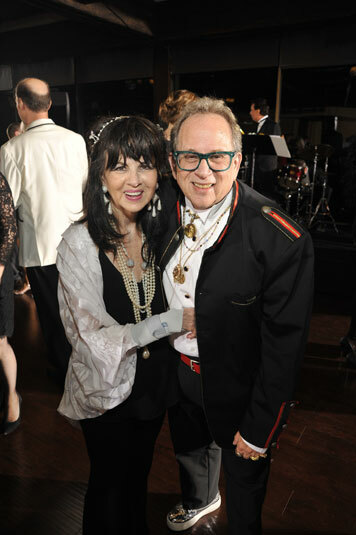 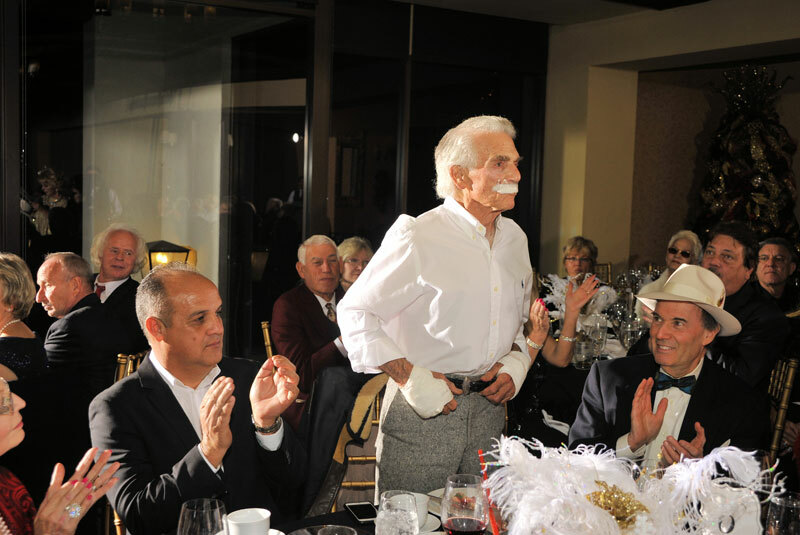 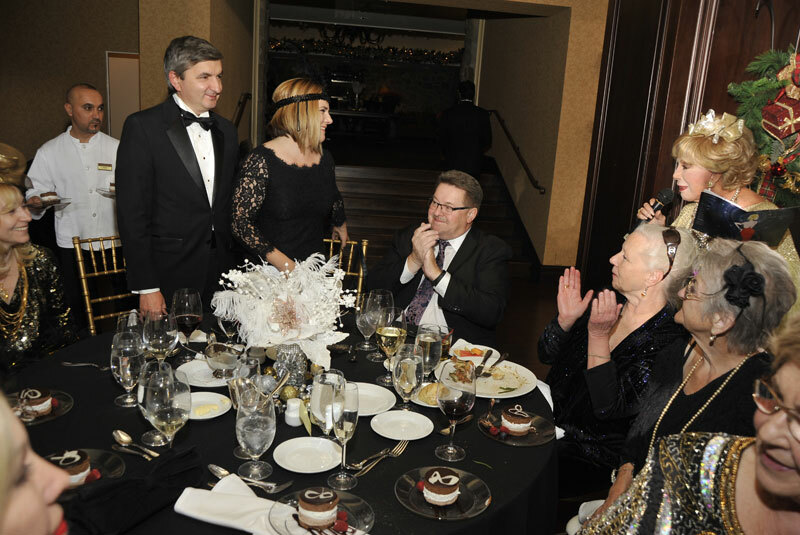 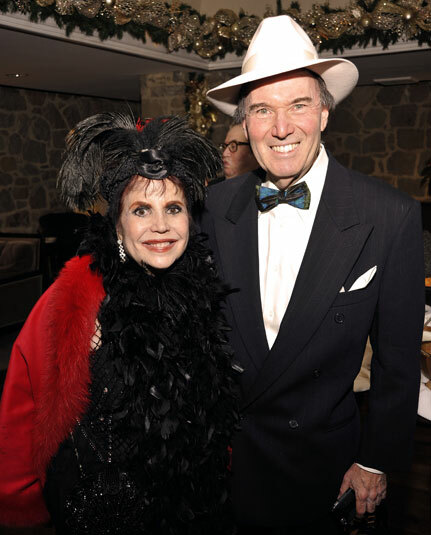 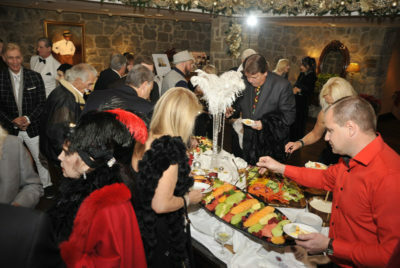 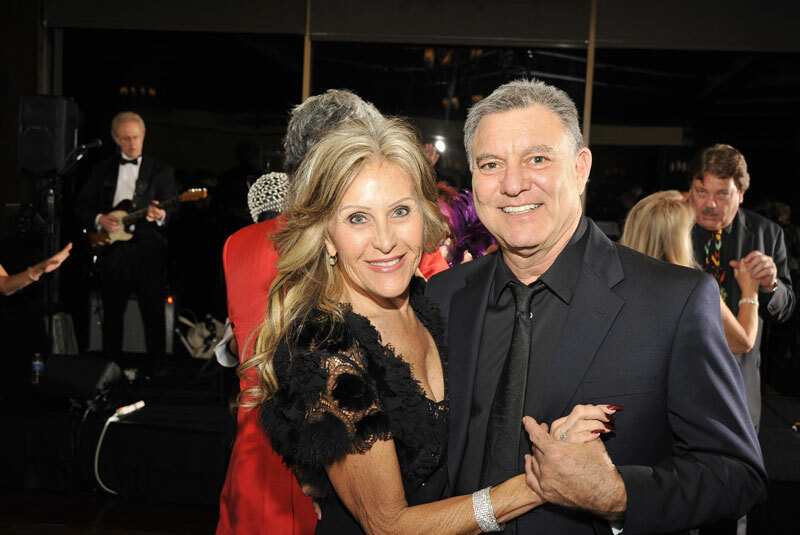 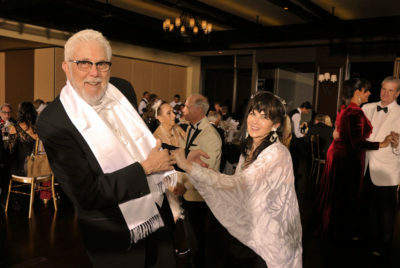 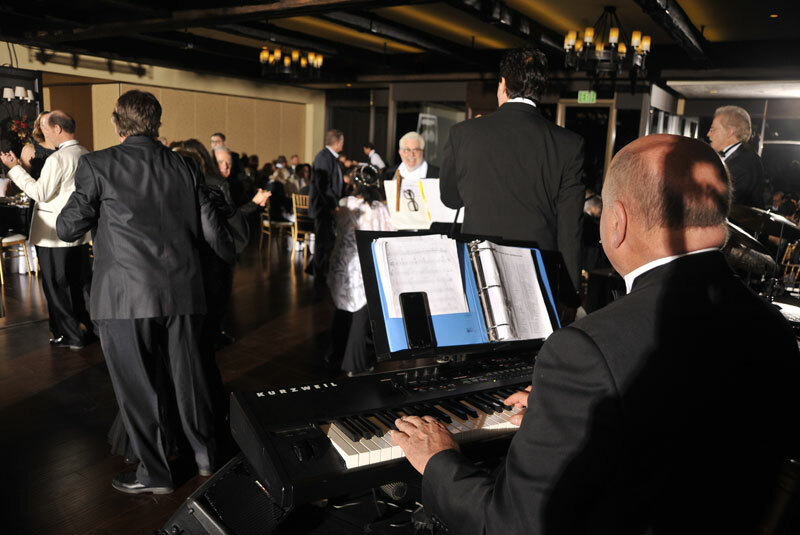 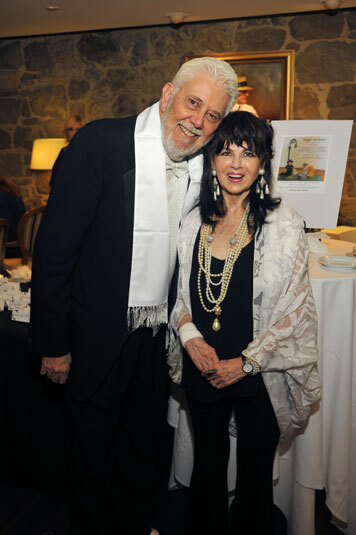 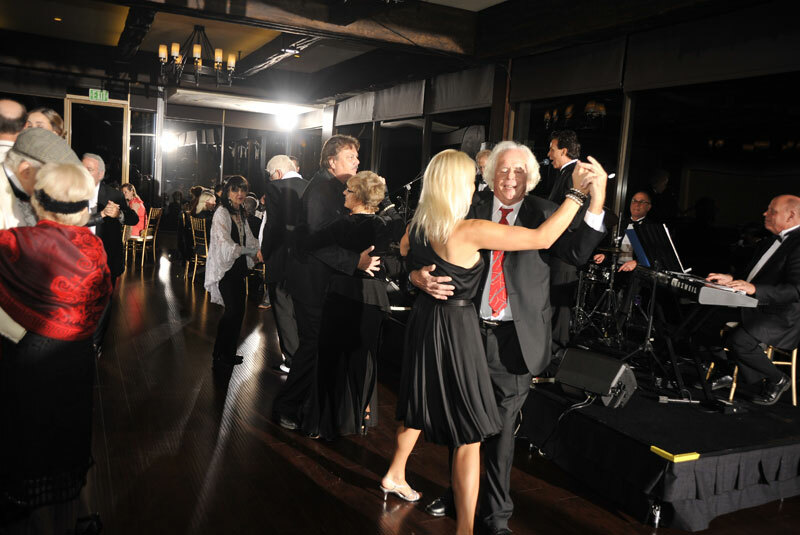 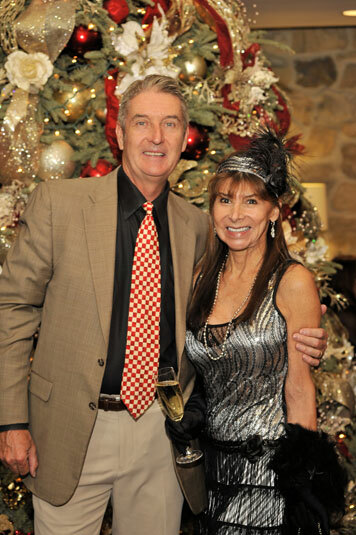 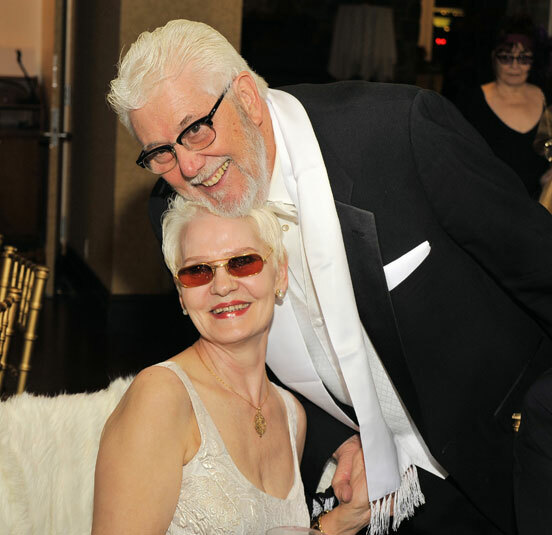 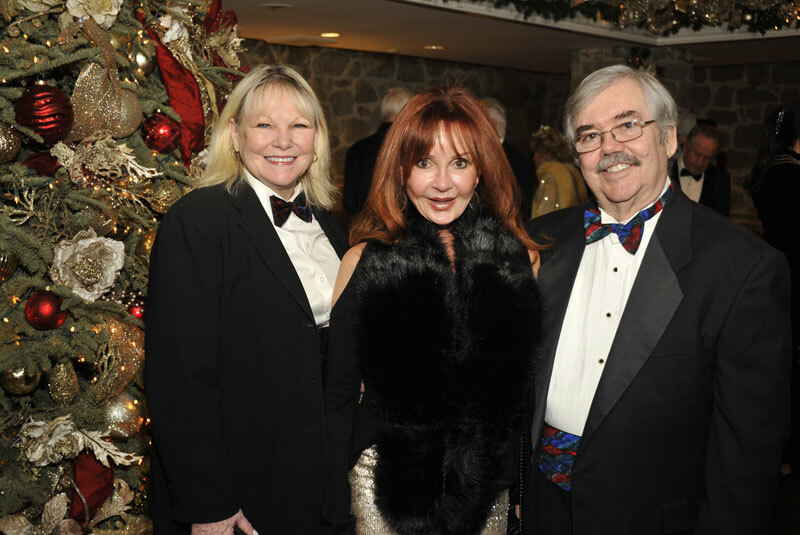 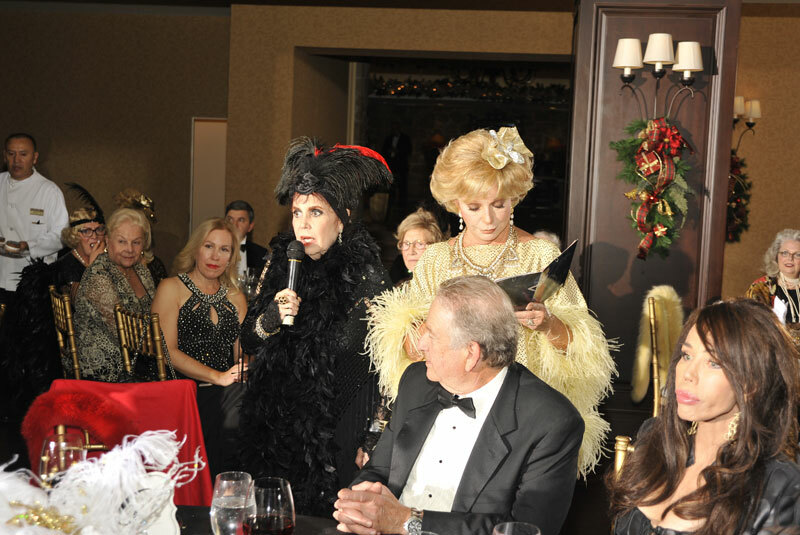 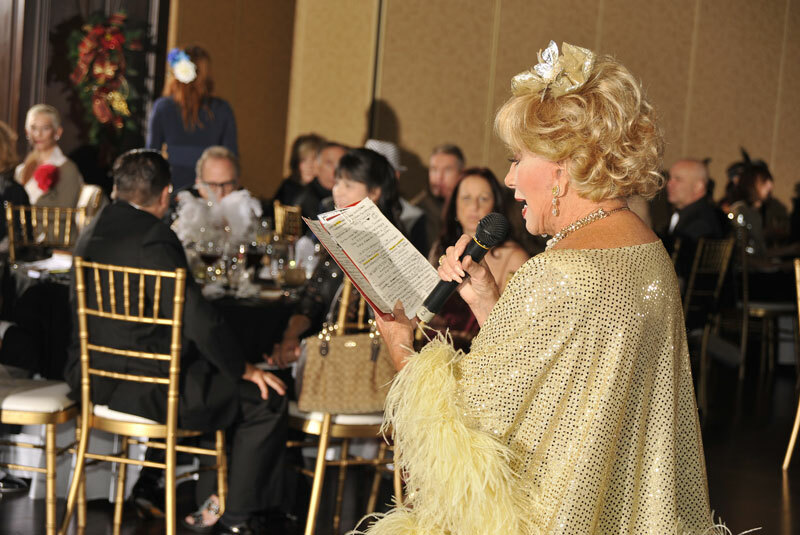 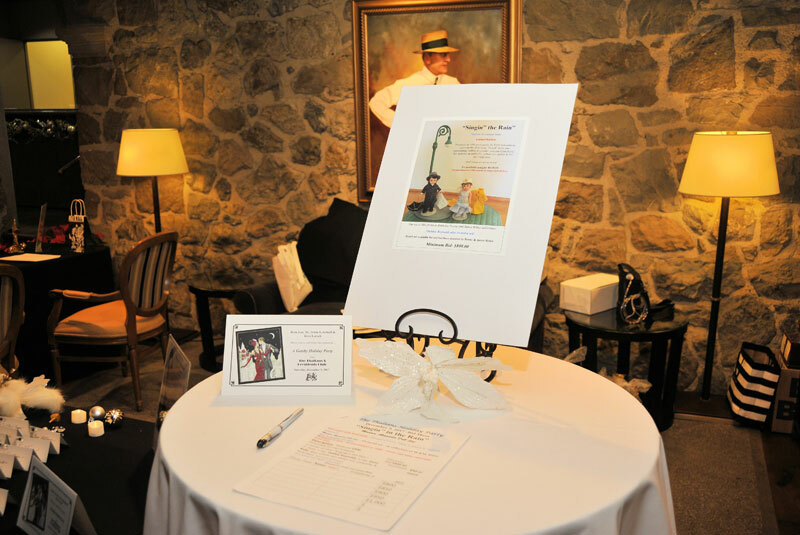 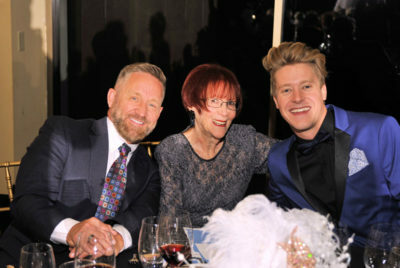 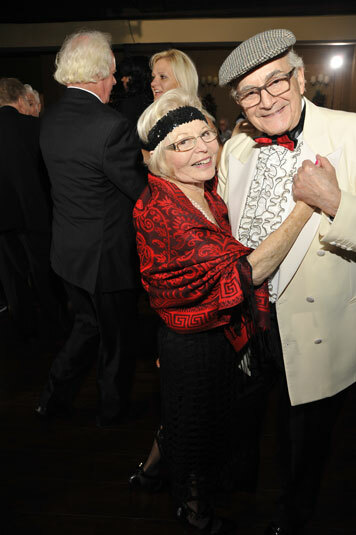 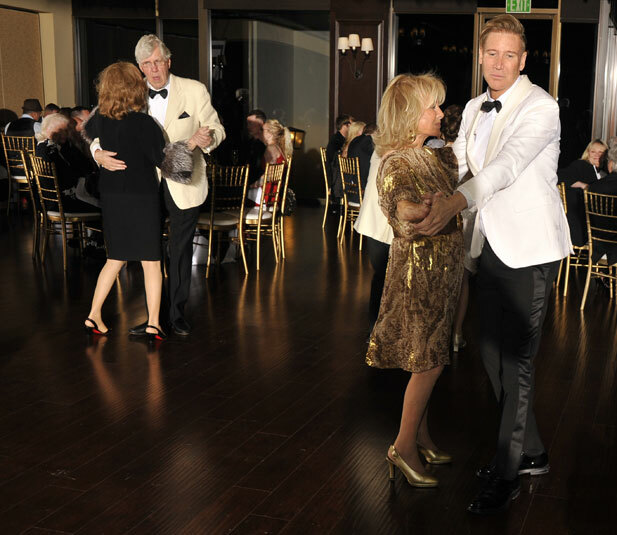 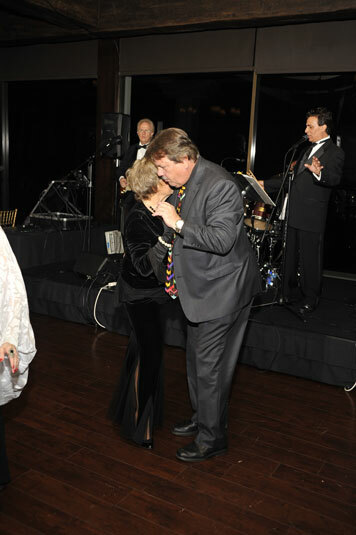 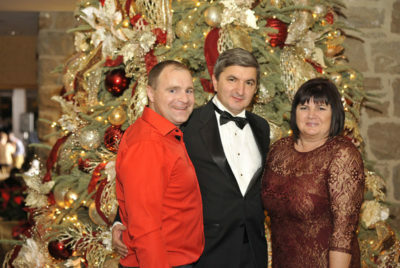 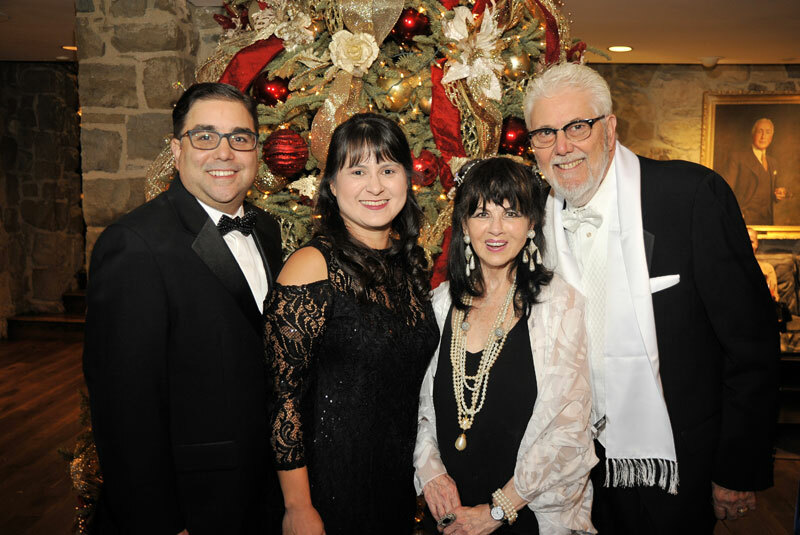 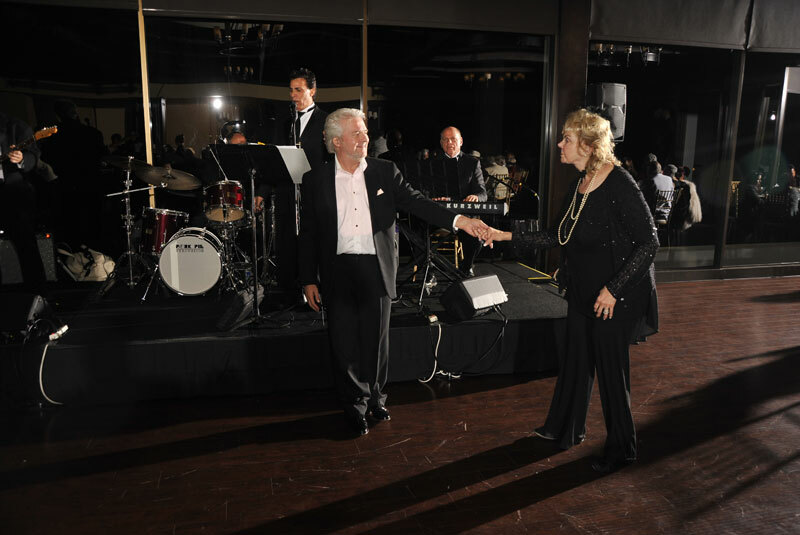 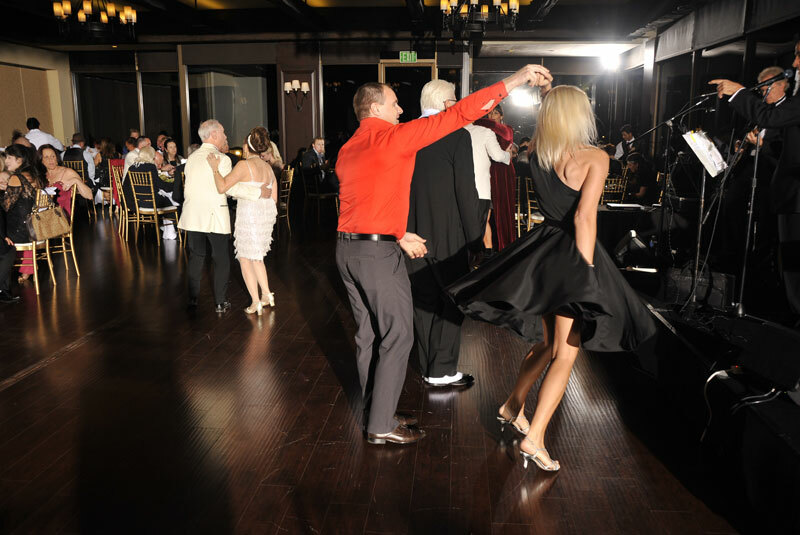 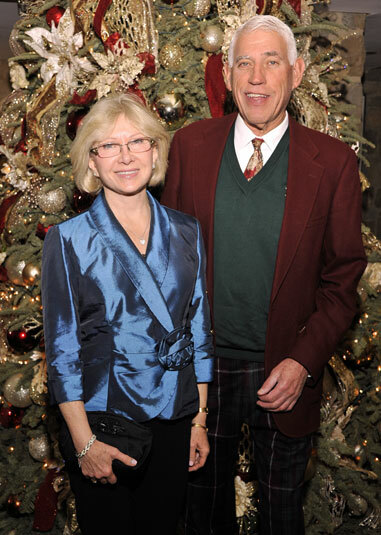 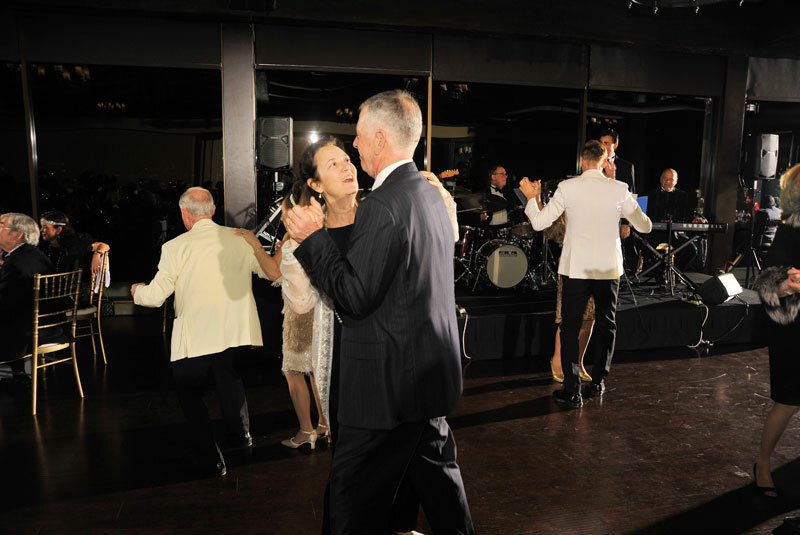 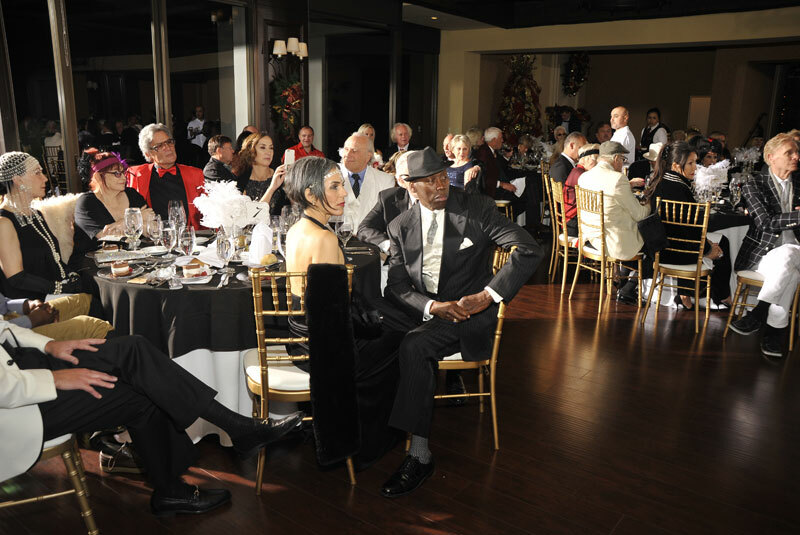 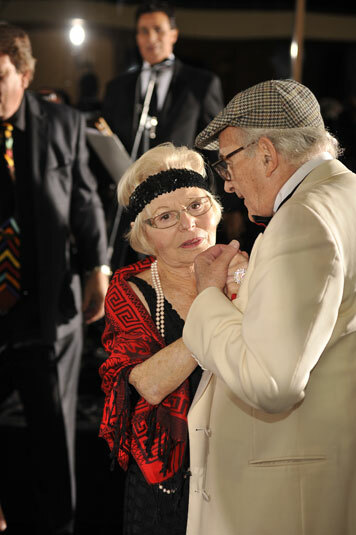 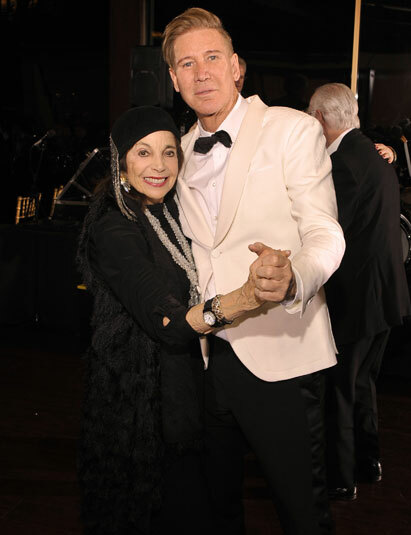 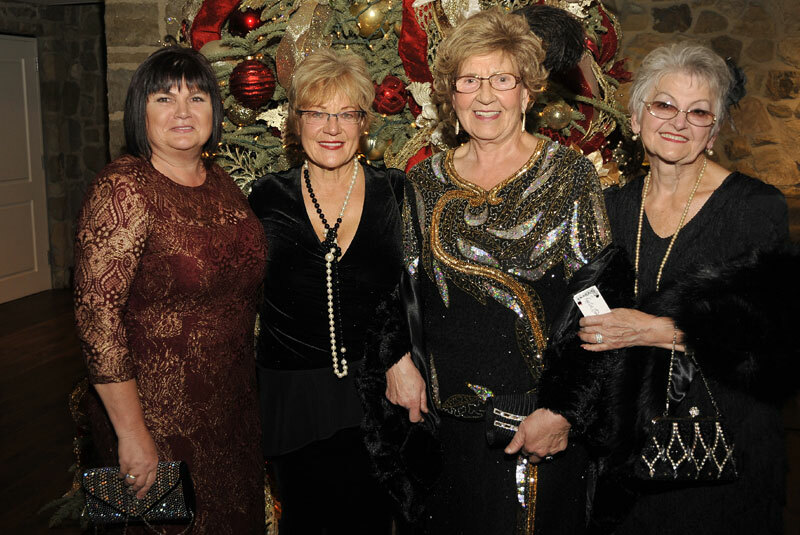 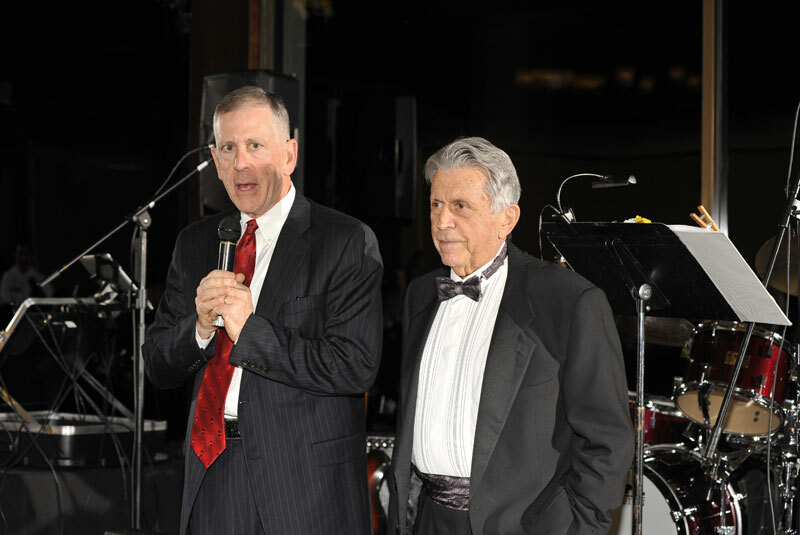 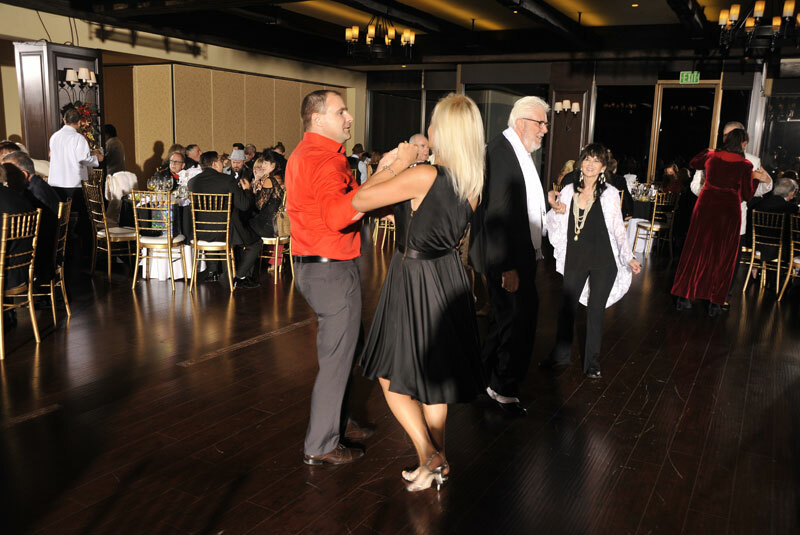 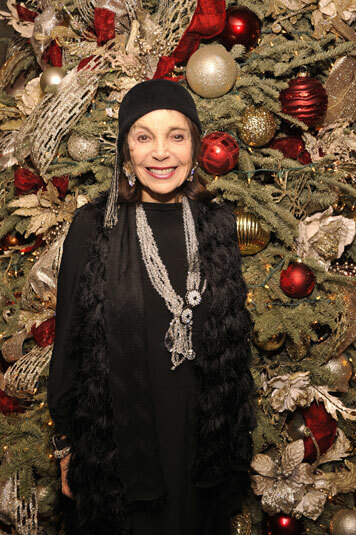 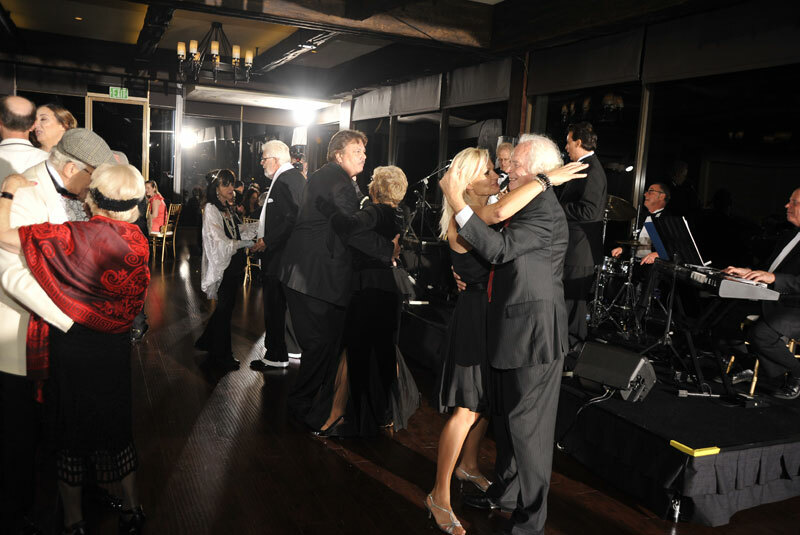 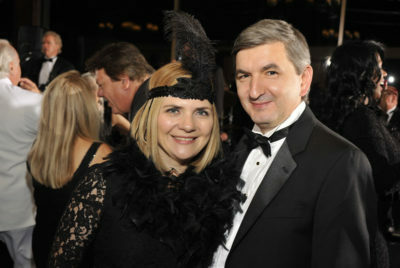 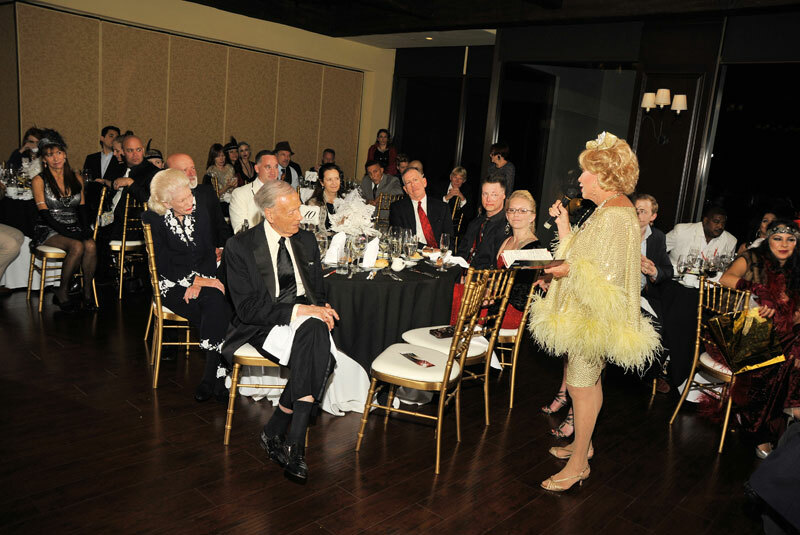 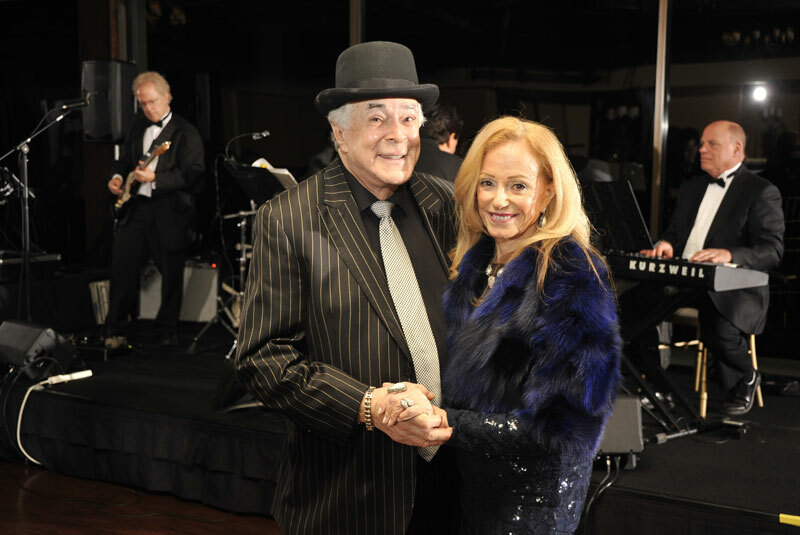 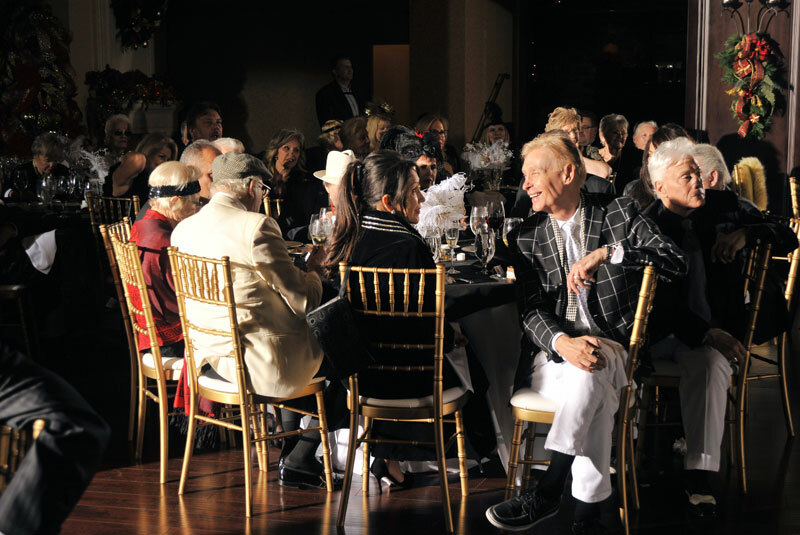 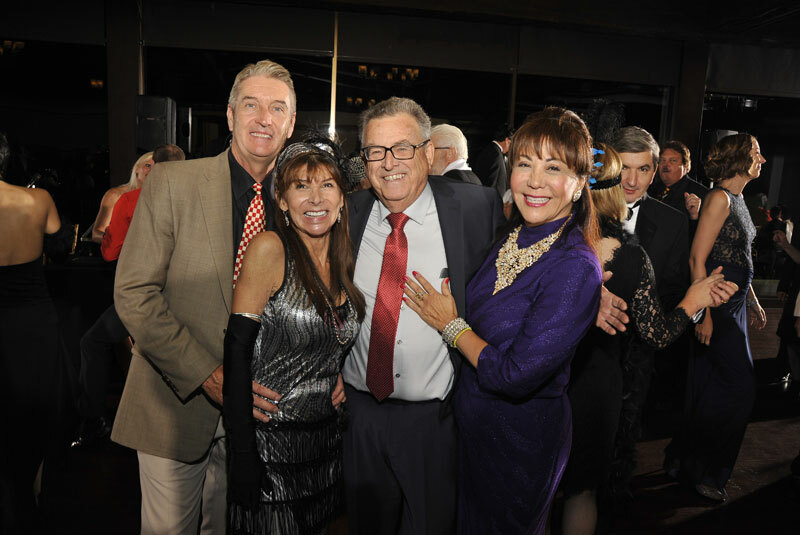 Once again, Barbara Cohen-Wolfe, long-time Thalians Board Member and Event Chairperson, along with husband Larry Wolfe, orchestrated this spectacular fund-raiser with an evening of dining, dancing and merriment. 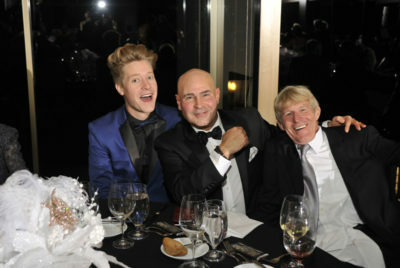 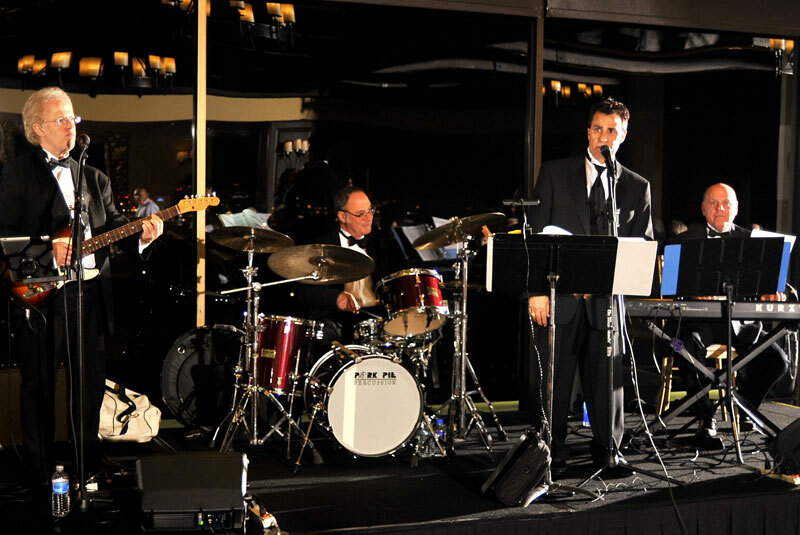 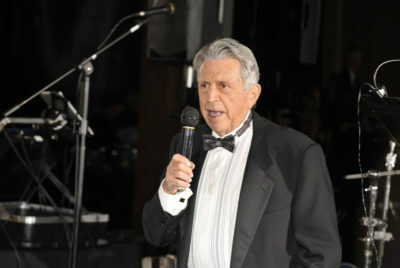 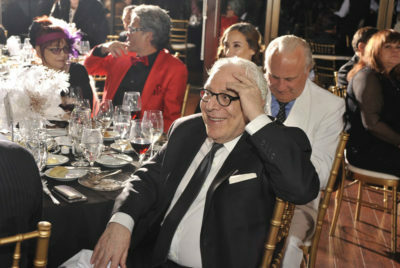 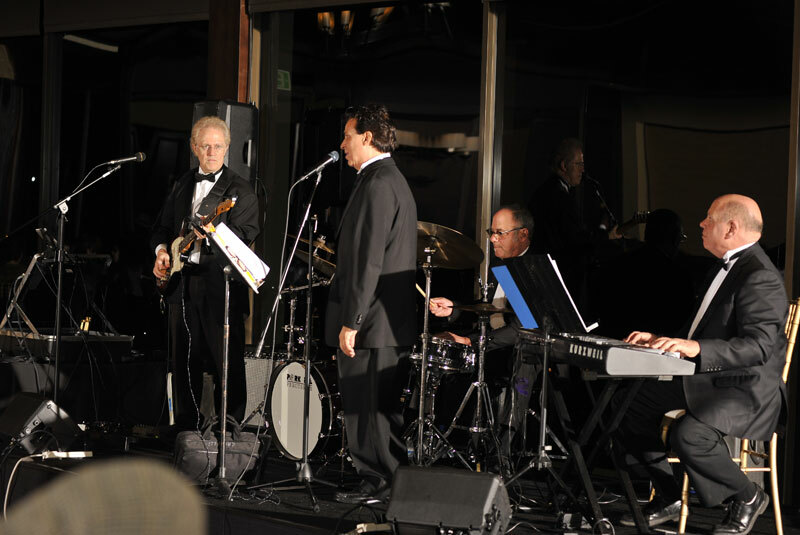 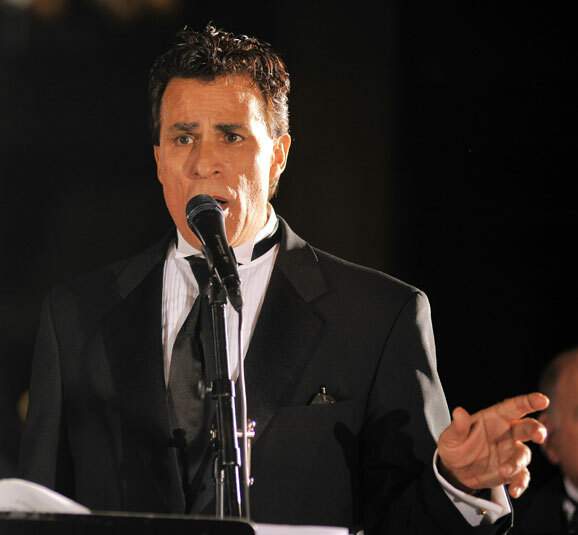 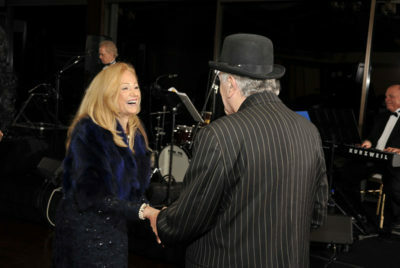 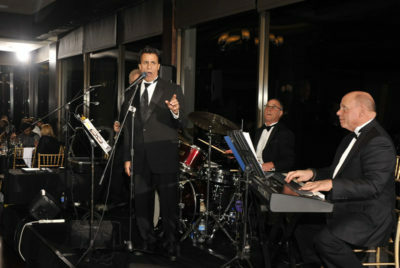 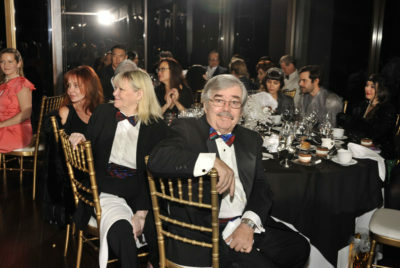 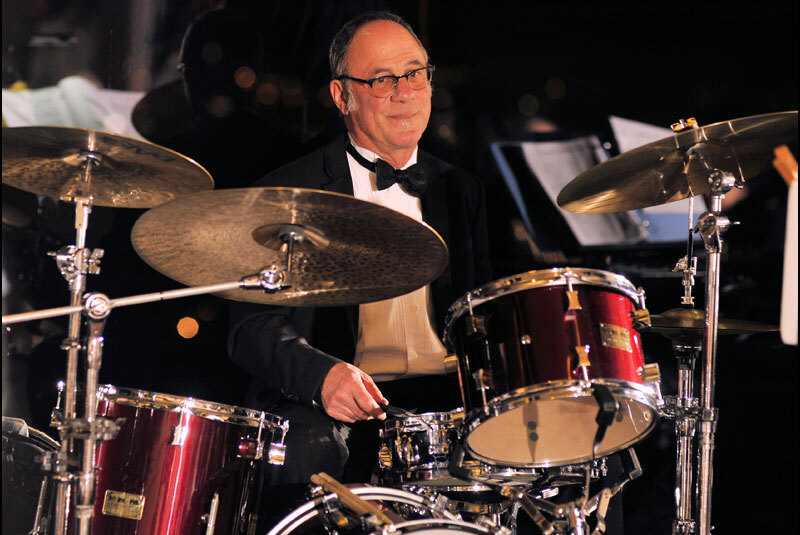 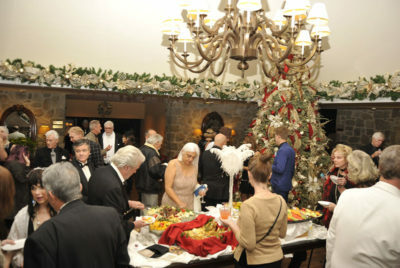 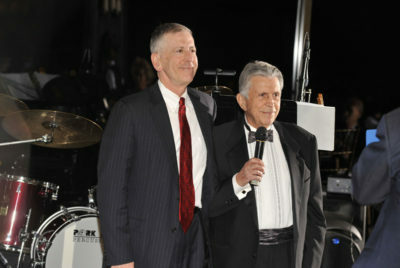 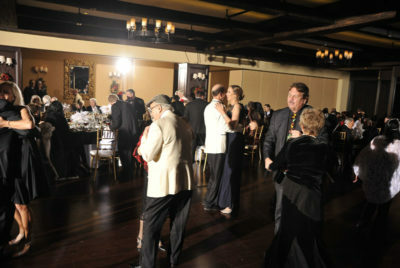 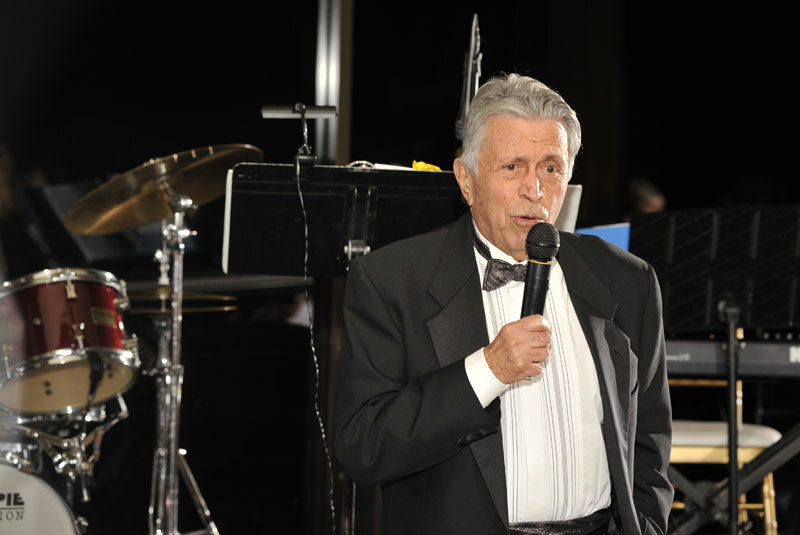 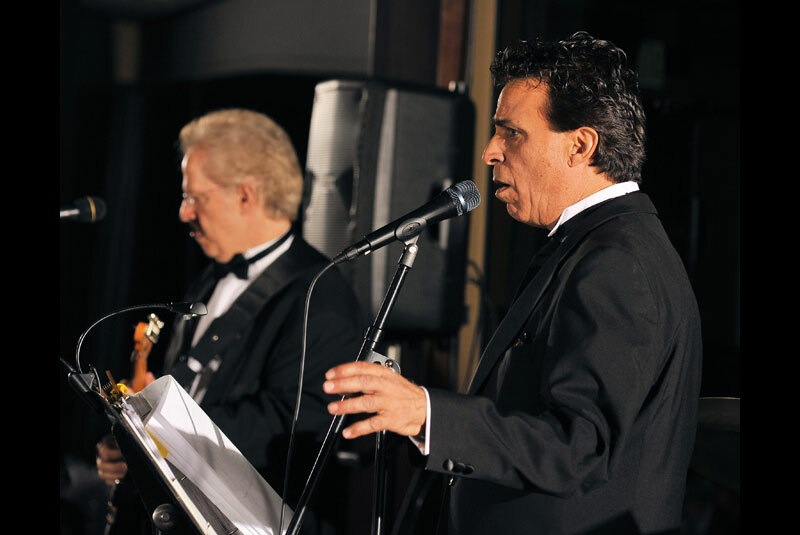 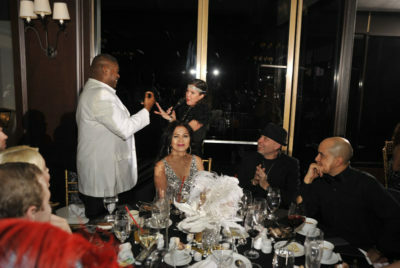 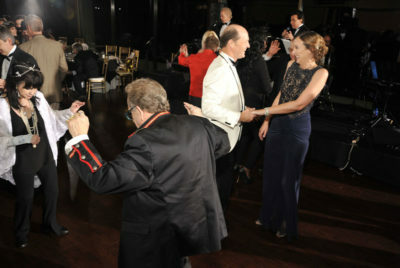 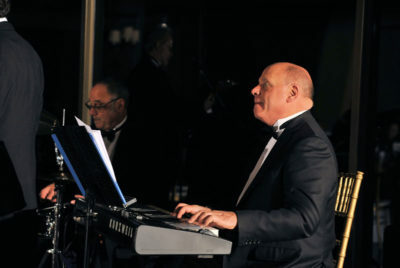 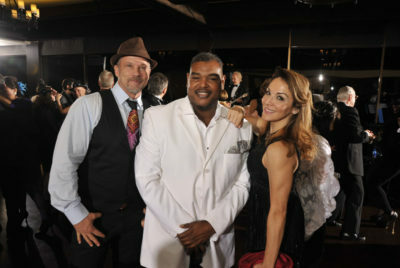 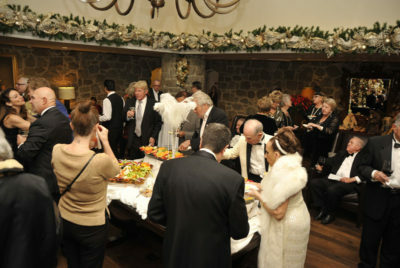 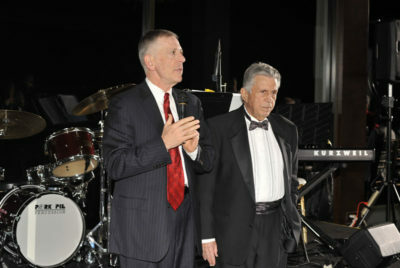 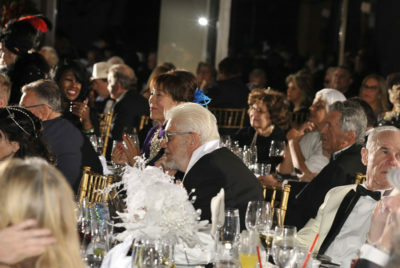 Everyone enjoyed the great vocals of Jimmy Carnelli and danced to his outstanding band of top musicians. 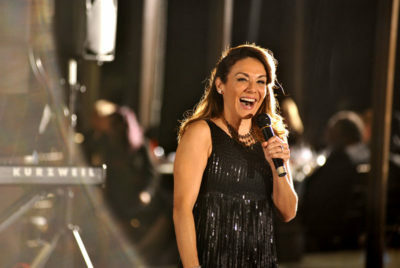 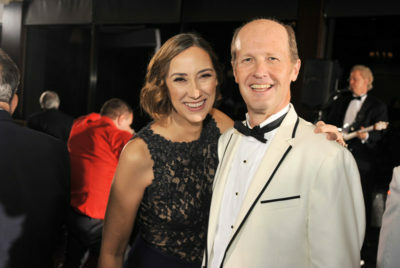 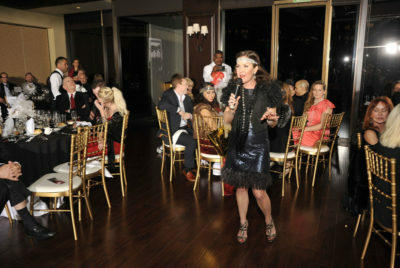 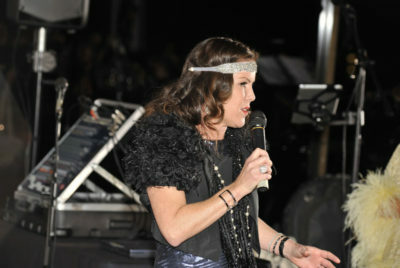 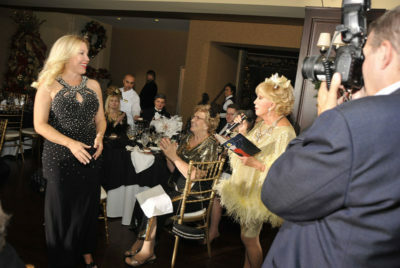 The evening was topped by an entertaining performance by comedienne Jill Milean. 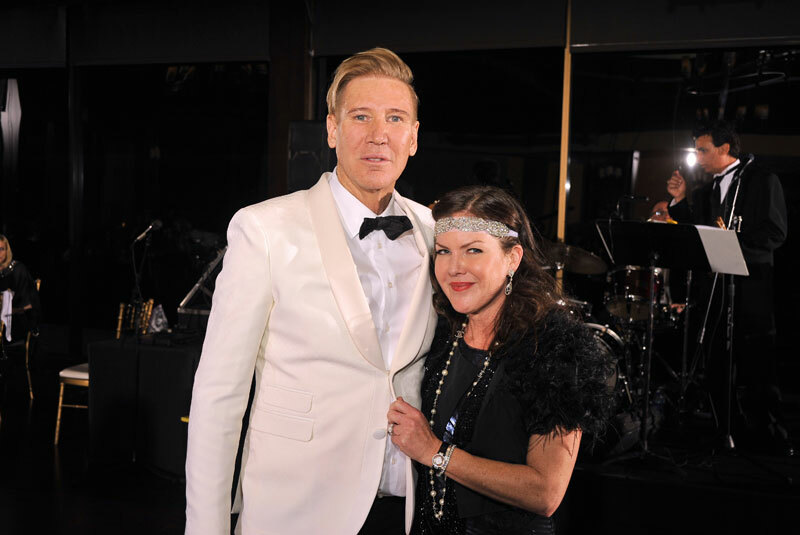 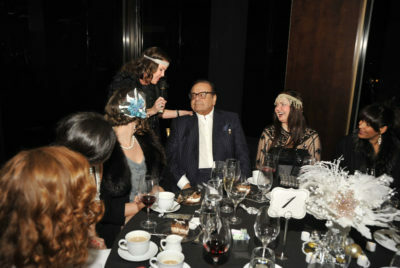 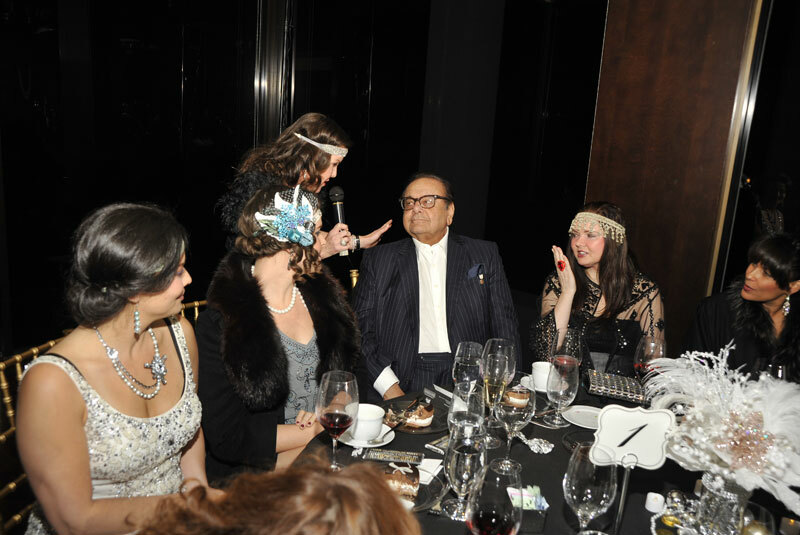 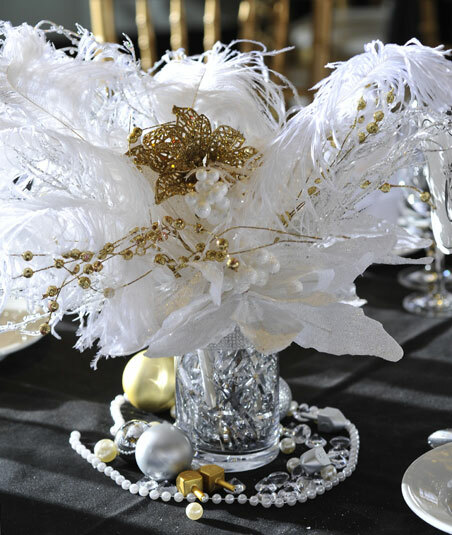 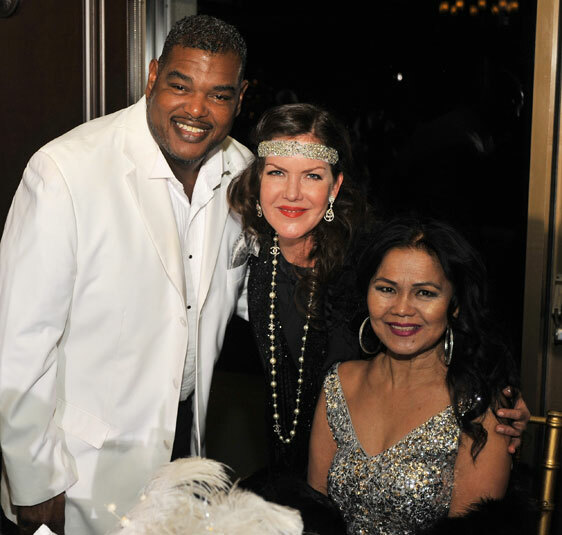 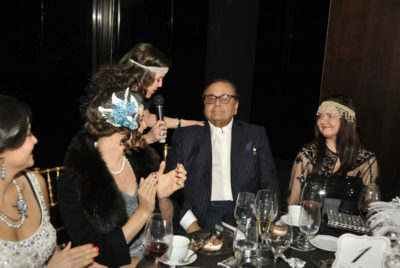 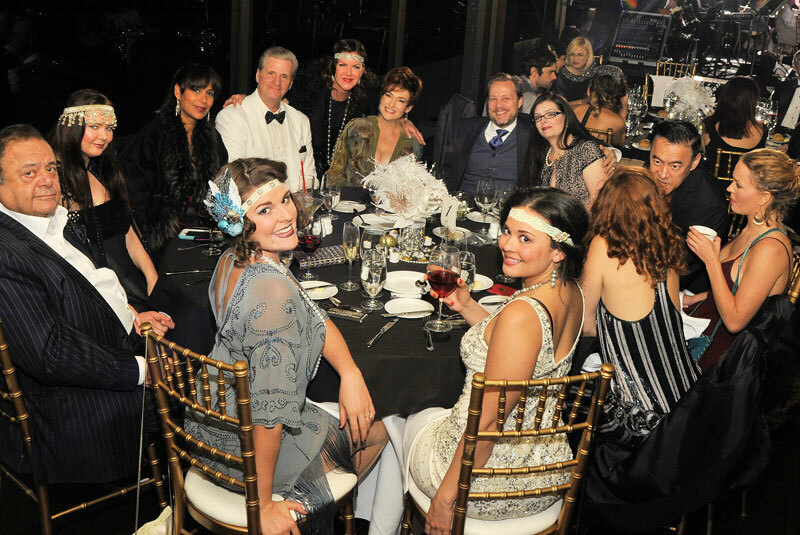 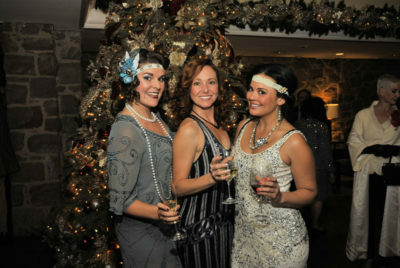 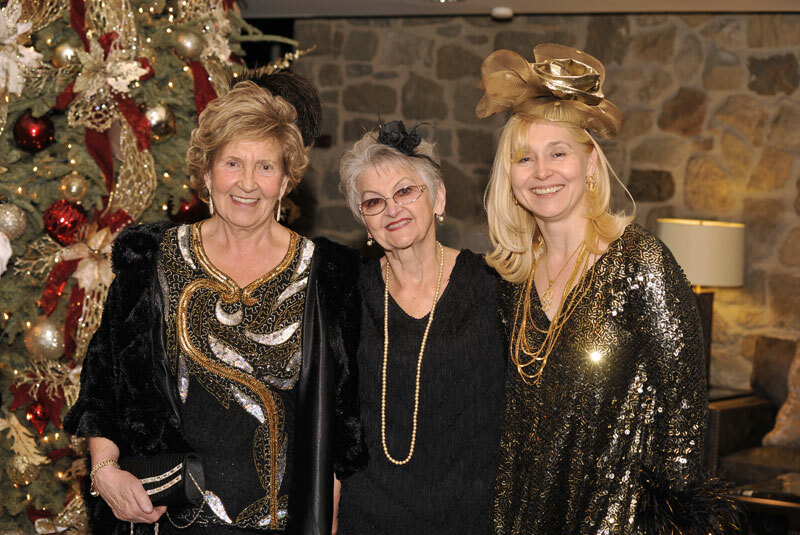 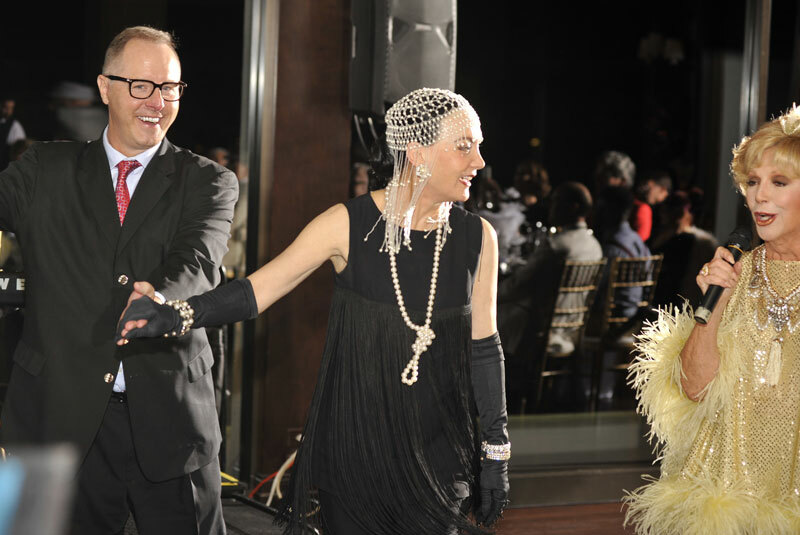 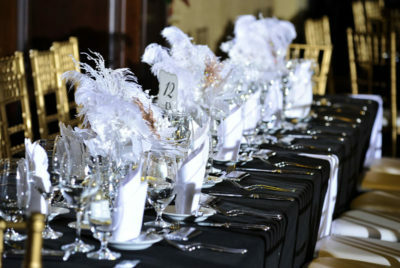 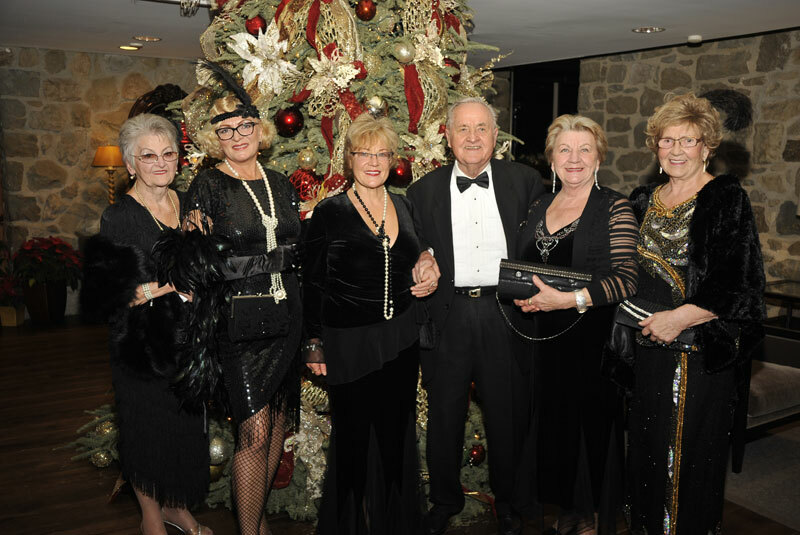 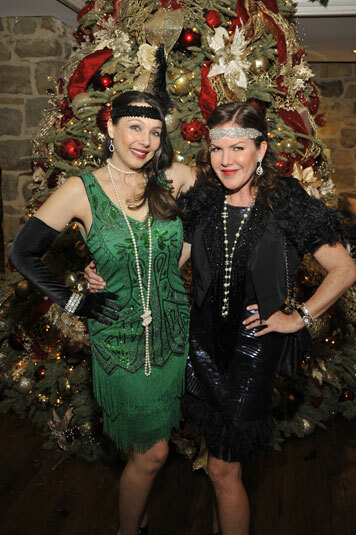 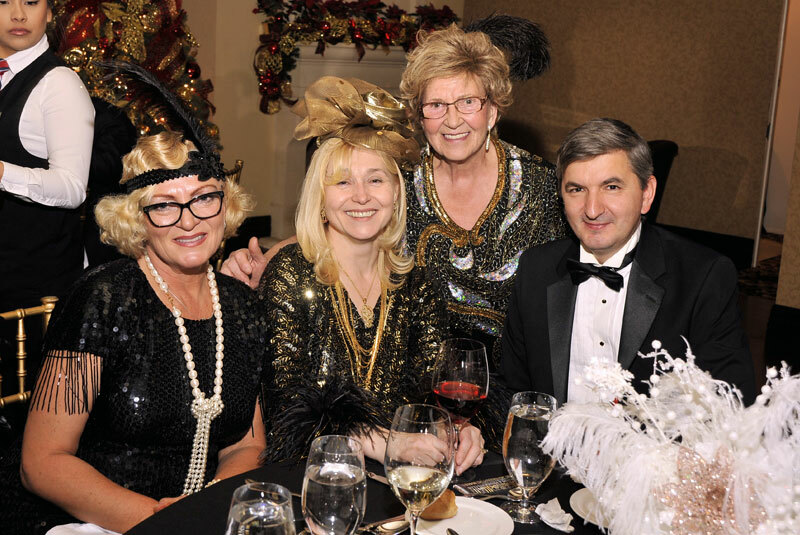 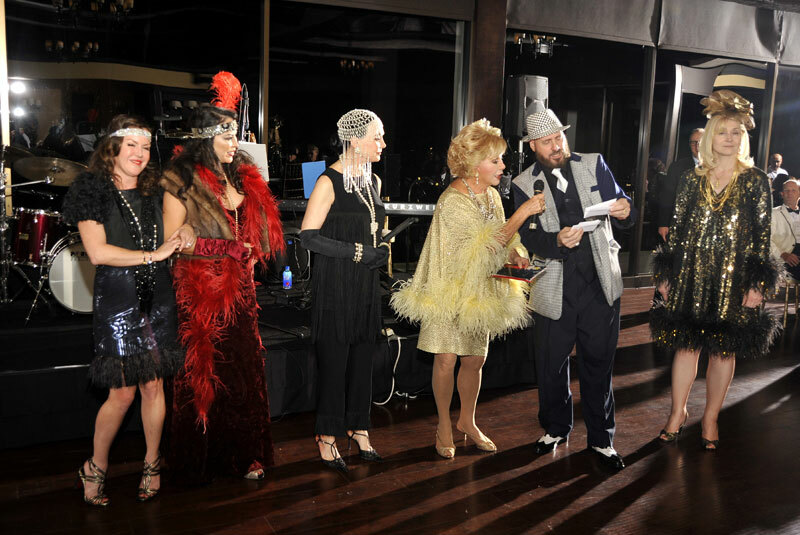 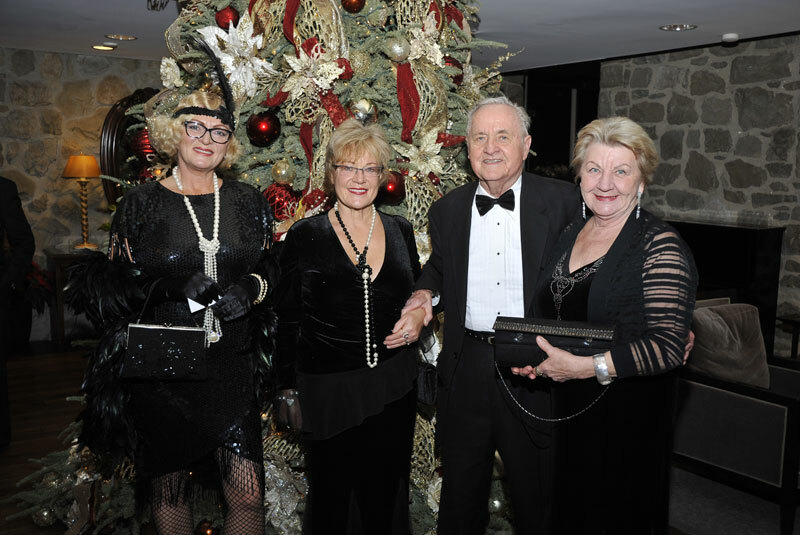 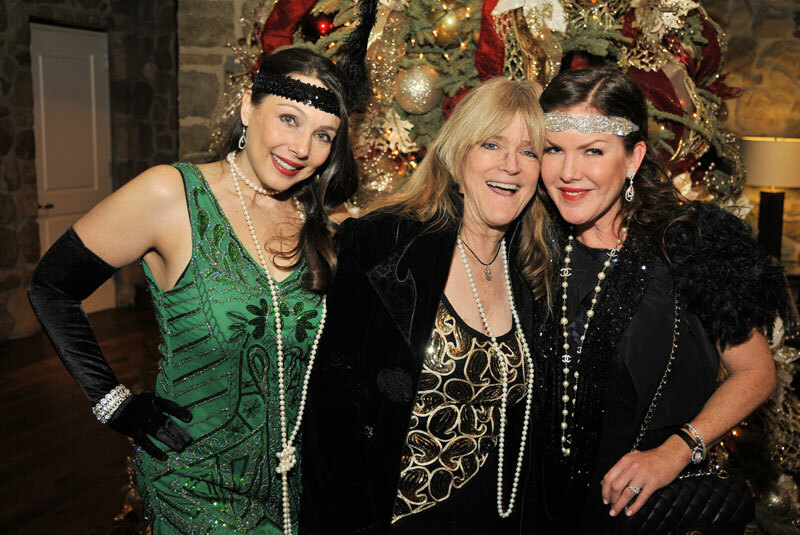 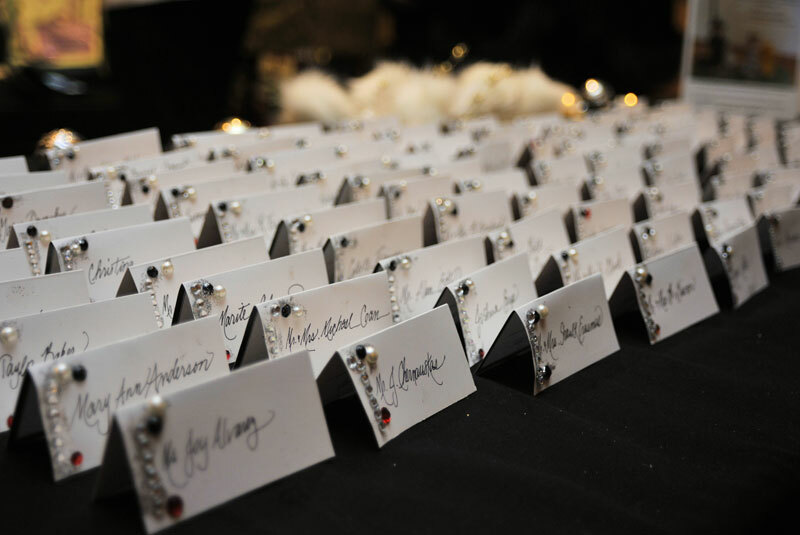 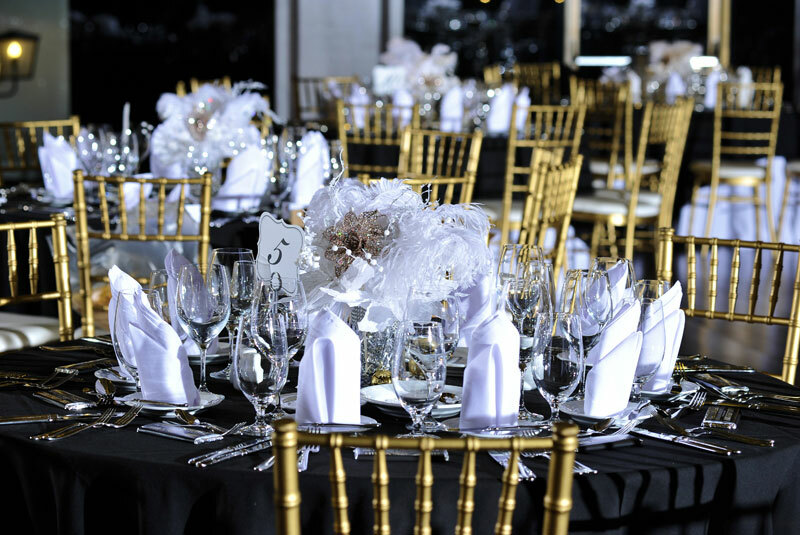 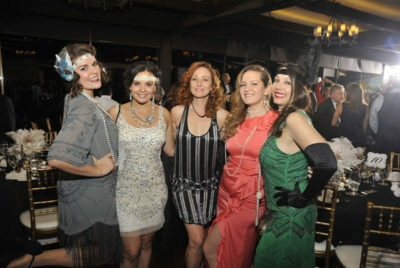 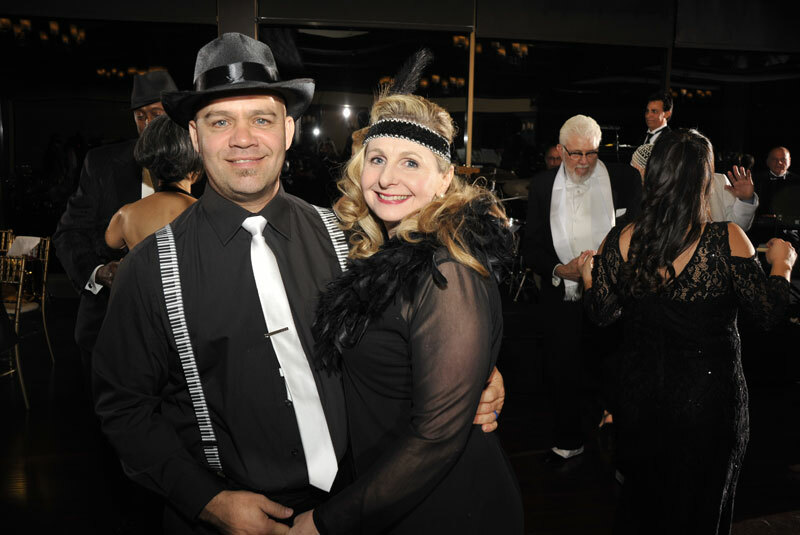 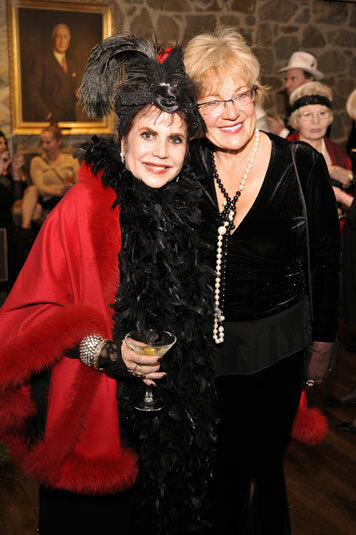 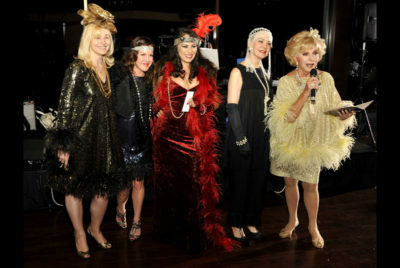 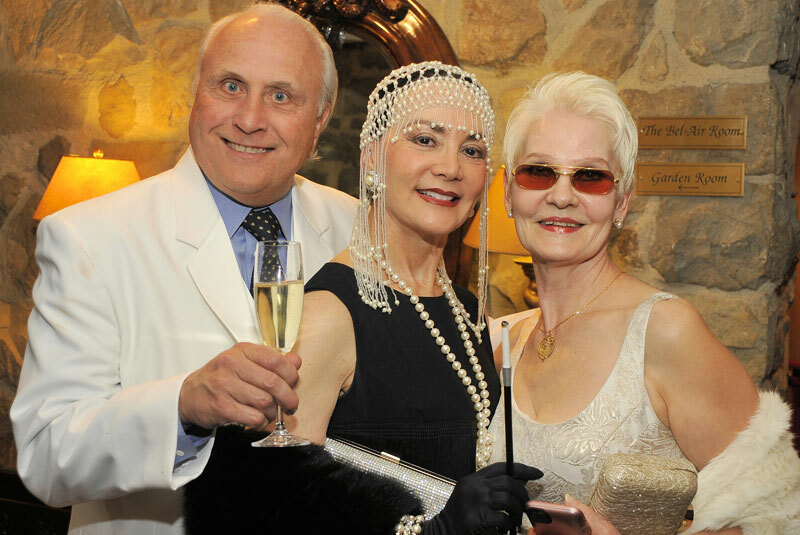 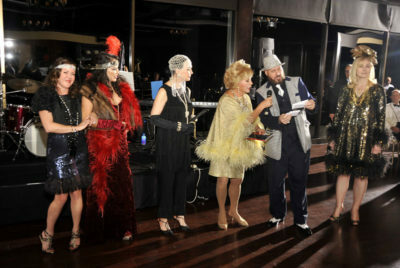 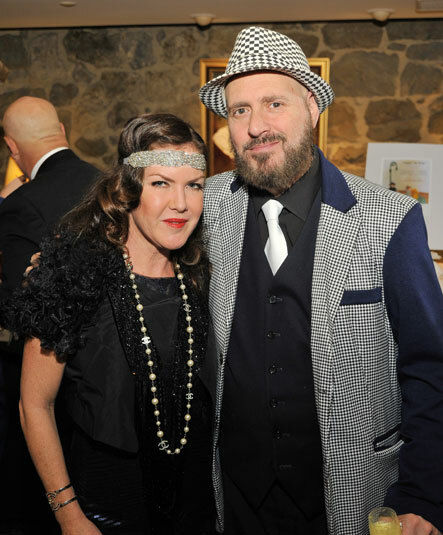 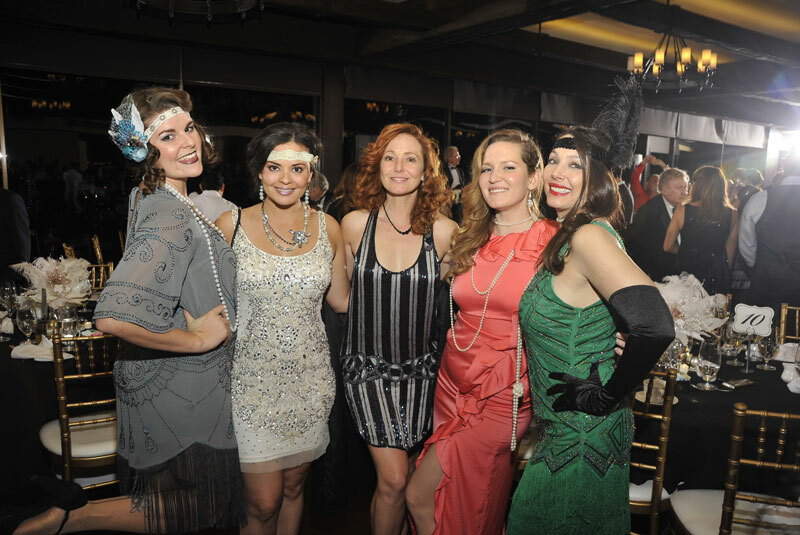 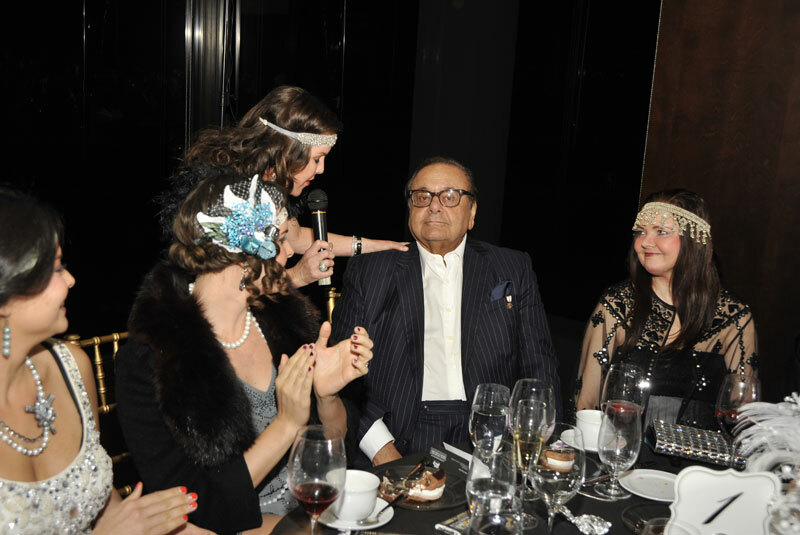 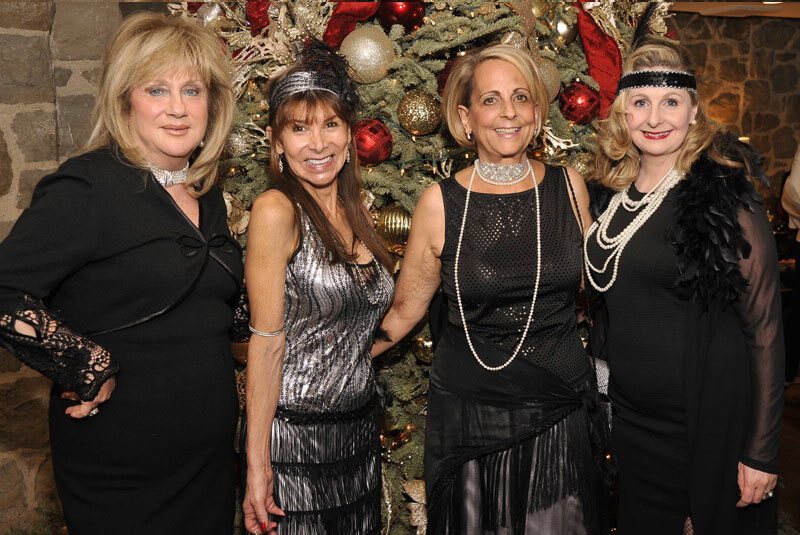 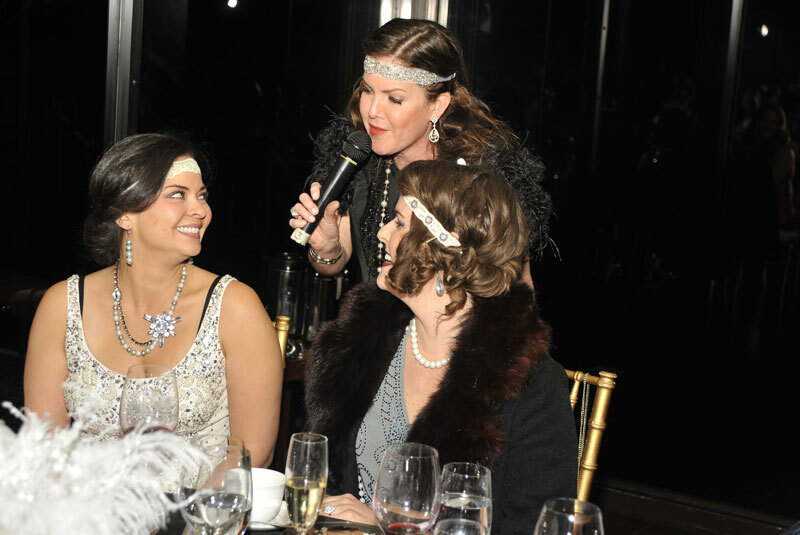 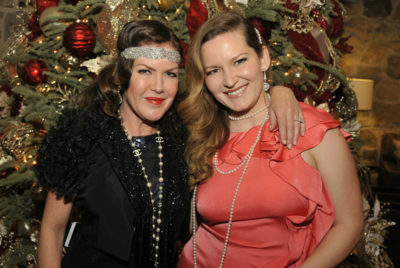 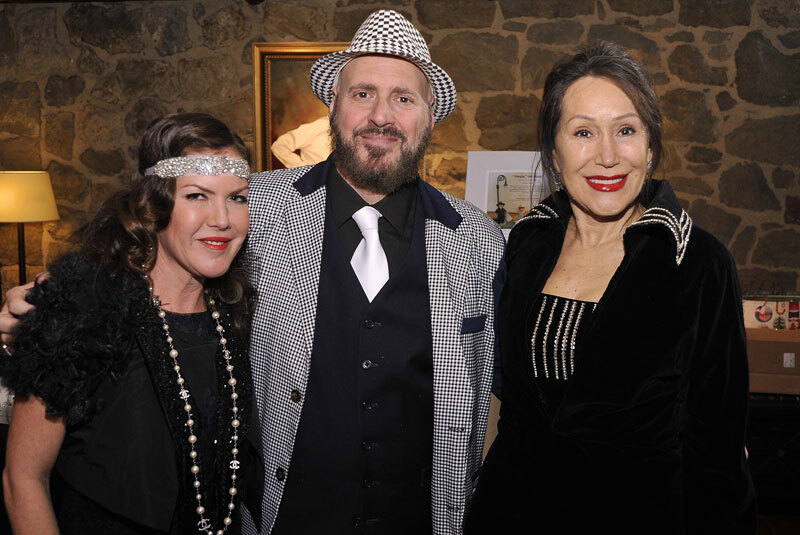 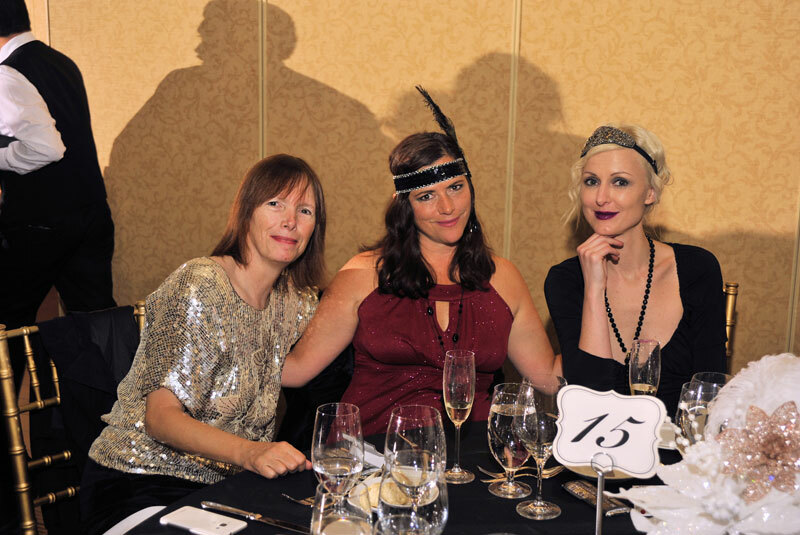 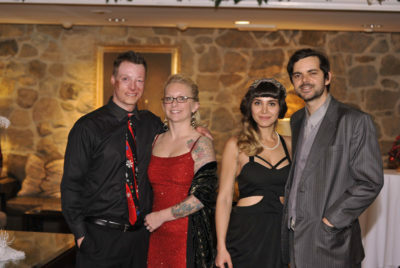 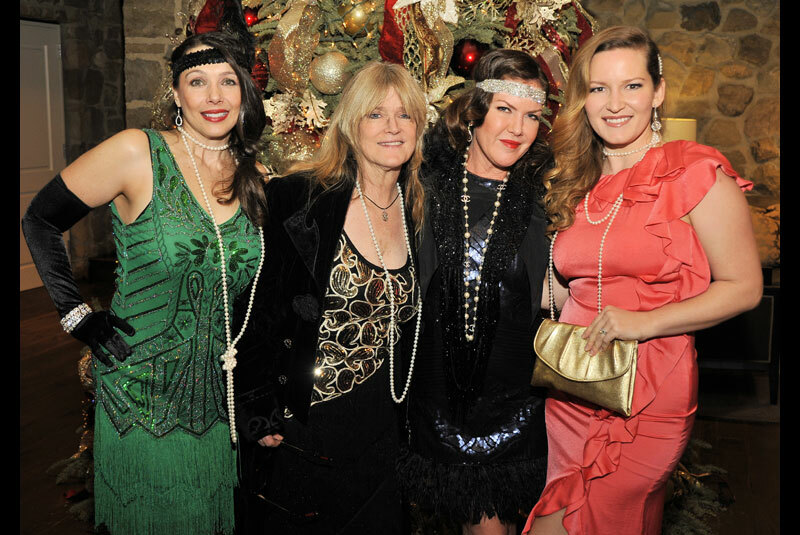 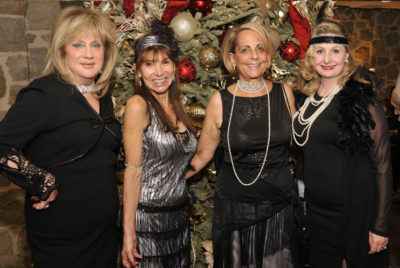 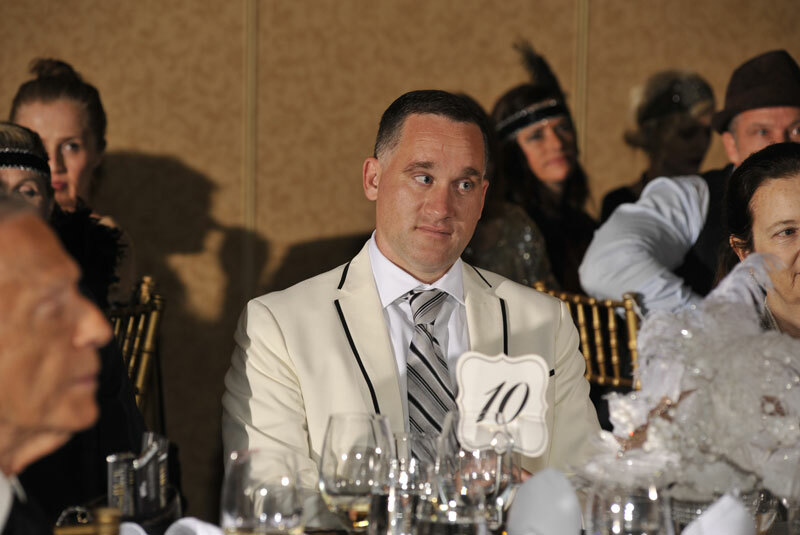 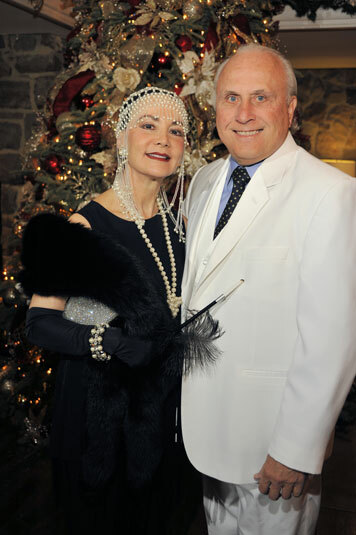 Attendees dressed glamorously and with flair in the Gatsby theme…and a most festive, fun and fabulous evening was had by all! 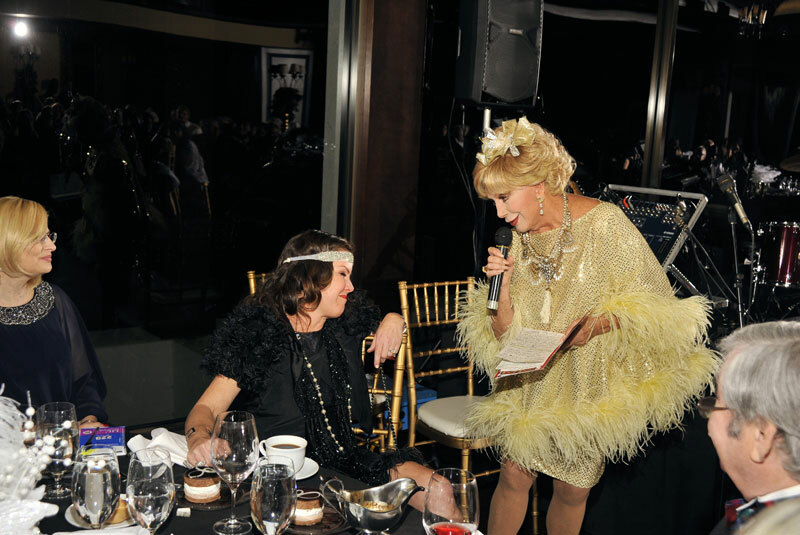 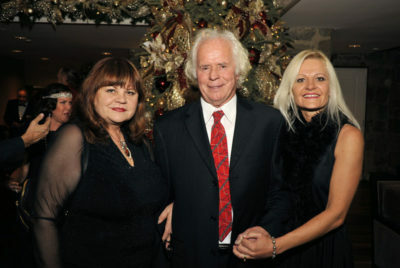 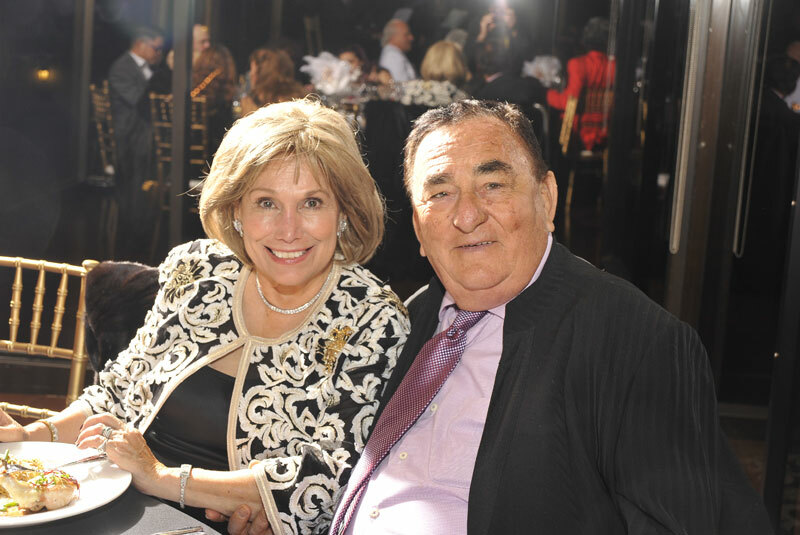 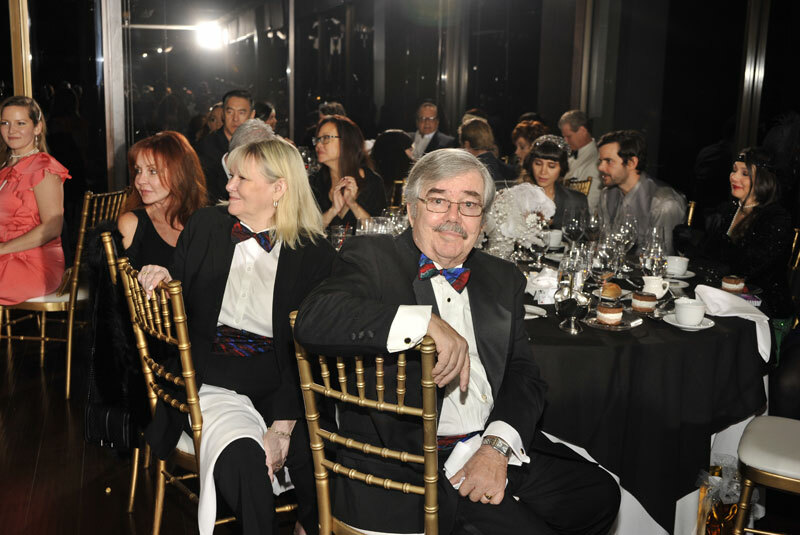 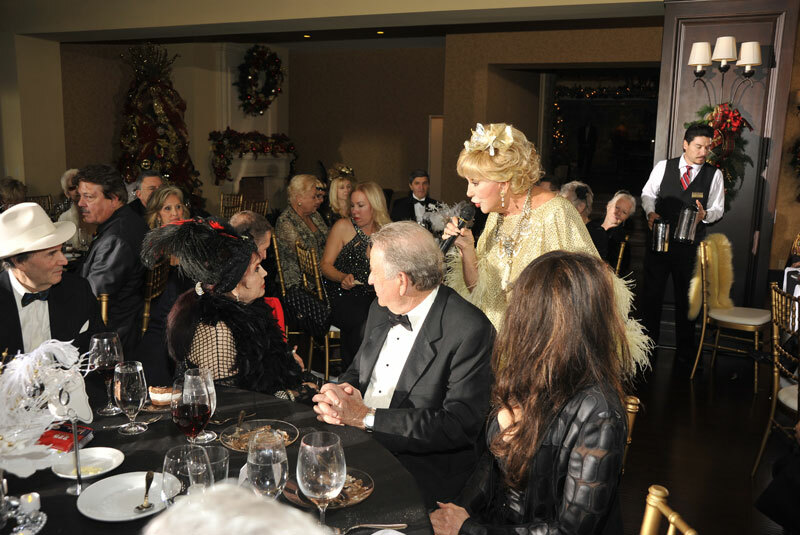 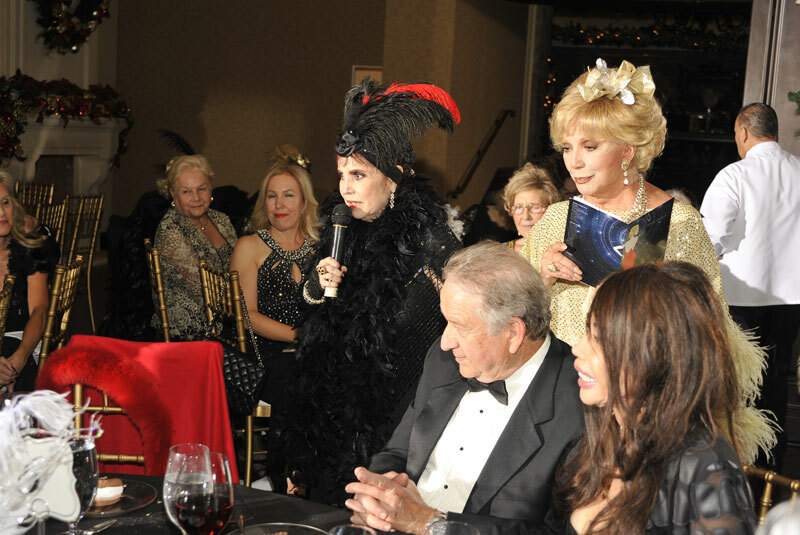 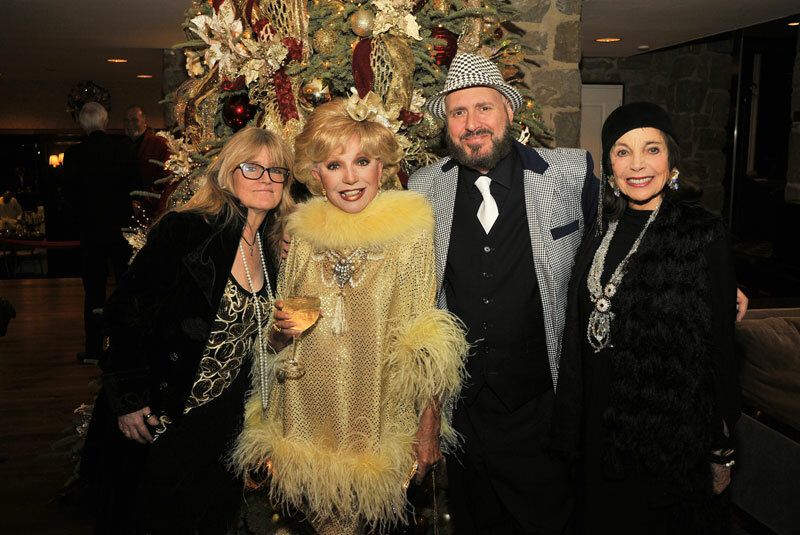 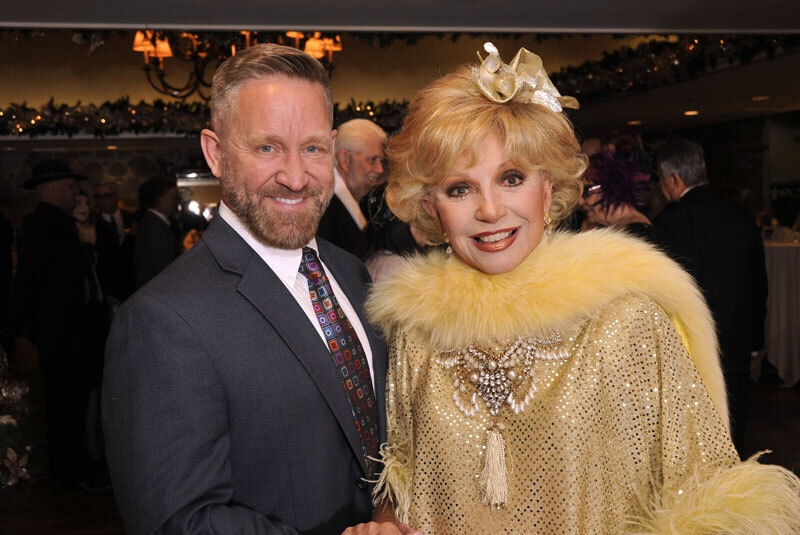 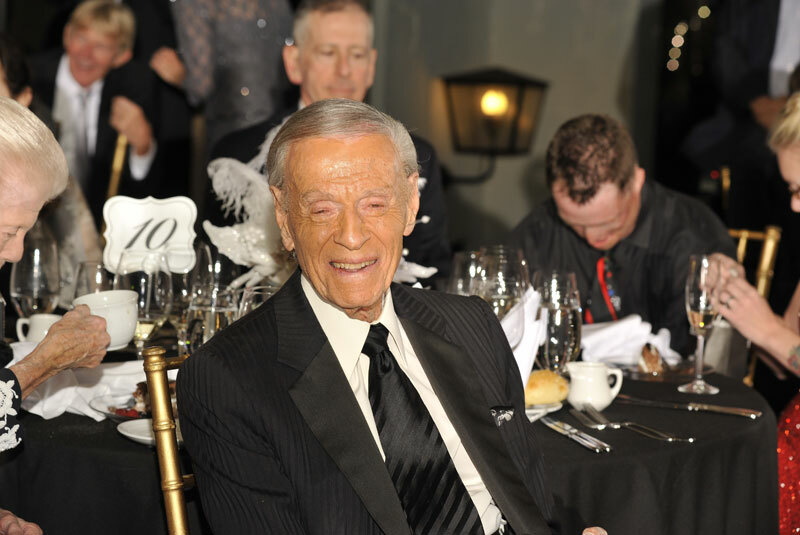 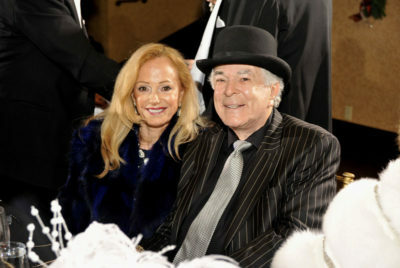 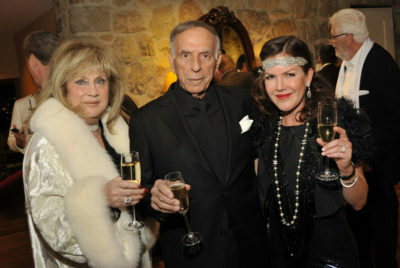 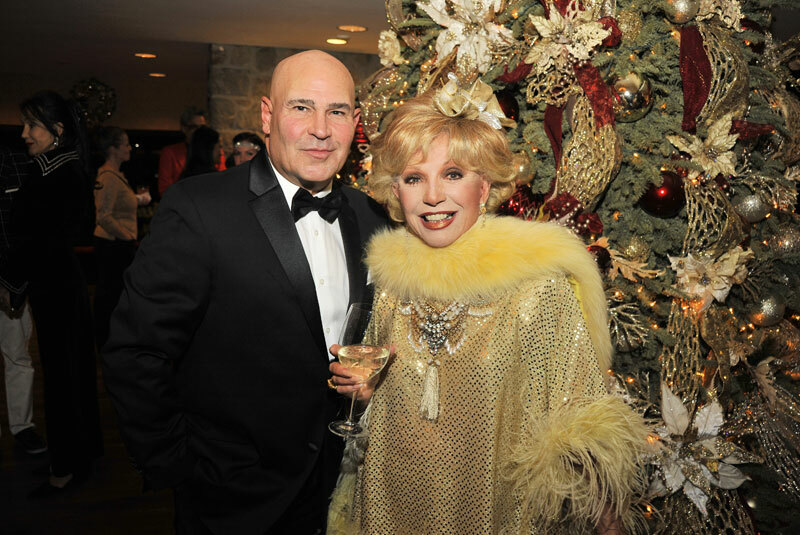 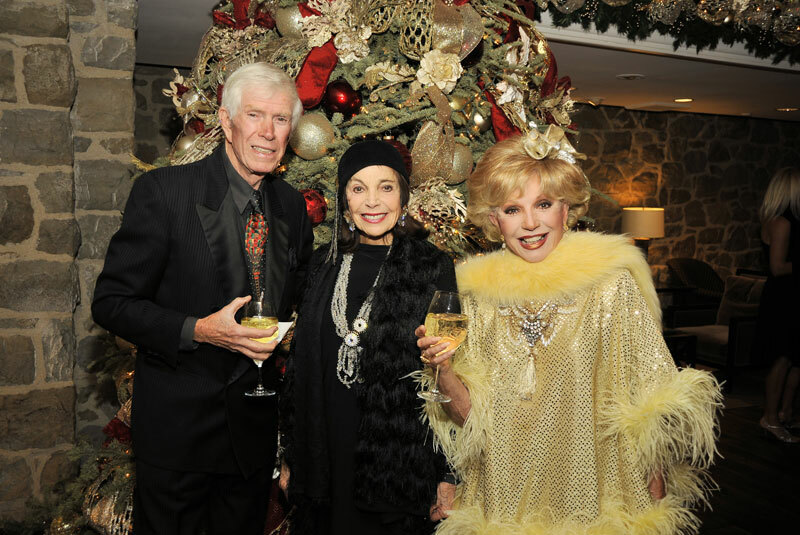 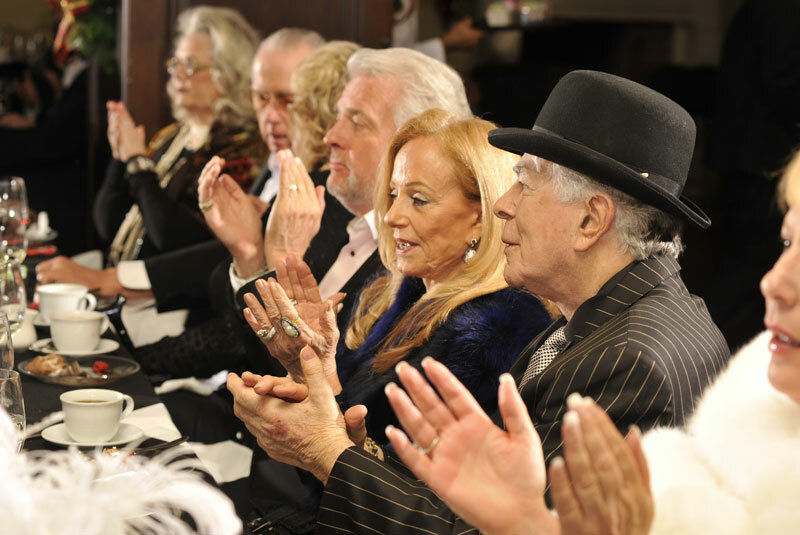 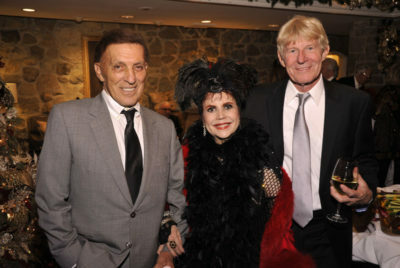 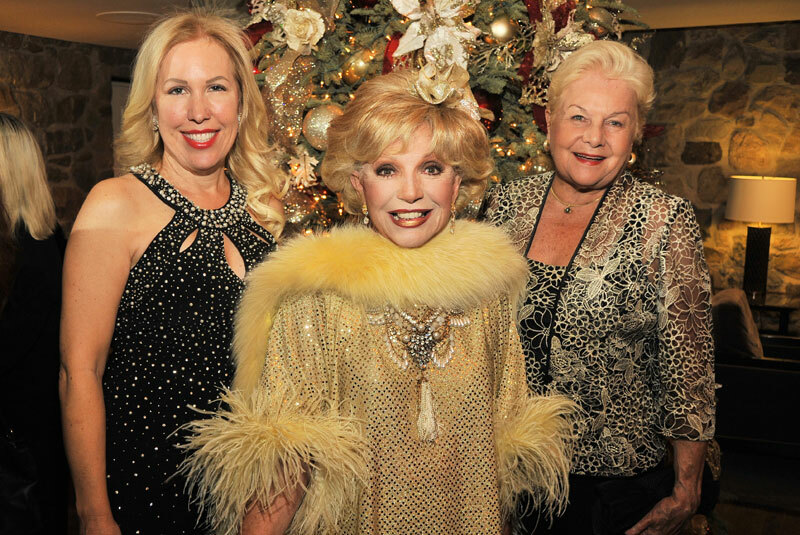 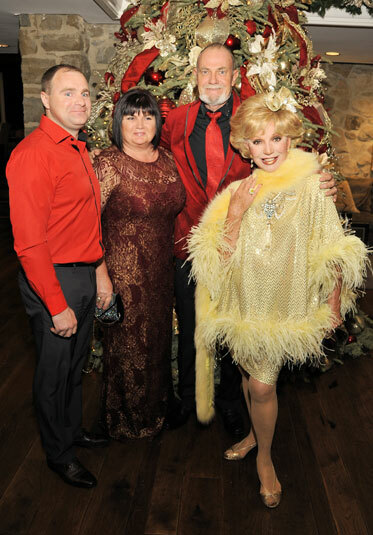 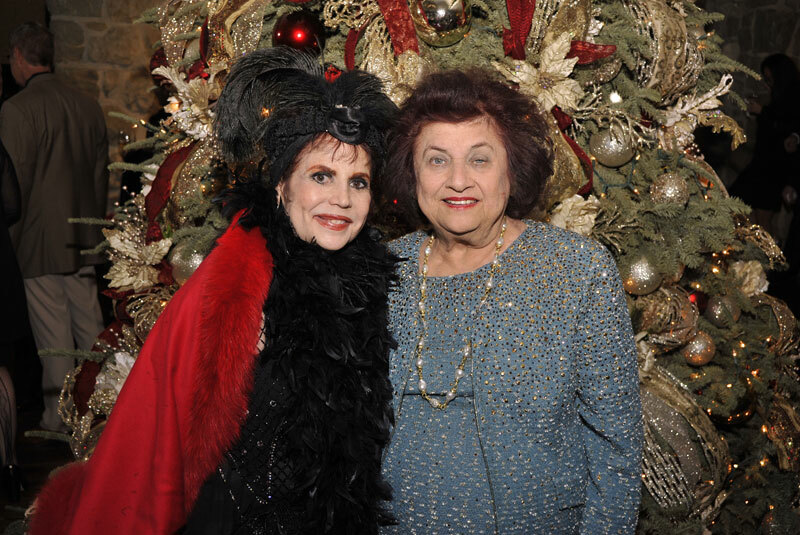 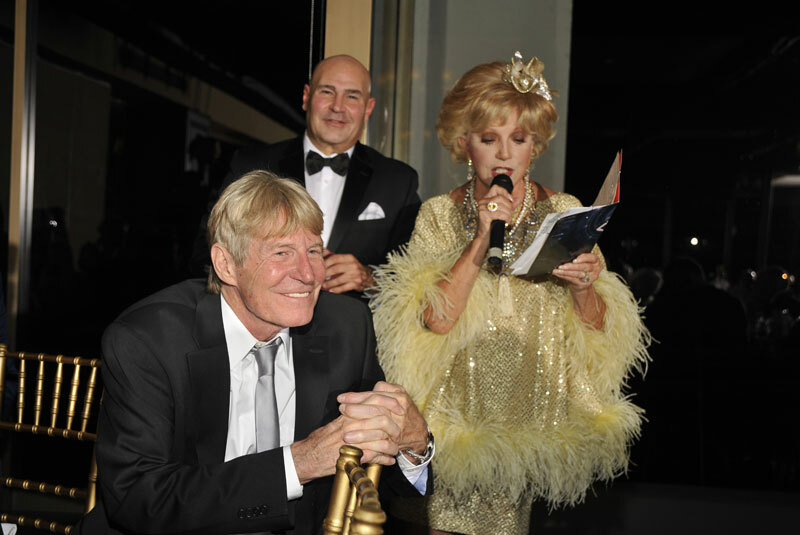 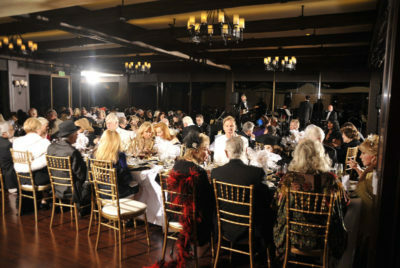 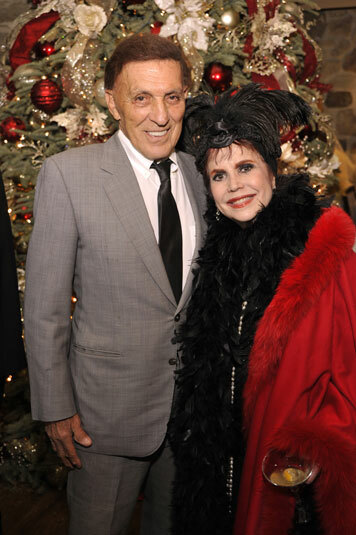 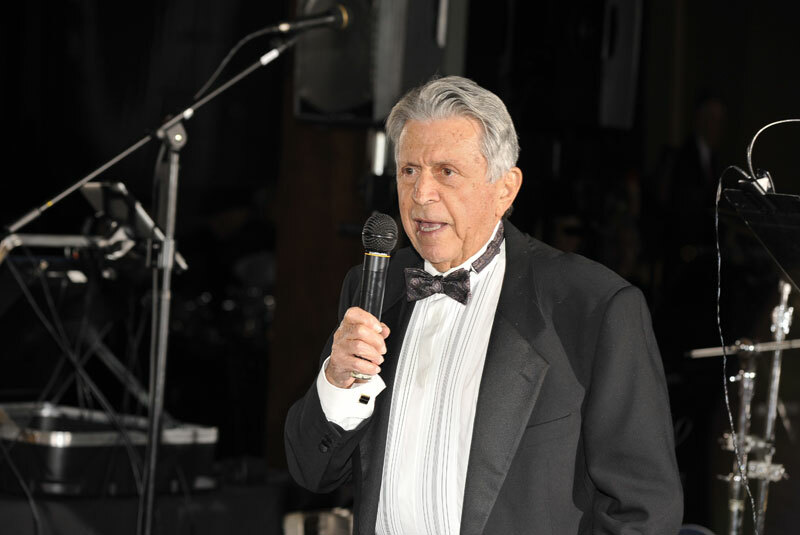 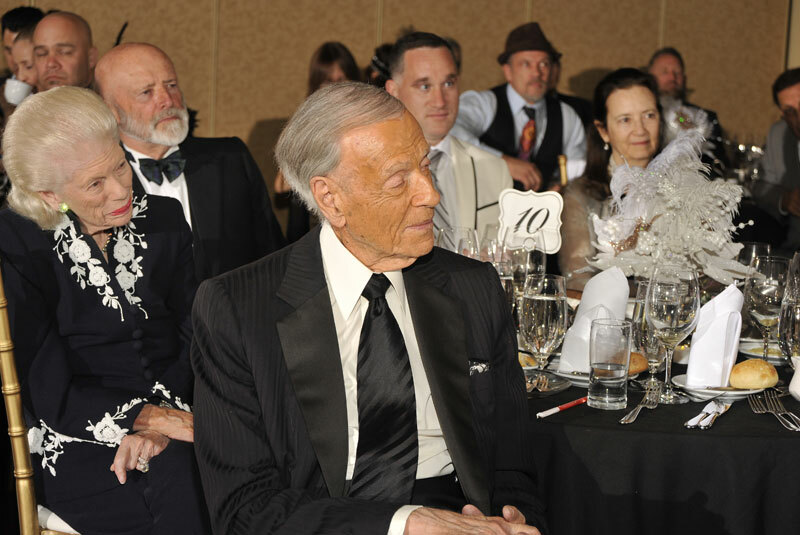 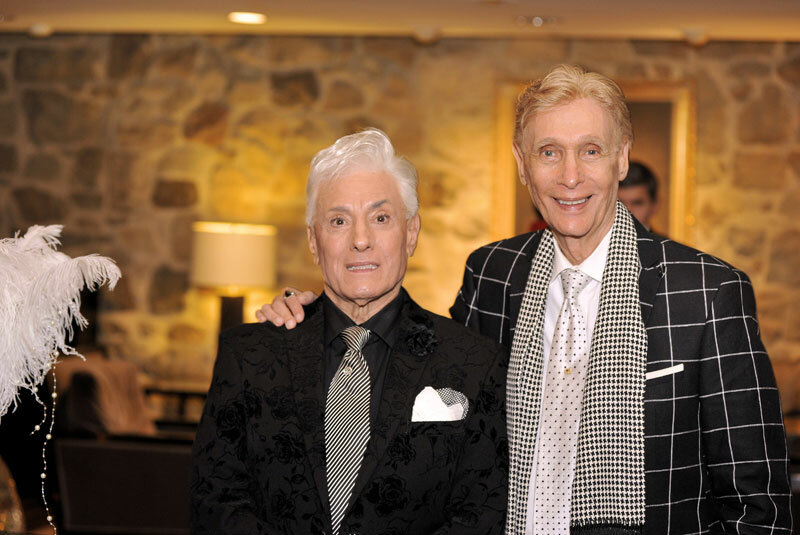 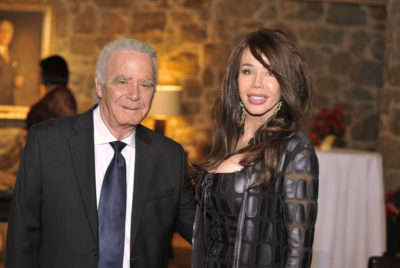 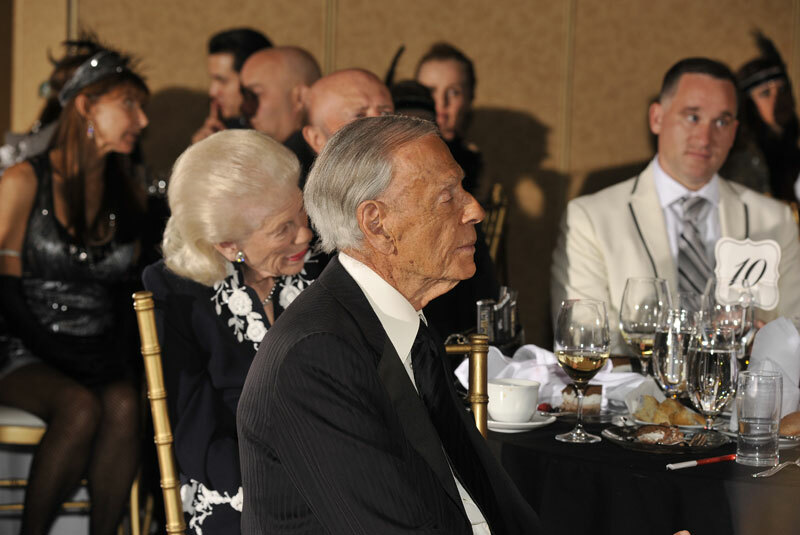 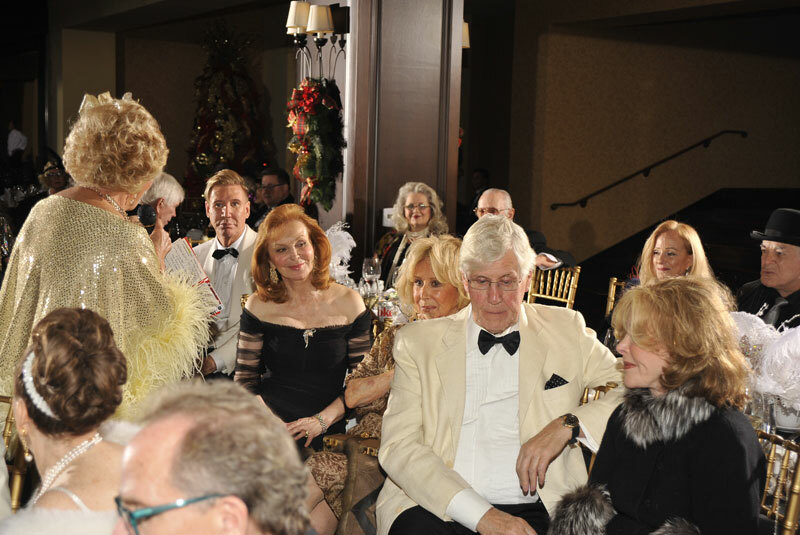 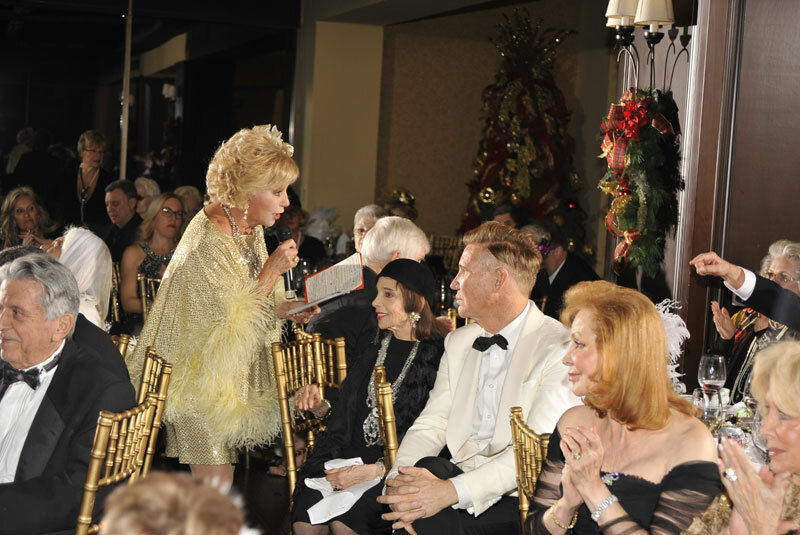 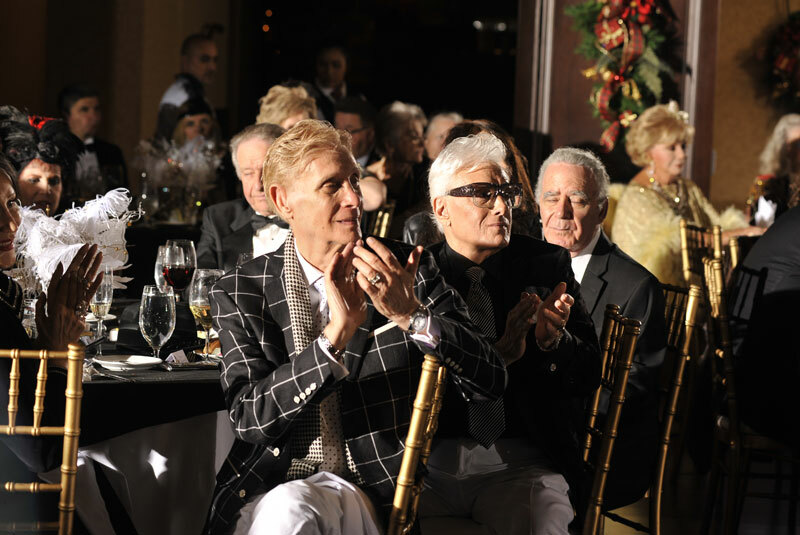 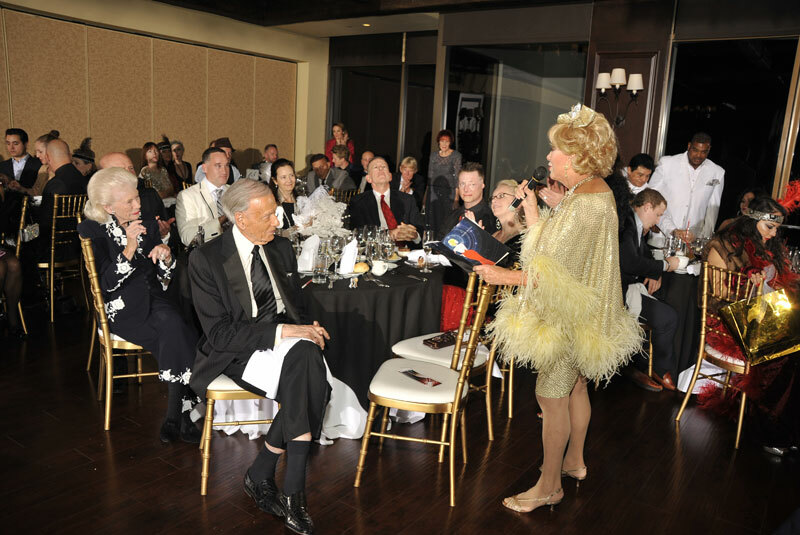 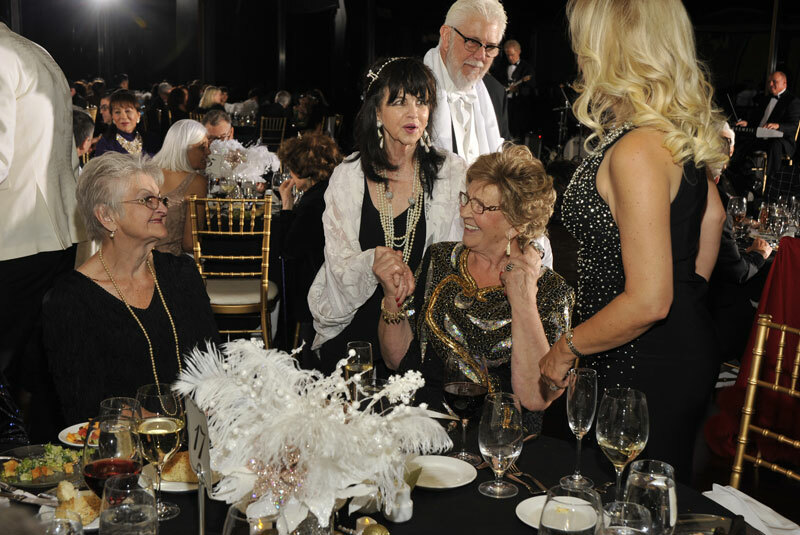 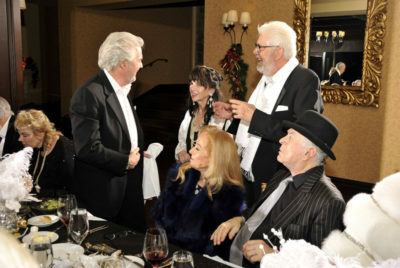 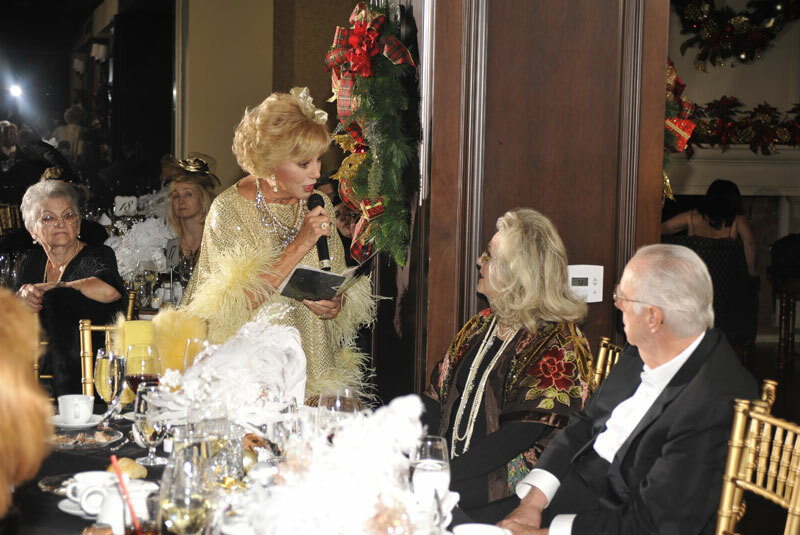 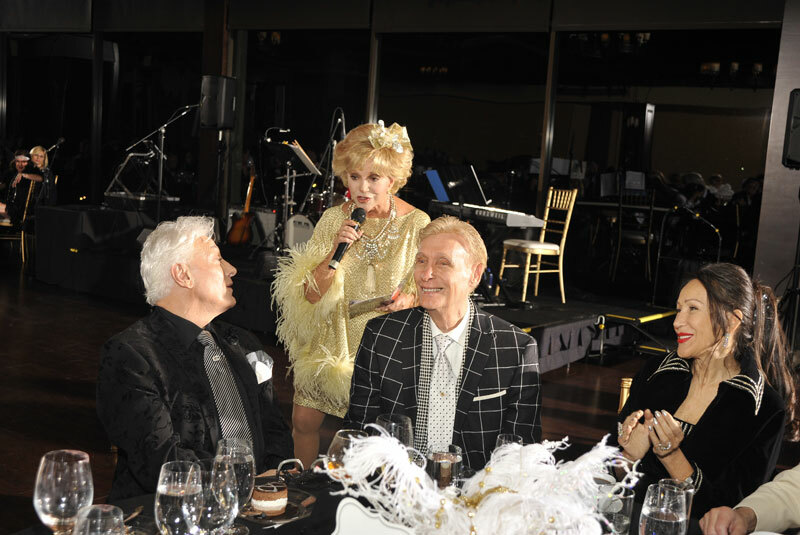 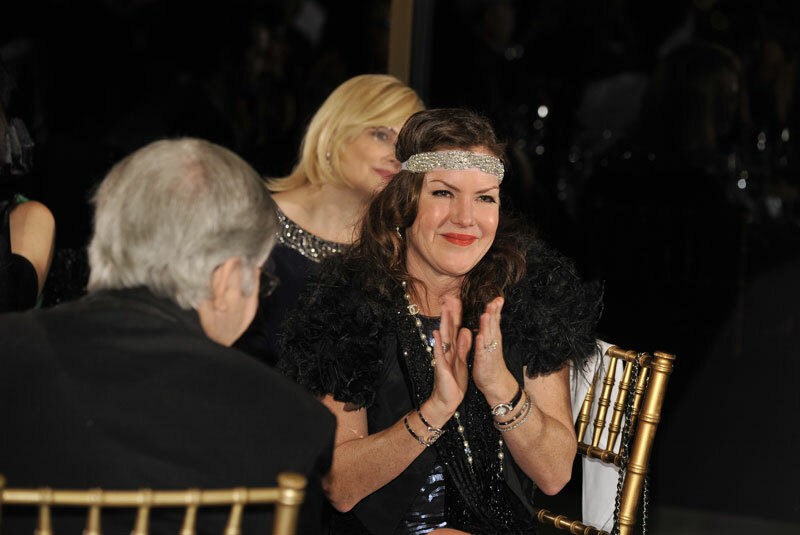 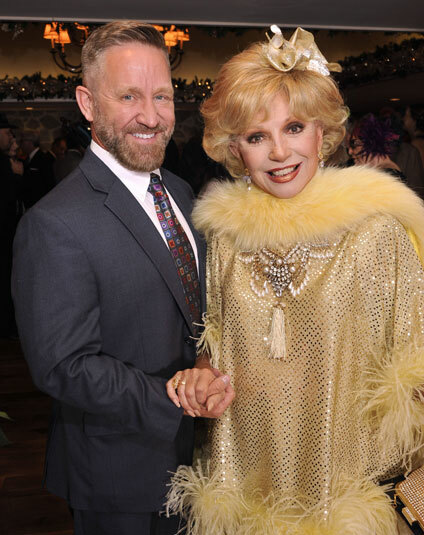 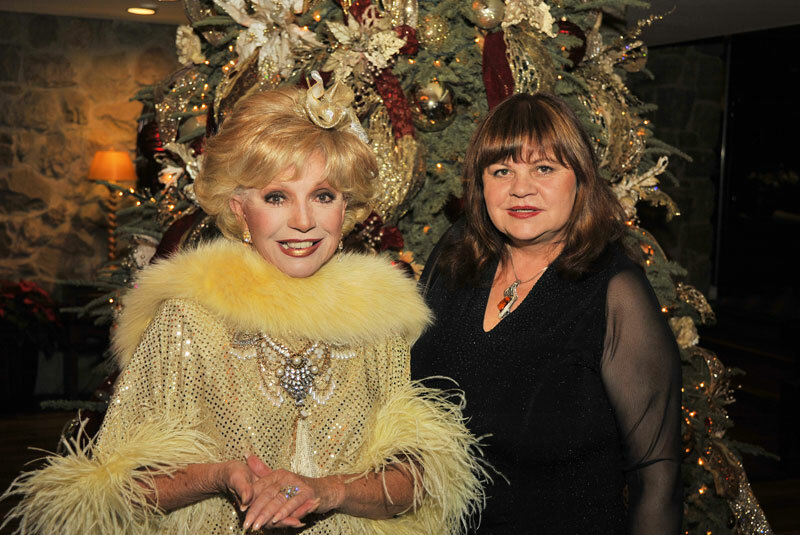 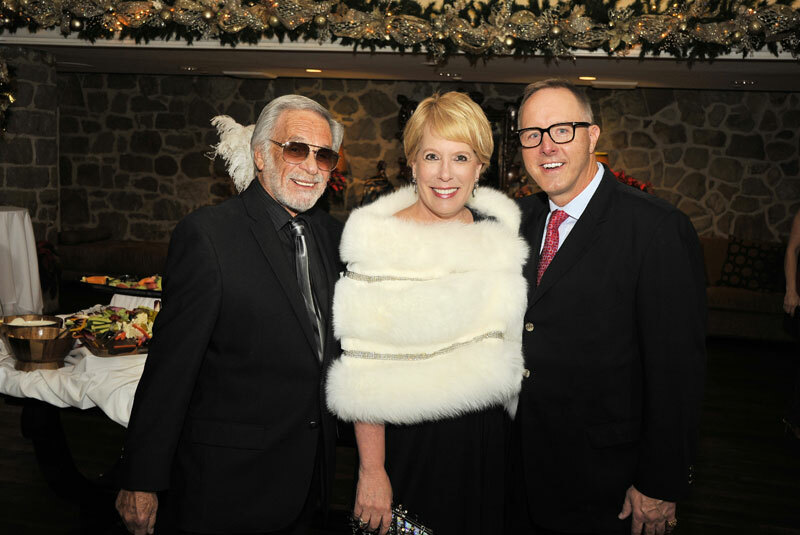 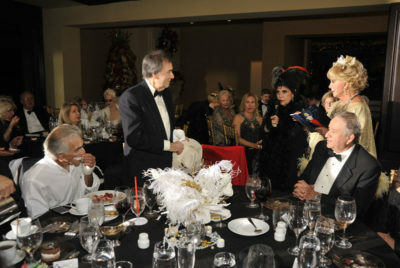 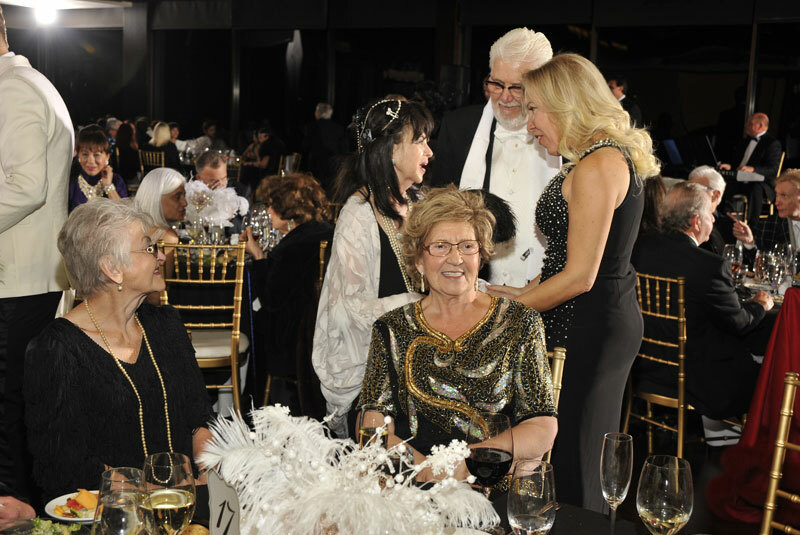 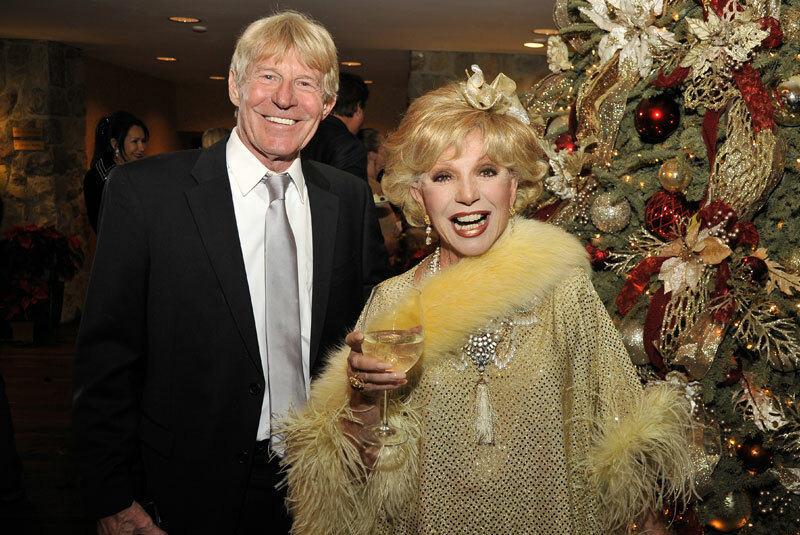 In addition to Thalians Executives; Ruta Lee, Dr. Irwin Lehrhoff & Kira Reed Lorsch, all The Thalians Board Members were in attendance, as well as Board of Trustee’s Members Jackie Rosenberg and Dr. Lawrence Piro. 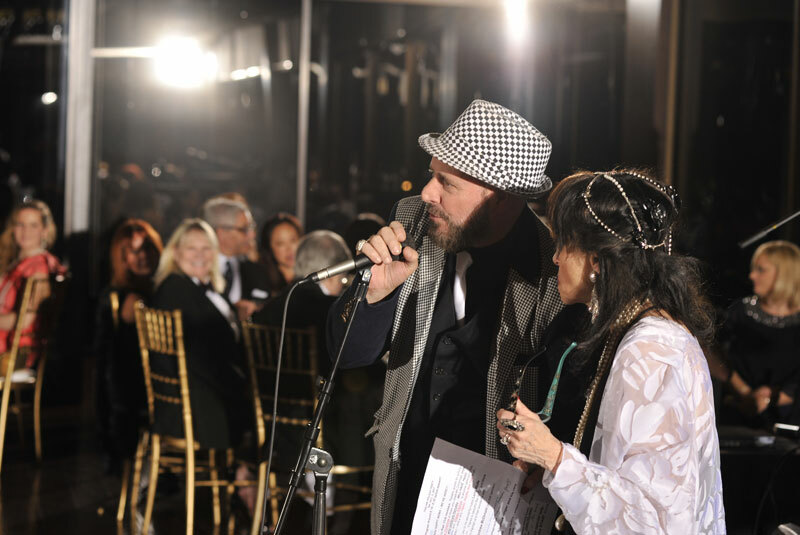 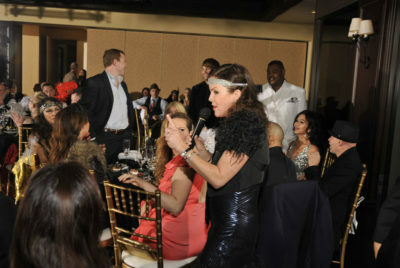 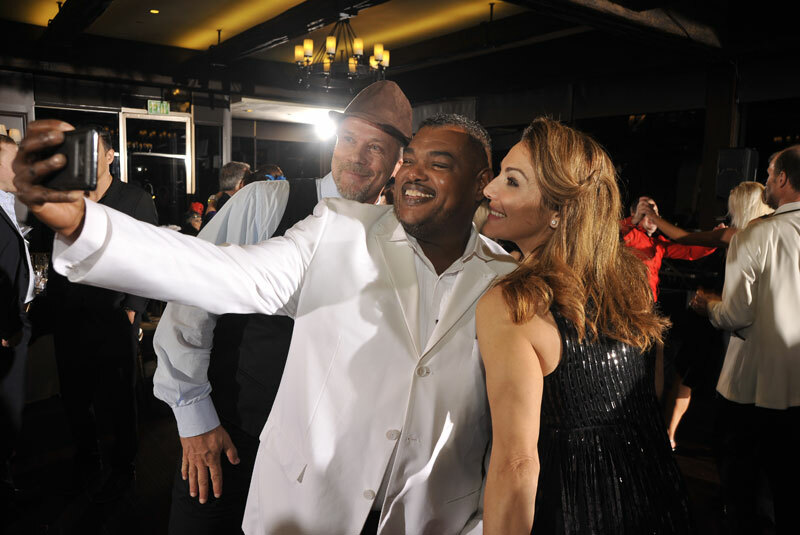 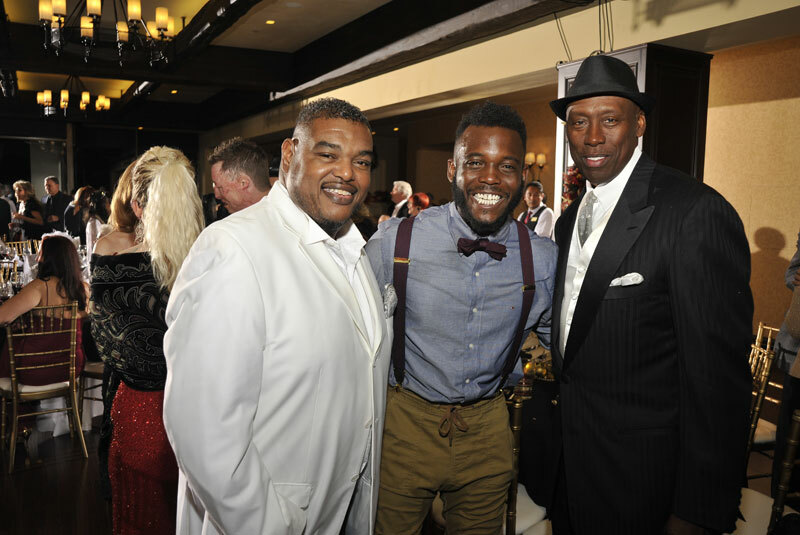 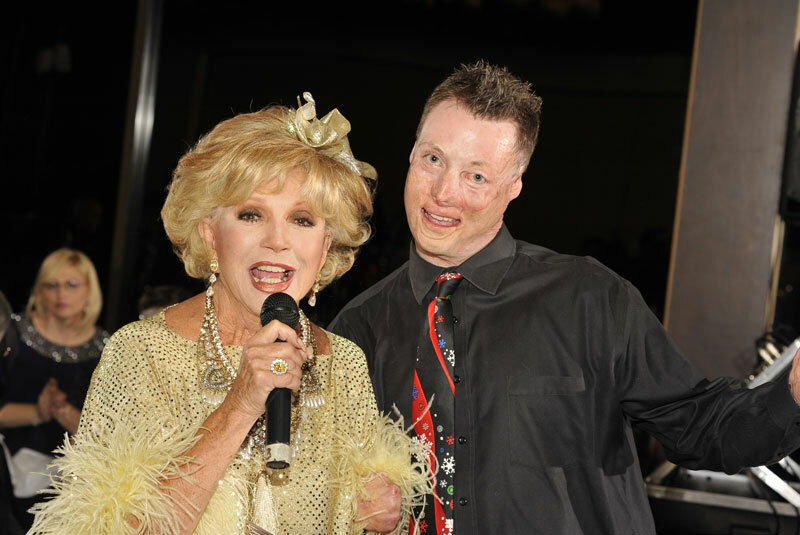 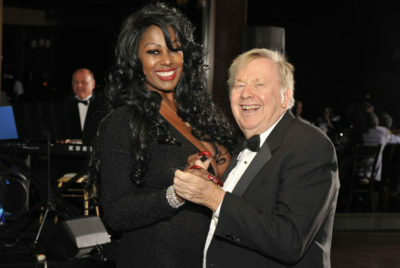 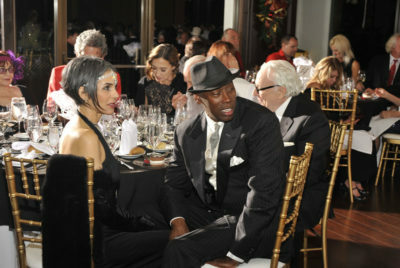 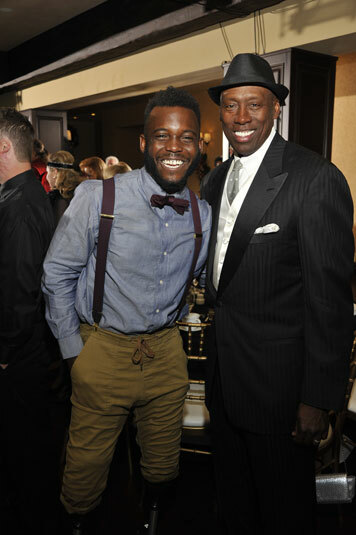 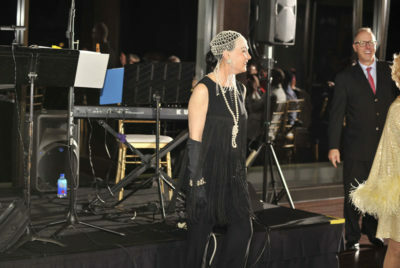 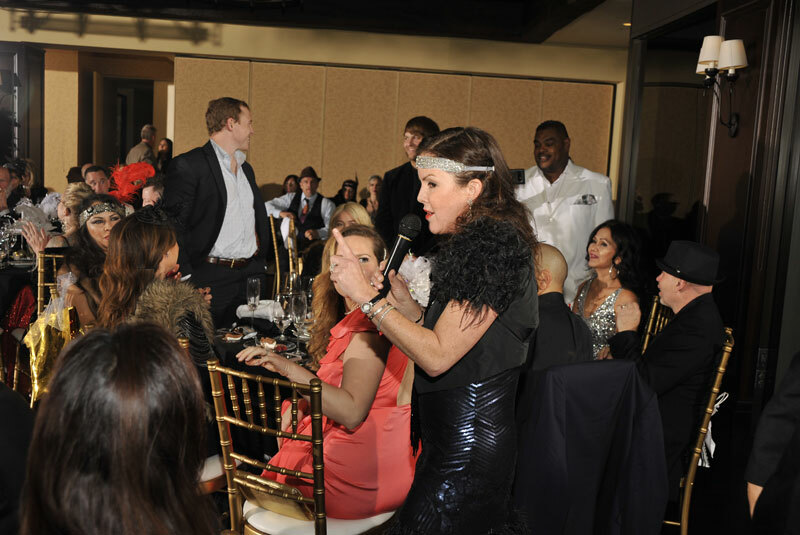 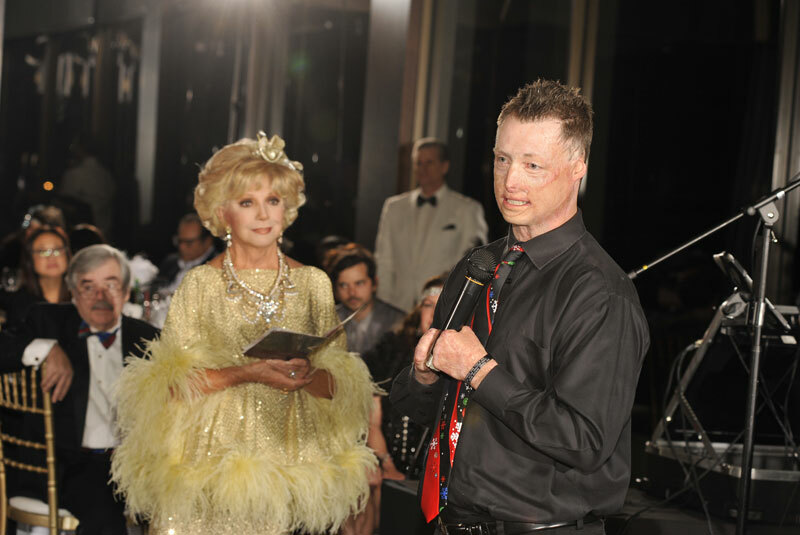 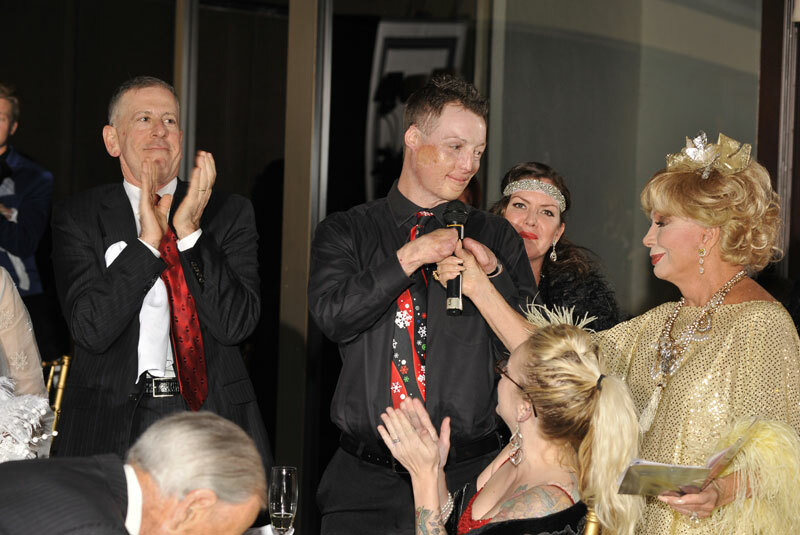 Among other distinguished and celebrity guests were: Paul Sorvino, Ann Jillian, Patricia Kelly (Mrs. Gene Kelly), several Emmy award-winning “soap stars”, and Blake Leeper; World Champion double amputee-track & field American blade runner. 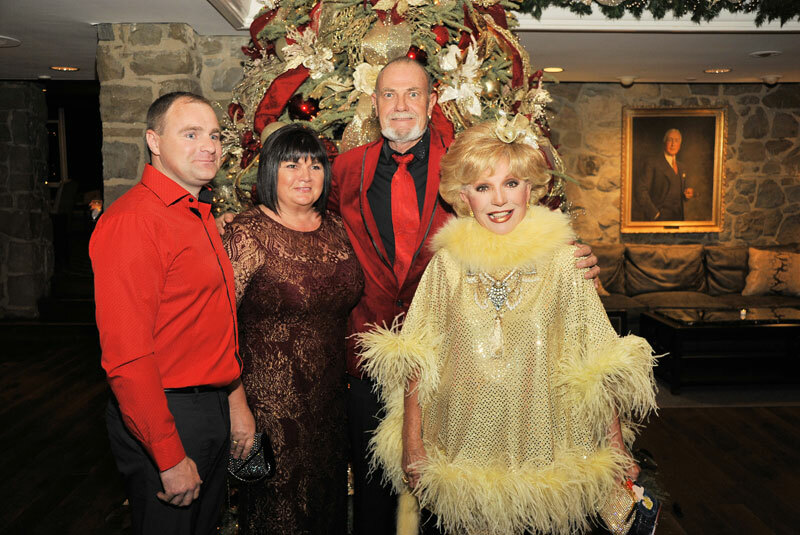 We were also honored with the presence Lithuanian dignitaries: Daiva Navarette (Honorary Consul General of Lithuania) and Darius Gaidys, (Consul General of Lithuania). 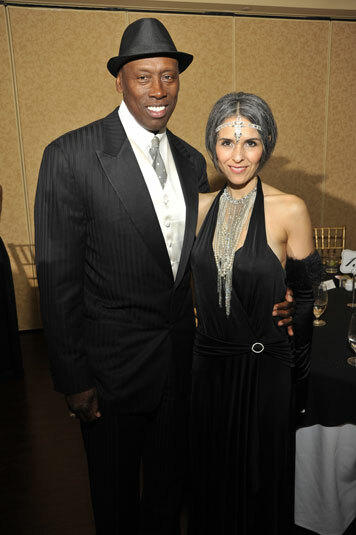 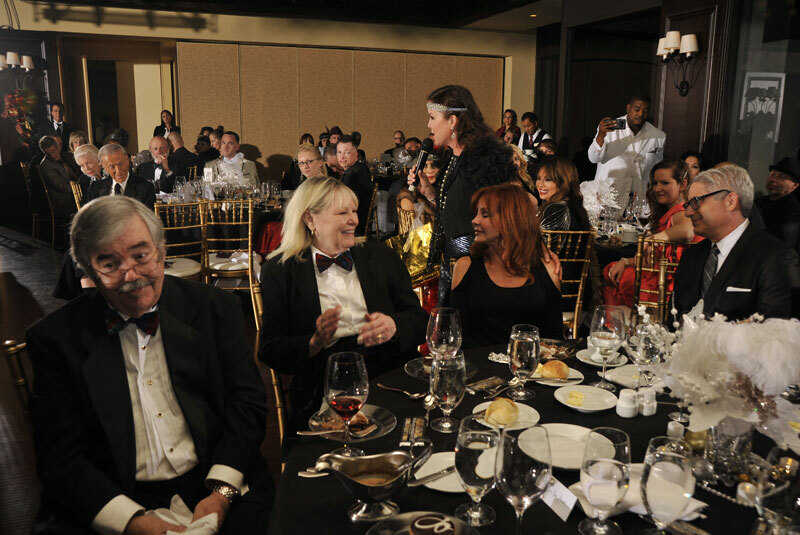 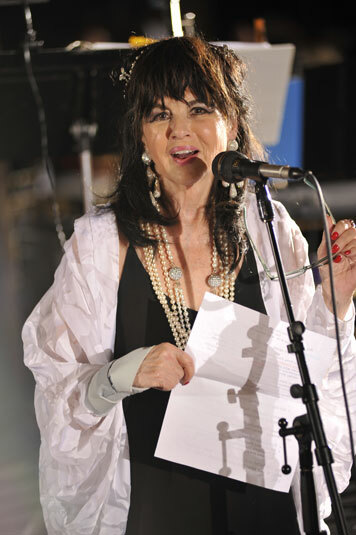 The Thalians continued their charitable endeavors by supporting mental health for over 60 years; currently for wounded warriors through UCLA Operation Mend. 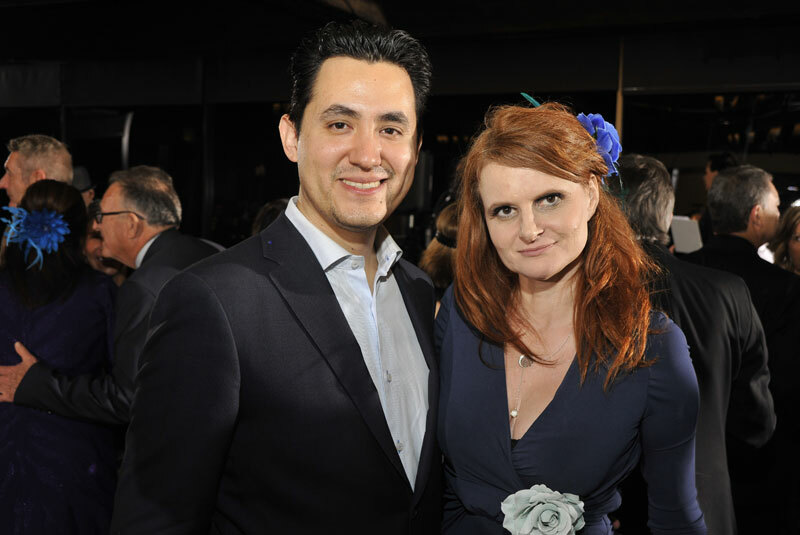 We recently contributed another $250,000: adding to our impressive 5-year contribution of $1,450,000 for this worthy cause. 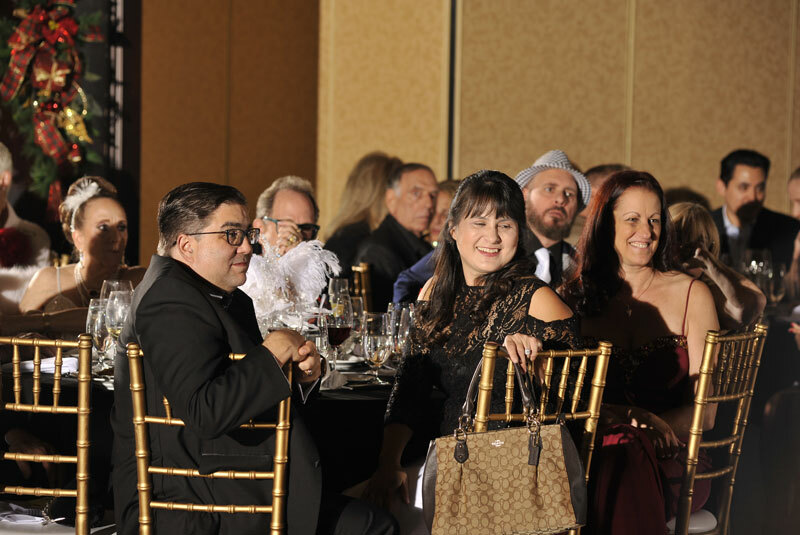 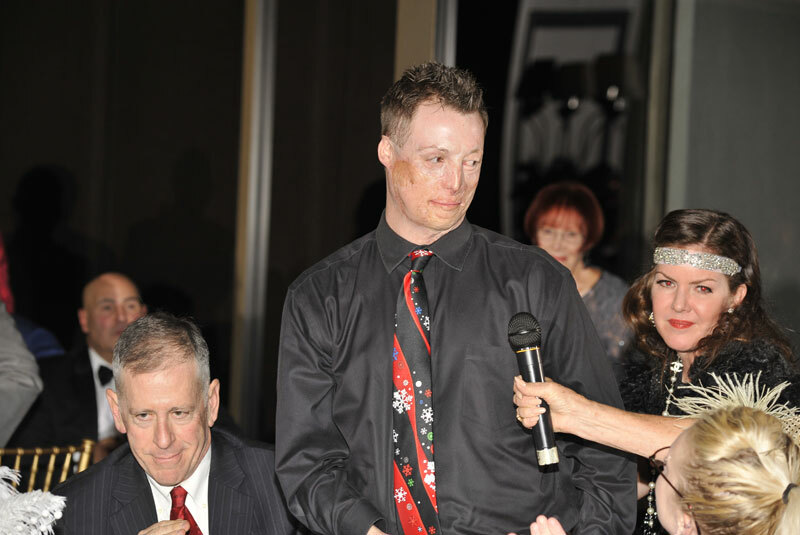 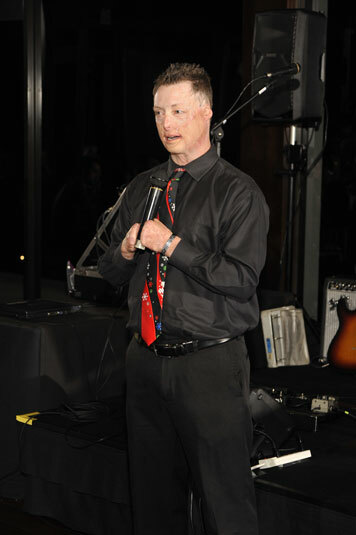 At this event, we were also honored and happy to have Operation Mend’s exceptional Dr. Thomas Strouse, staff members, and, representing the “wounded warriors”- inspirational Retired Army SPC, Joseph Paulk. 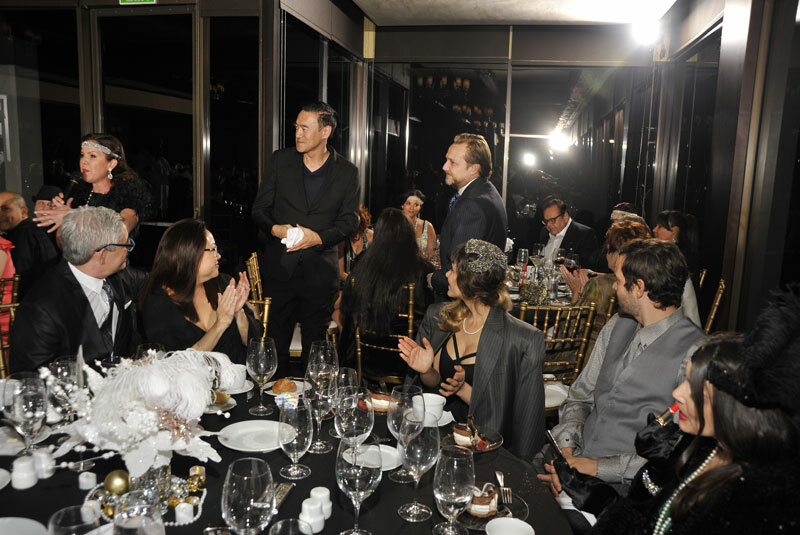 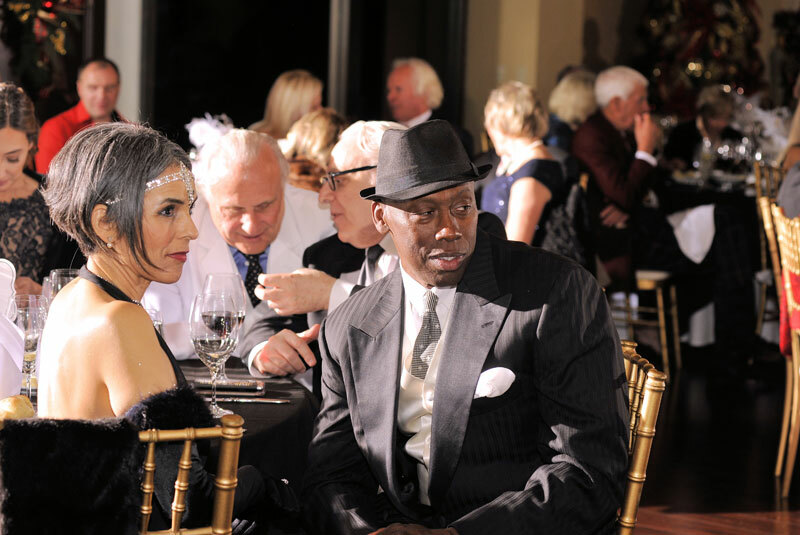 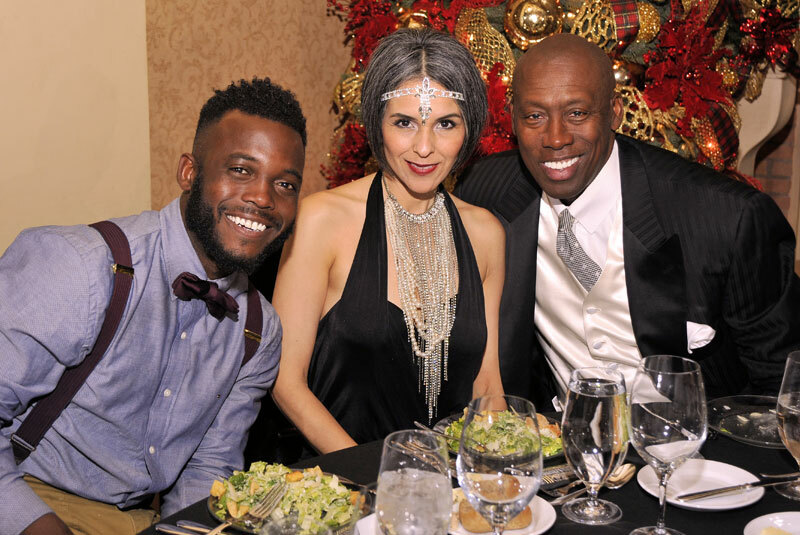 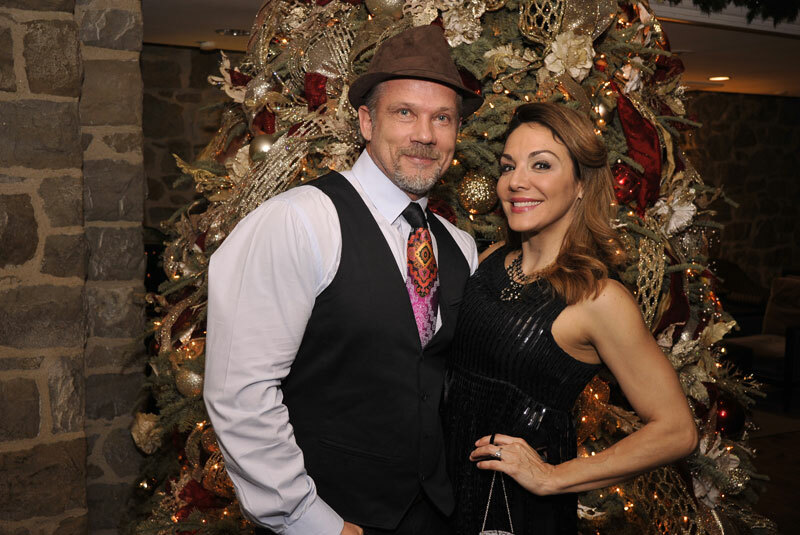 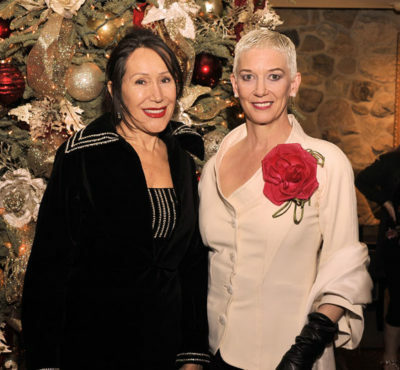 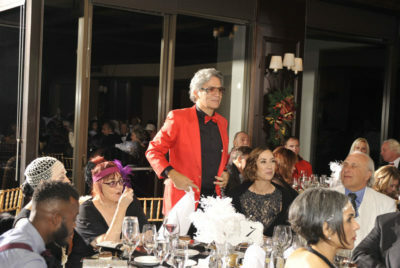 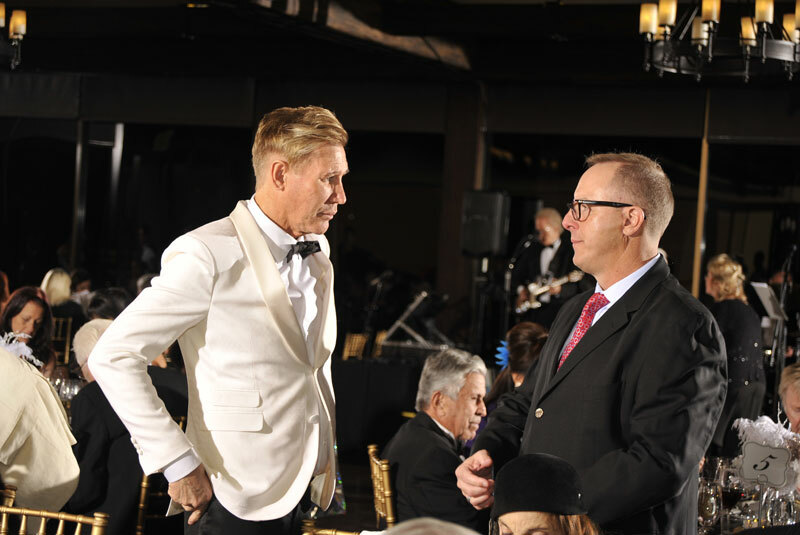 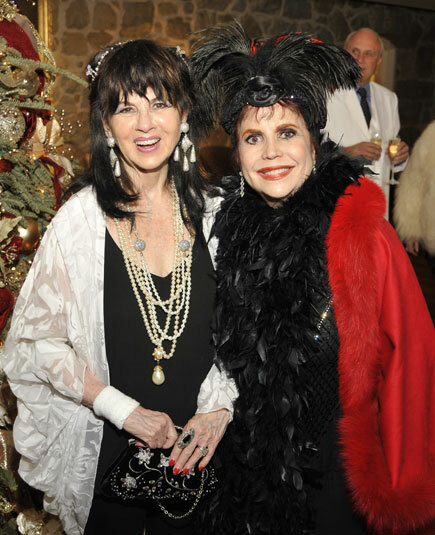 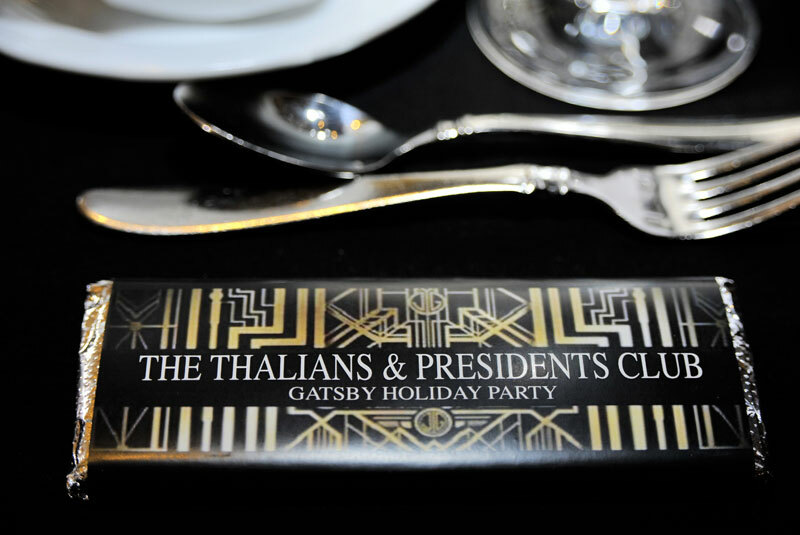 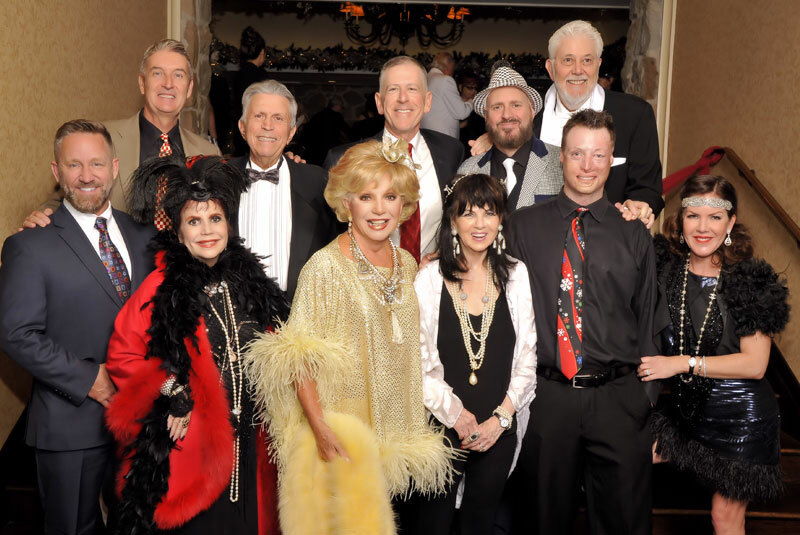 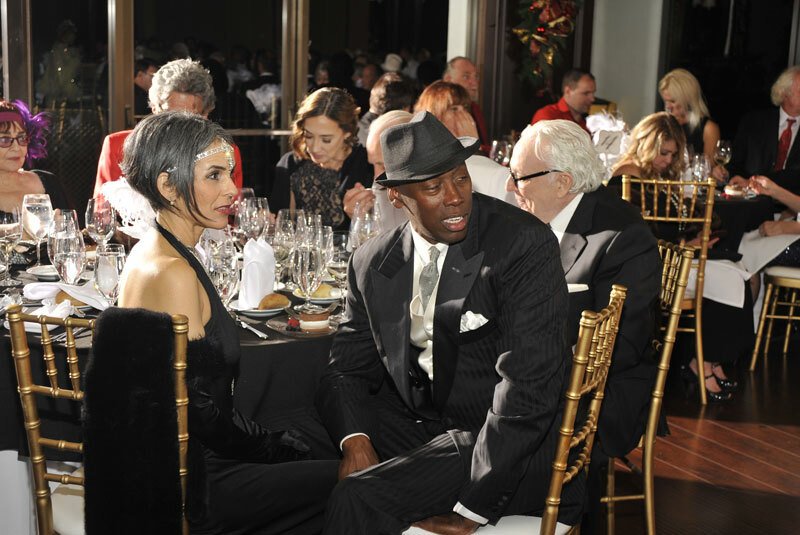 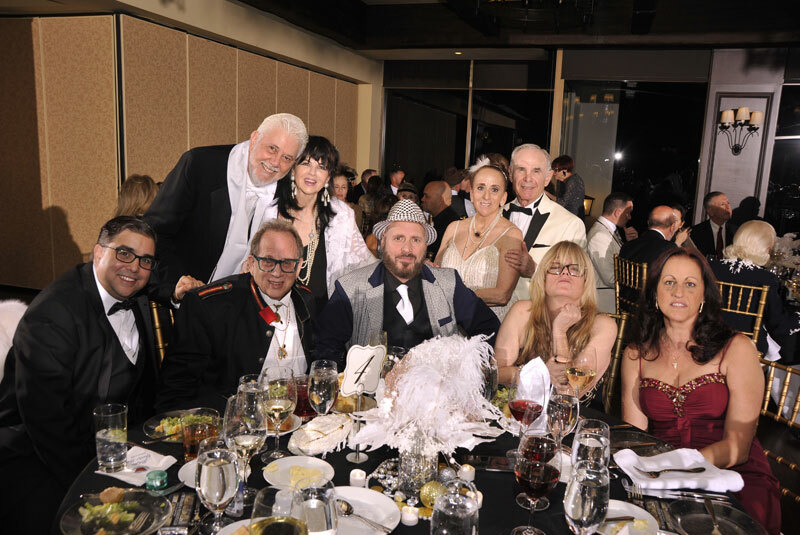 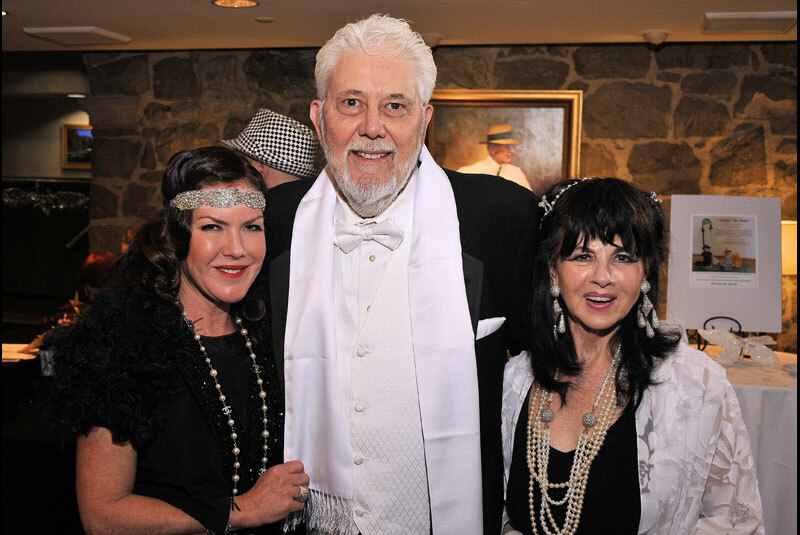 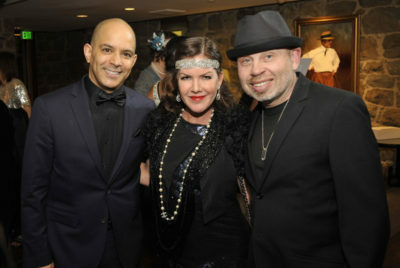 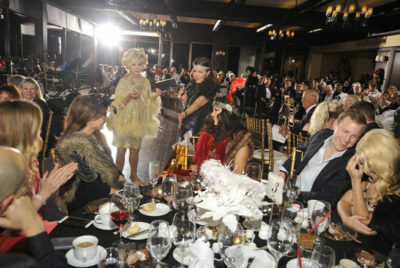 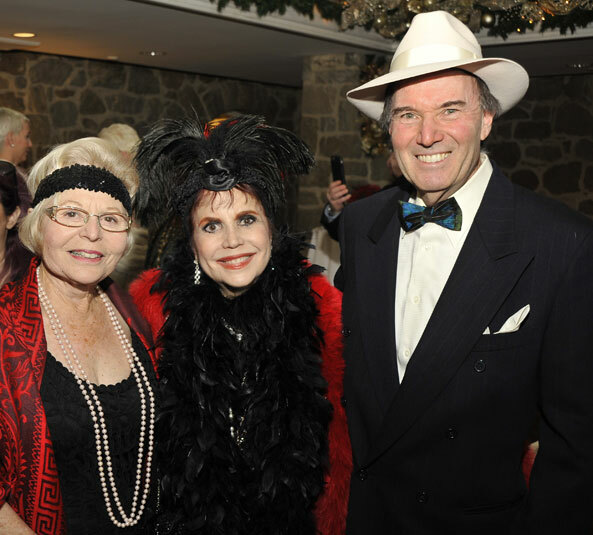 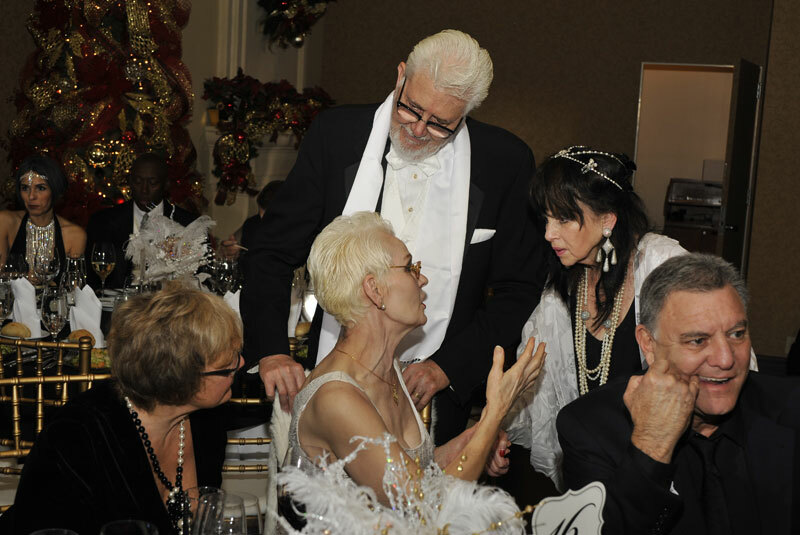 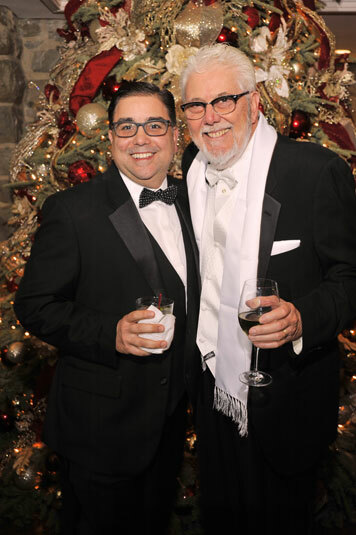 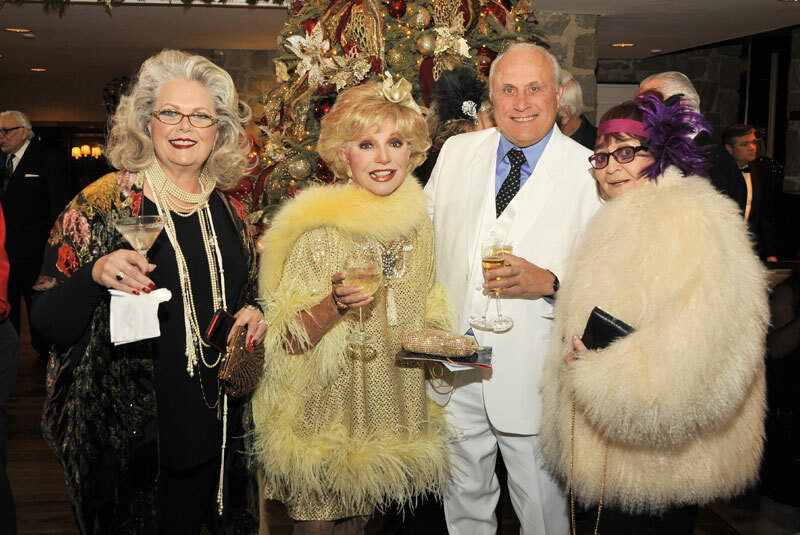 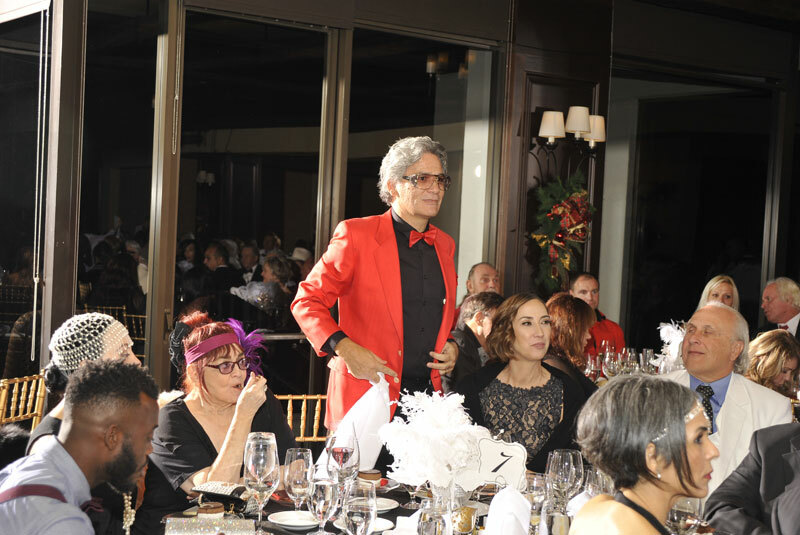 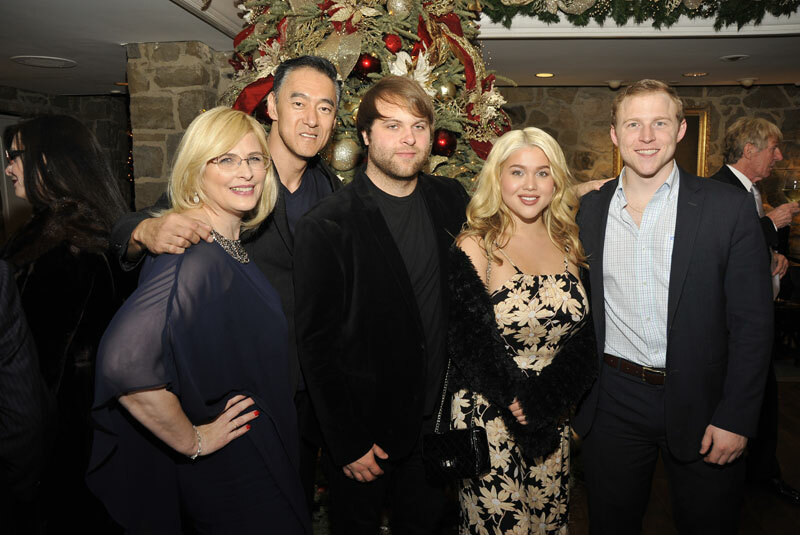 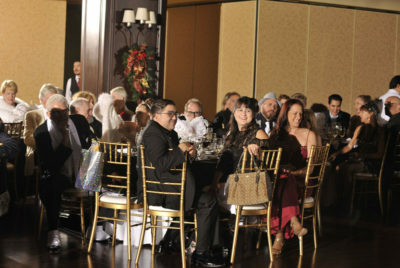 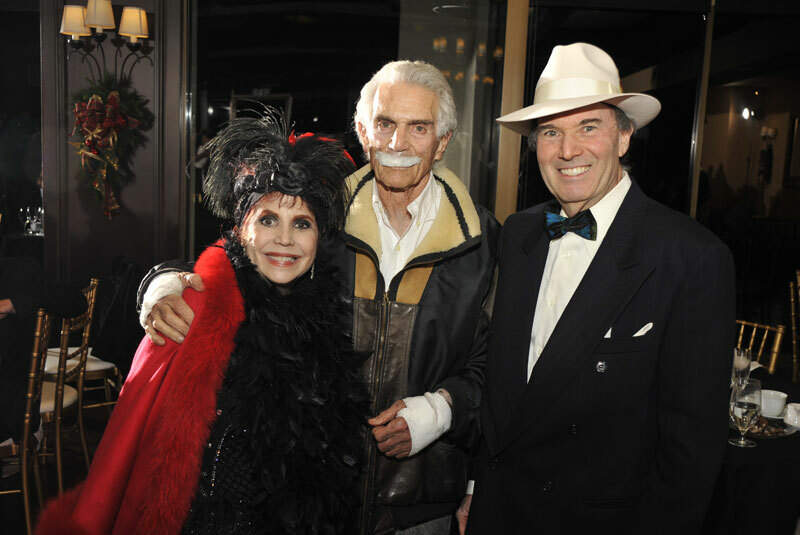 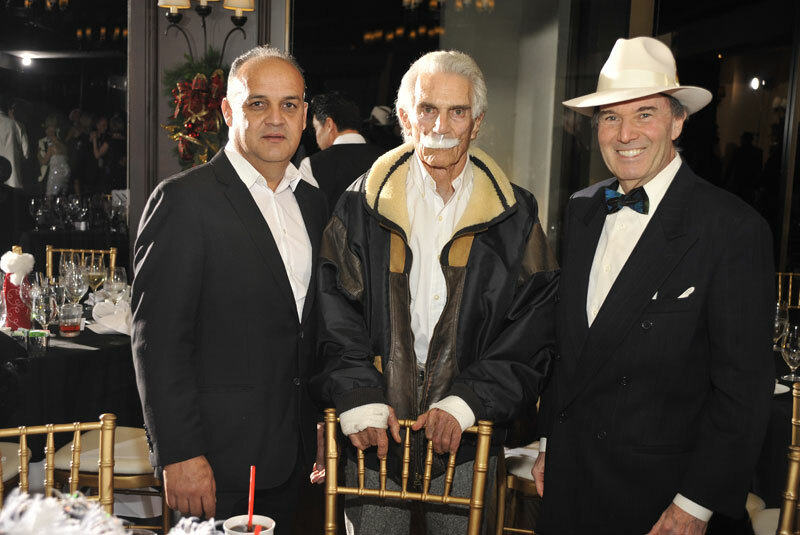 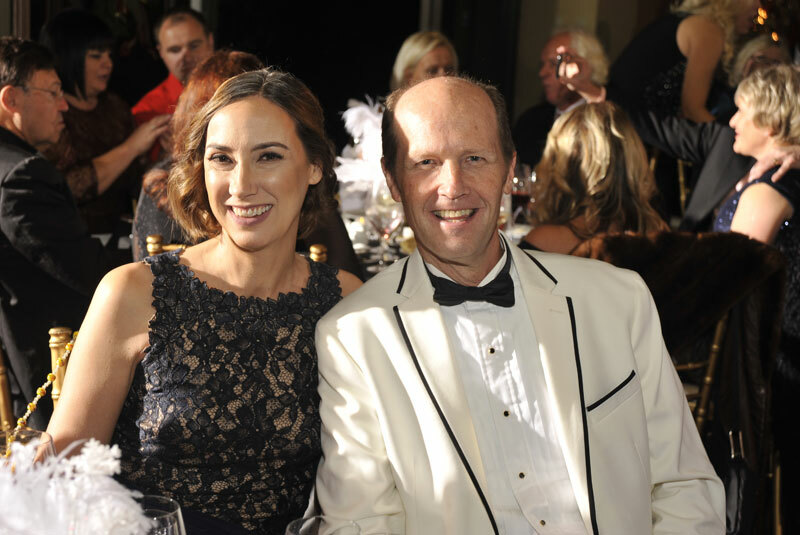 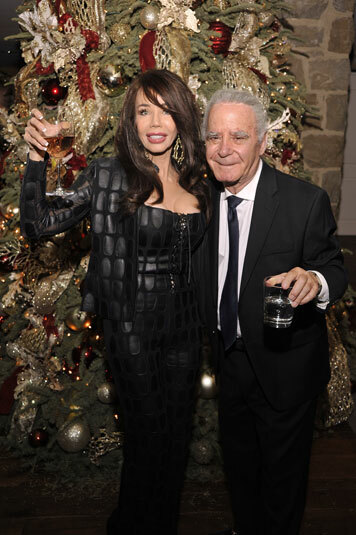 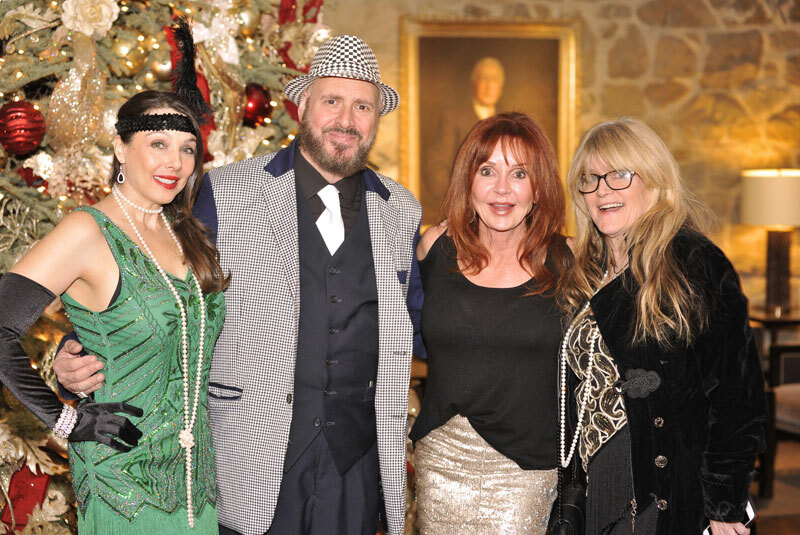 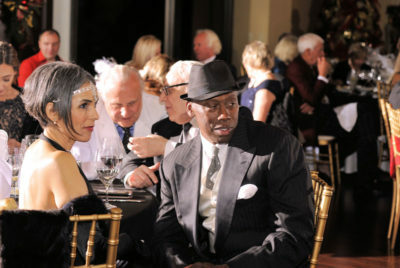 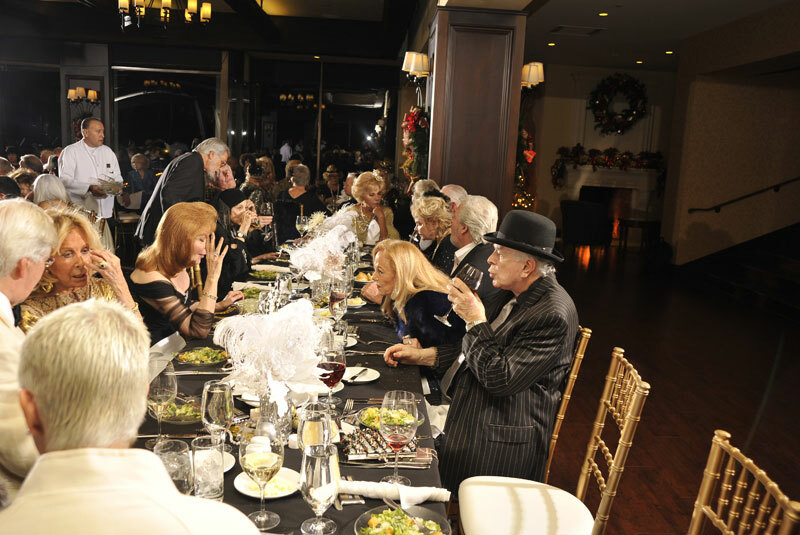 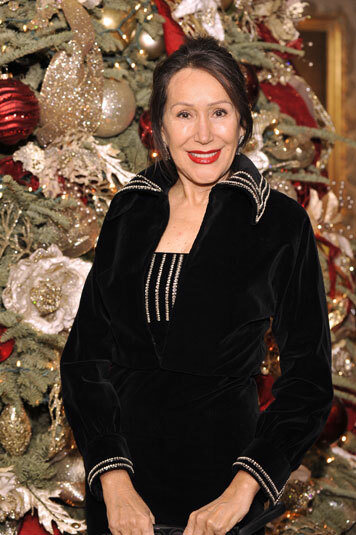 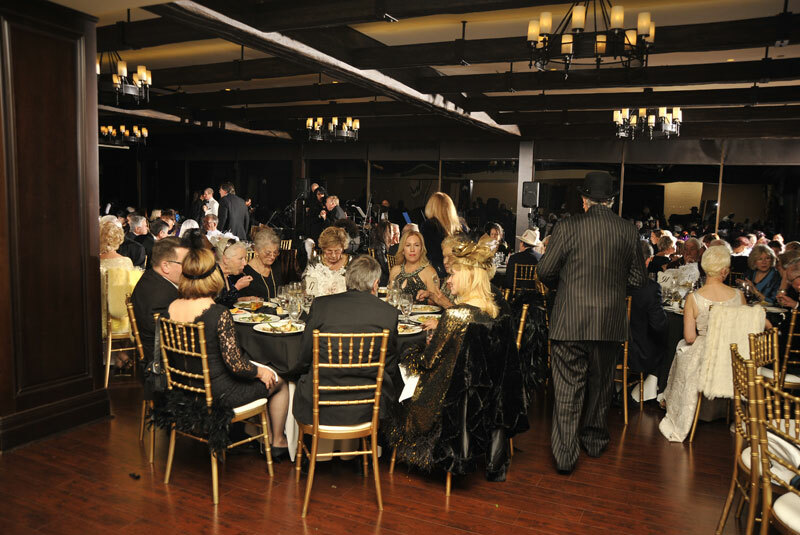 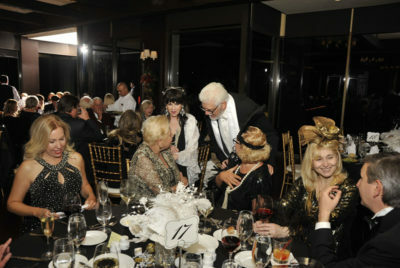 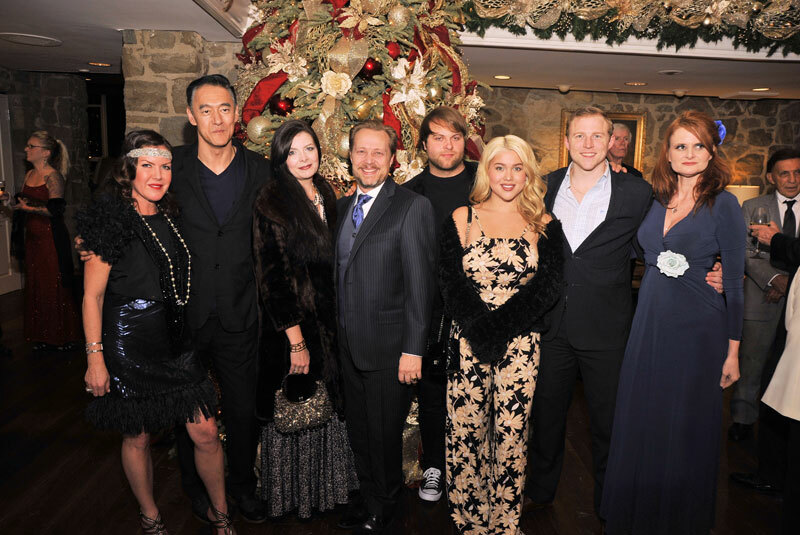 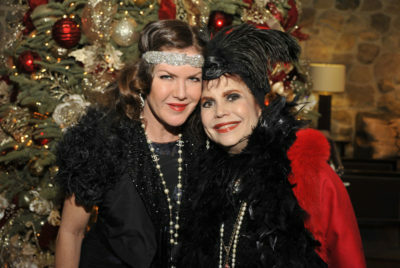 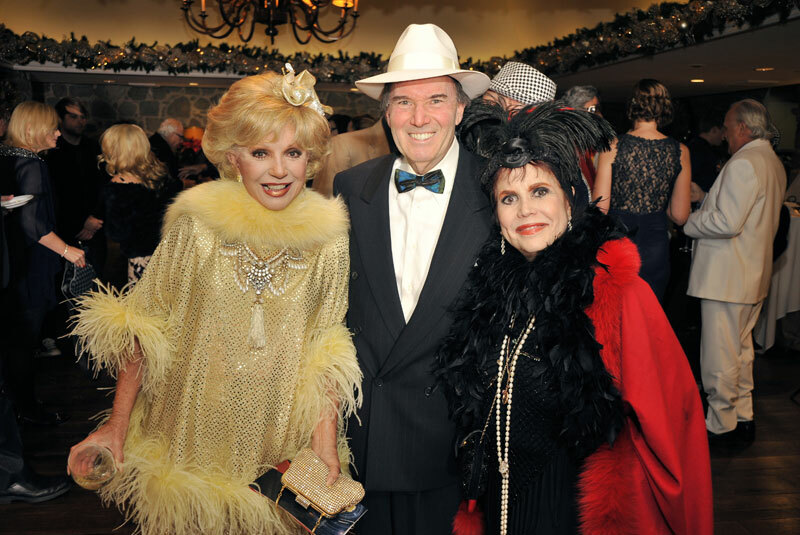 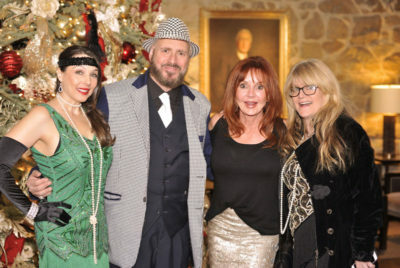 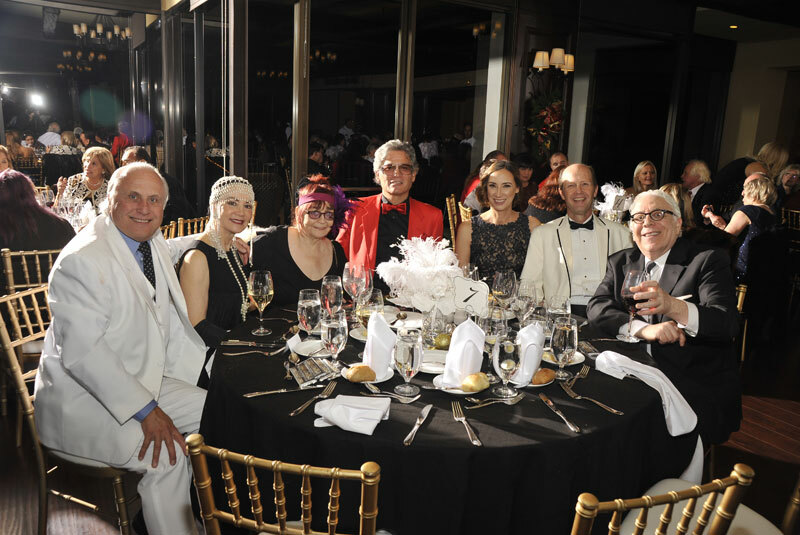 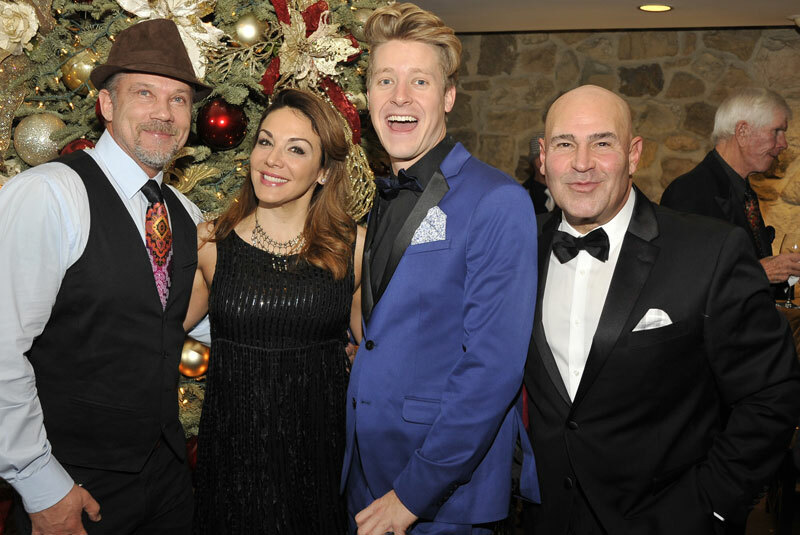 The Thalians Board of Directors – December 9, 2017 – The Thalians & Presidents Club Gatsby Holiday Party was held at the Bel-Air Country Club; continuing to raise money for UCLA Operation Mend. 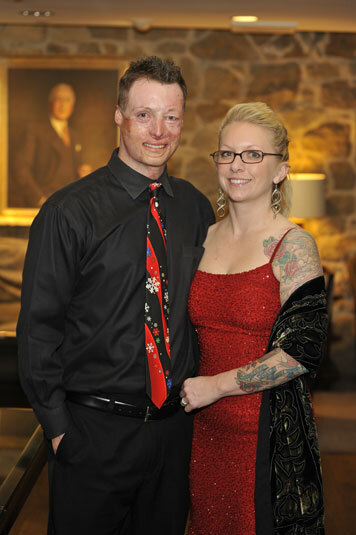 Op Mend is devoted to helping brave military men and women heal the wounds of war not only in body, but mind and spirit as well. 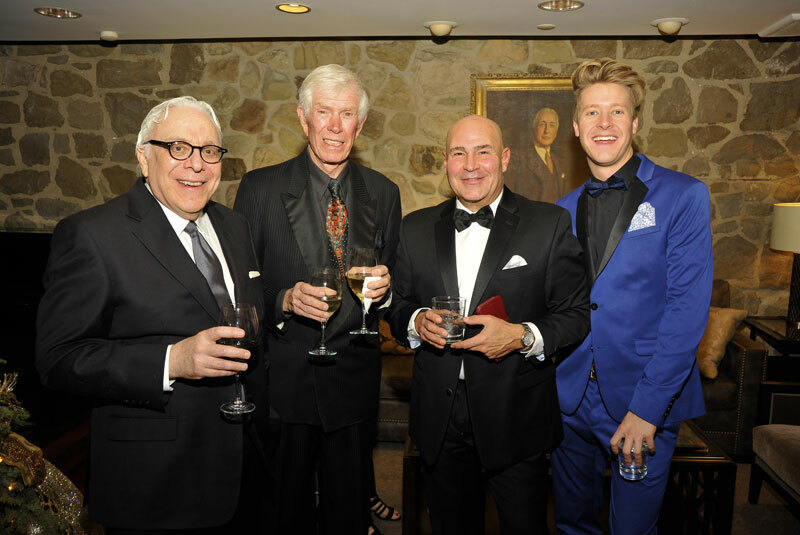 Top row left to right Andrew McDonald; Dr. Irwin Lehrhoff (Chairman of the Board); Dr. Tom Strouse, (OP Mend – Director of UCLA’s Resnick Neuropsychiatric Hospital); Frank Sheftel; Larry Wolfe. 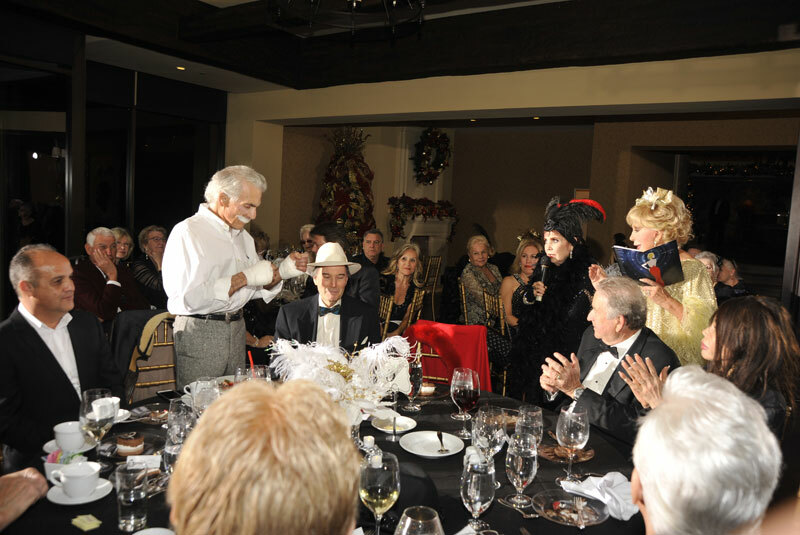 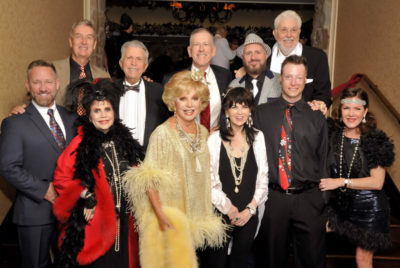 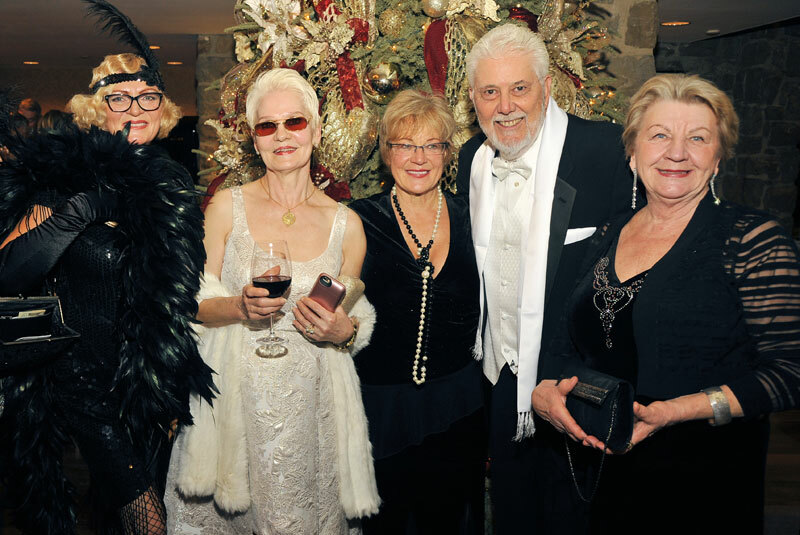 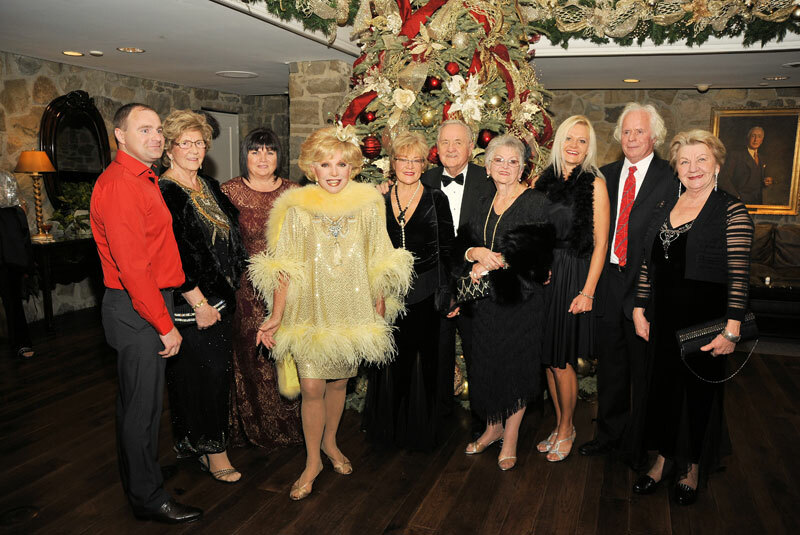 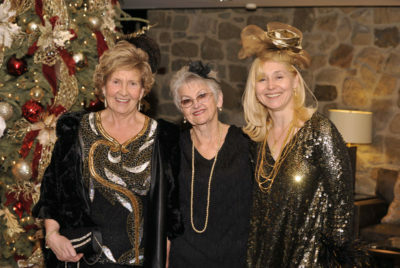 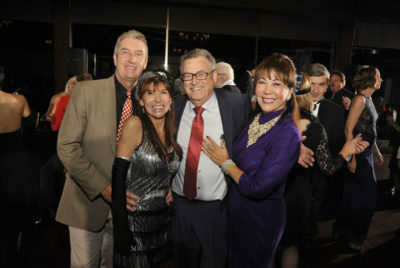 Bottom row left to right, Brian Theobald; Stephane J. Hibler, Ruta Lee, (Chairman Emeritus), Barbara Cohen-Wolfe (Event Chair), Retired Army SPC, Joseph Paulk, Kira Reed Lorsch (President). 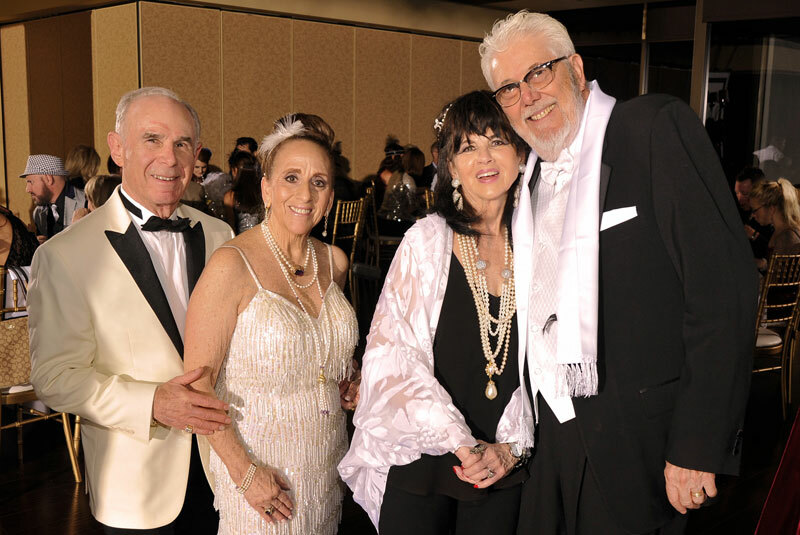 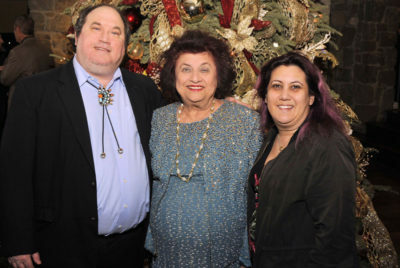 The Thalians wish everyone a happy, healthy New Year…and in the spirit of giving – of this season…if you would like to help The Thalians and UCLA Operation Mend, please click here for your tax deductible donation. Your generosity is much appreciated! 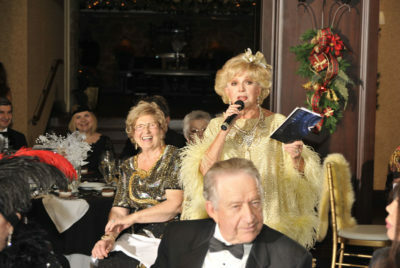 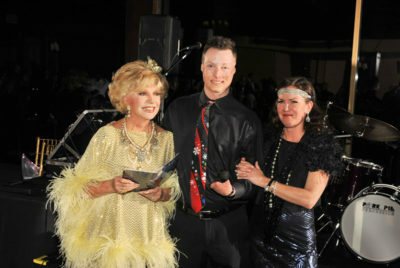 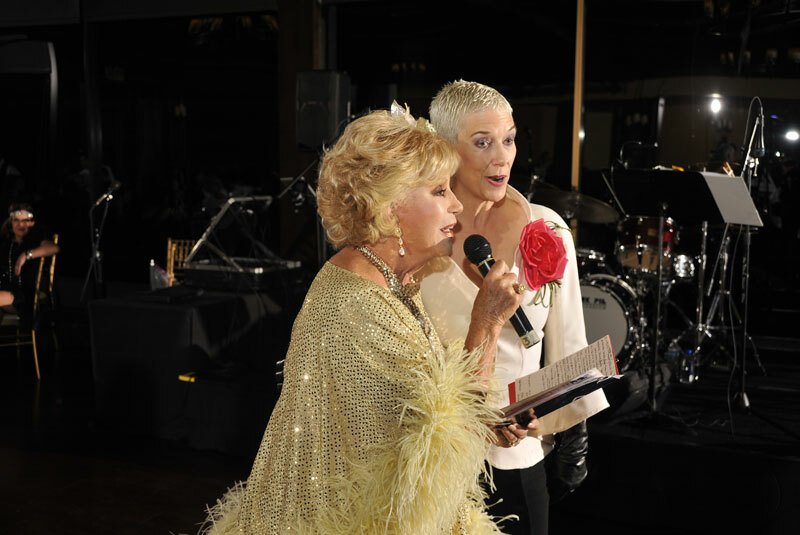 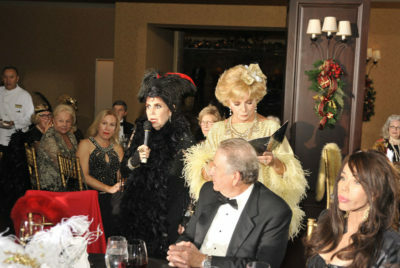 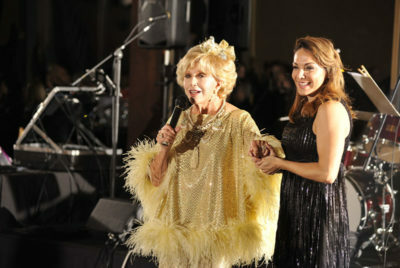 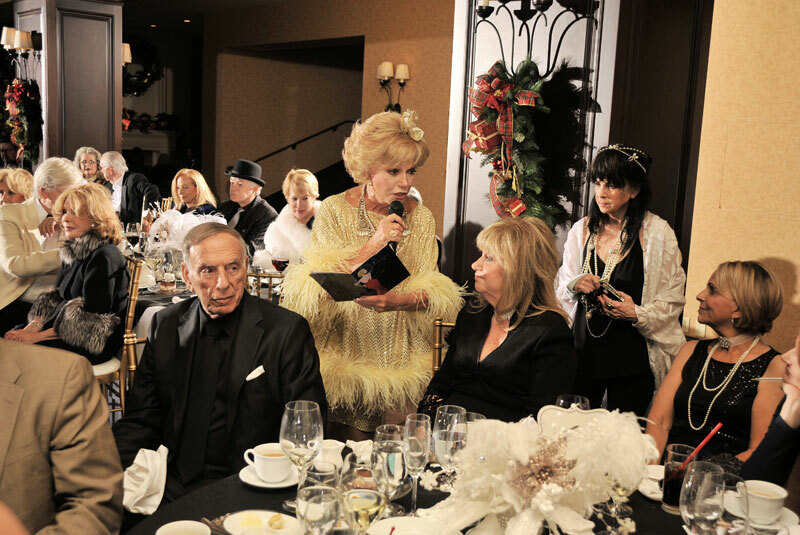 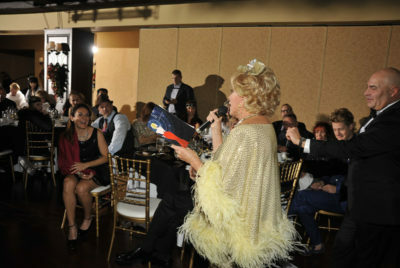 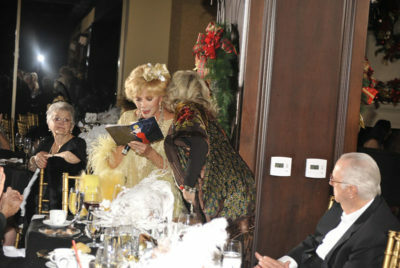 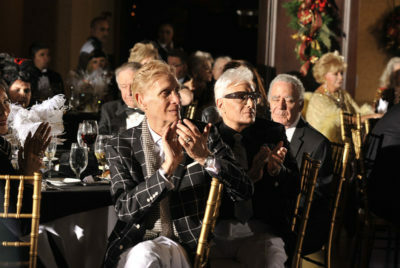 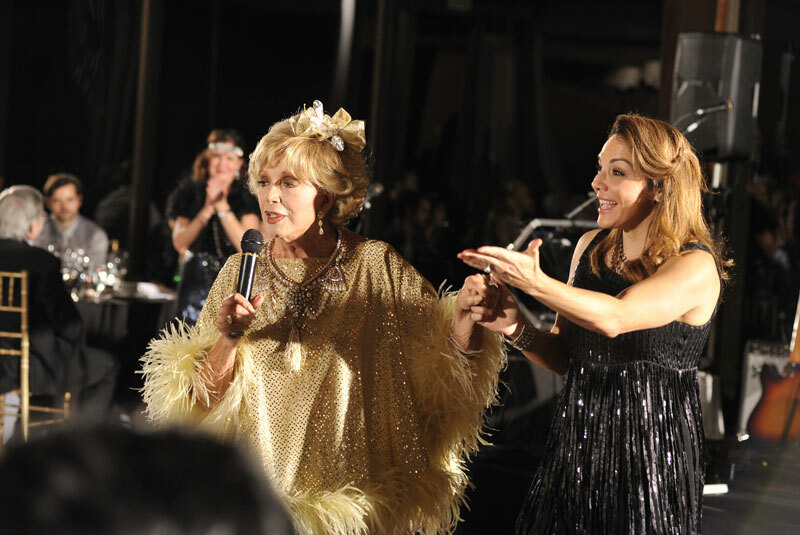 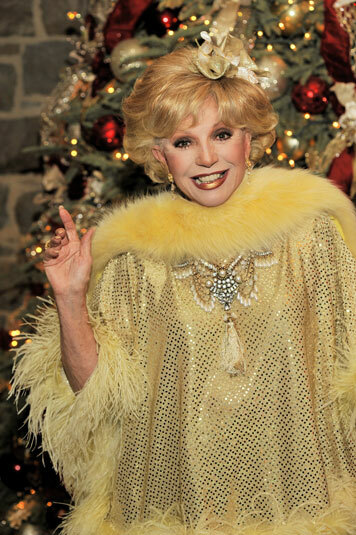 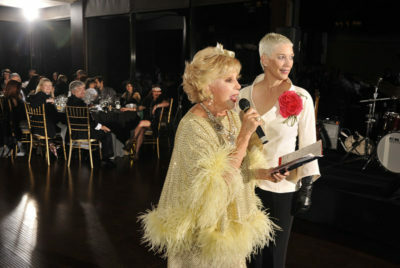 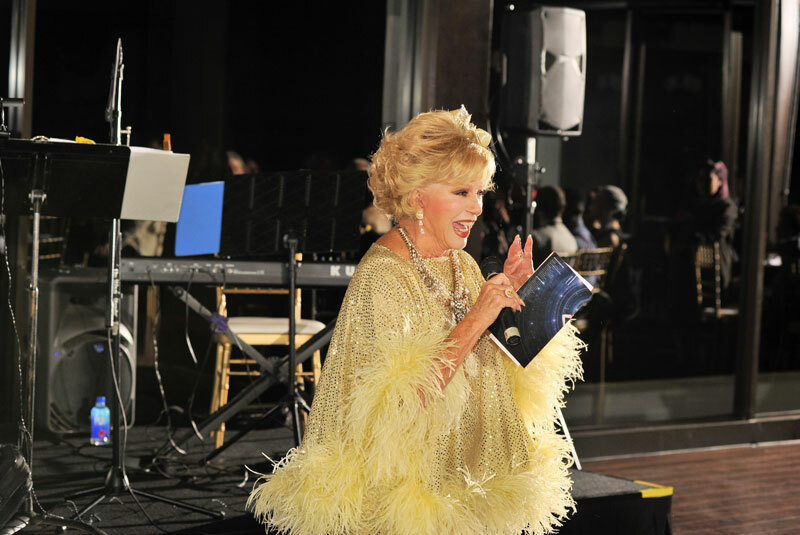 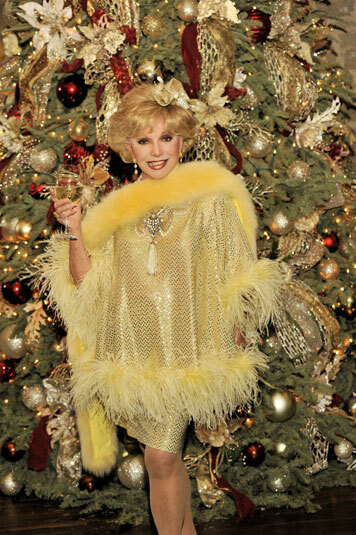 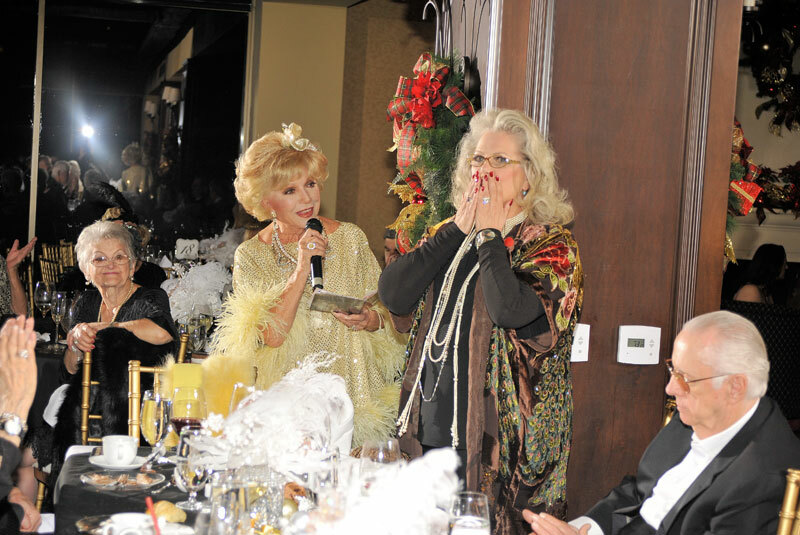 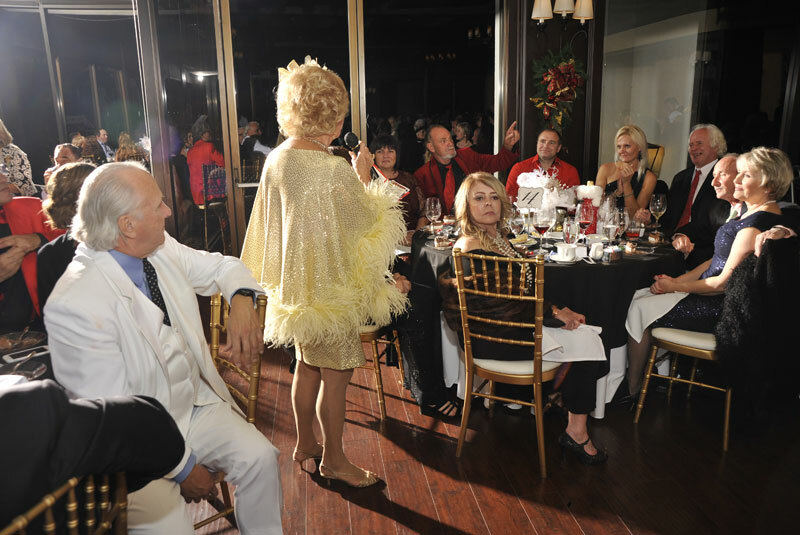 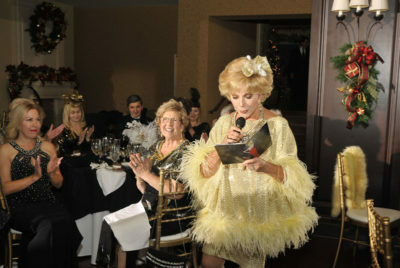 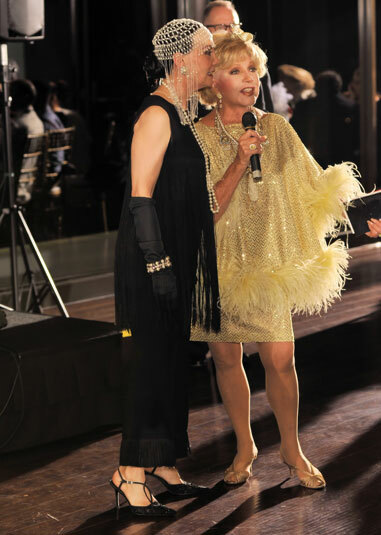 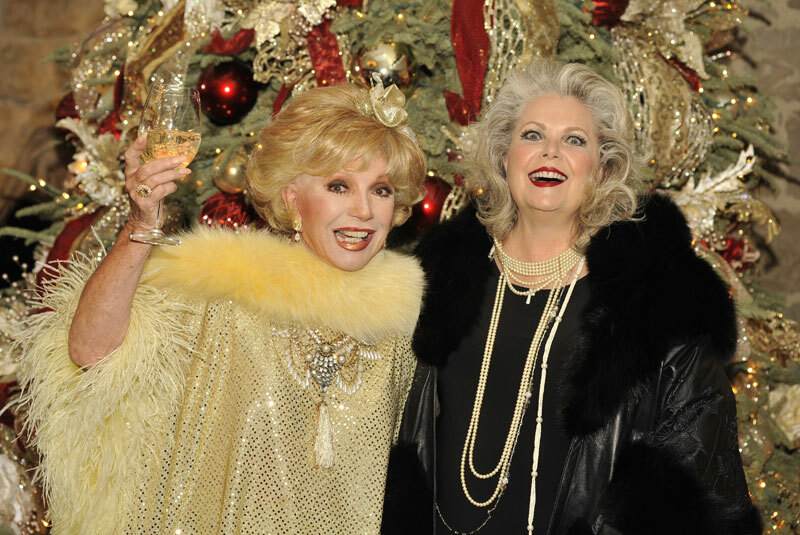 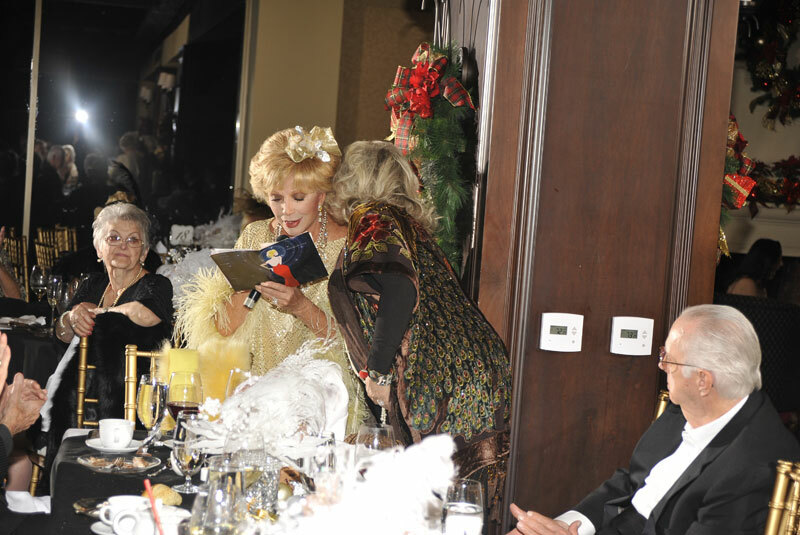 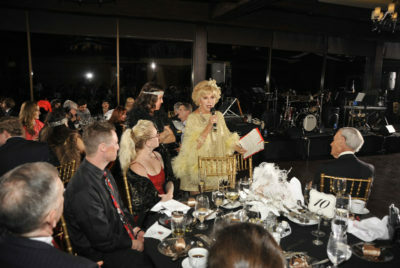 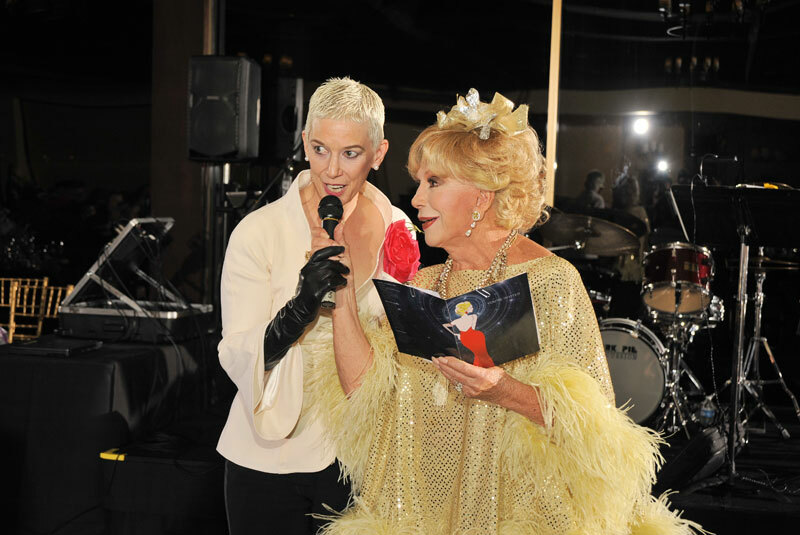 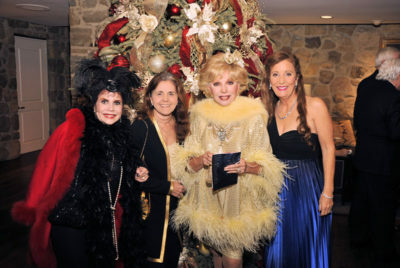 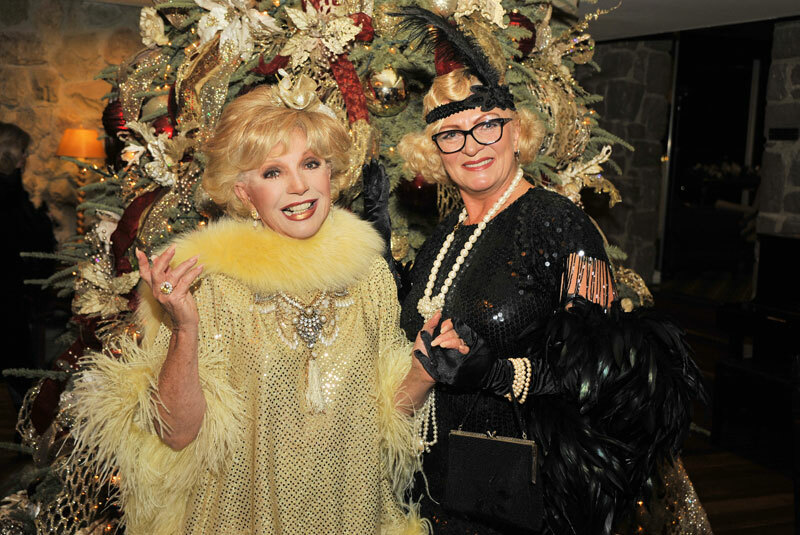 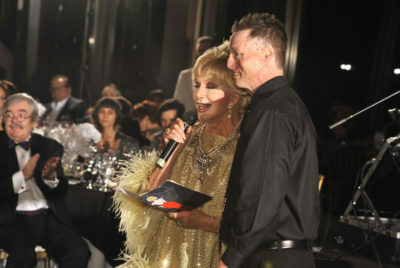 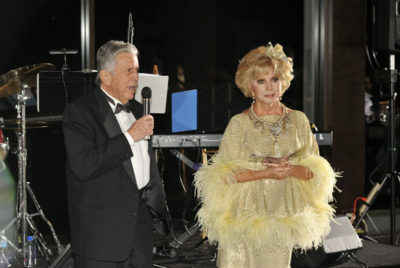 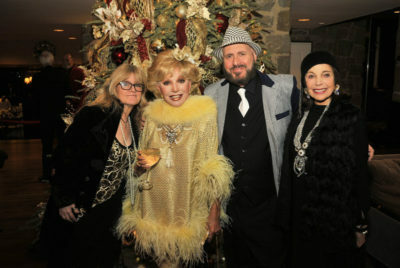 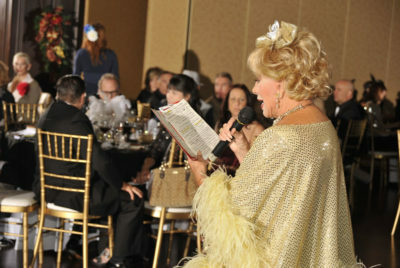 Madeline Gussman for her contribution of $25,000 in tribute to Ruta Lee’s over 50-year commitment to The Thalians. 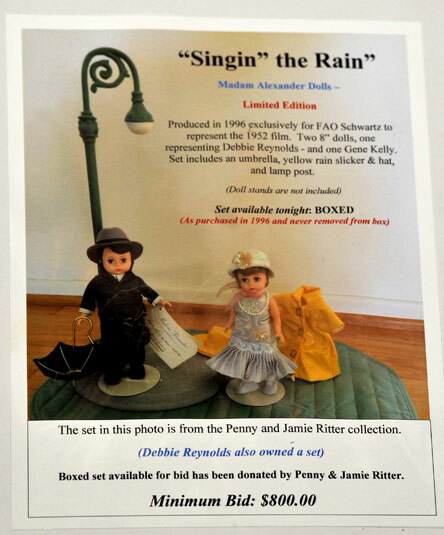 Also to Penny & Jamie Ritter for their donation of “Singing in the Rain” dolls”, Patricia Kelly for her signed Gene Kelly photo, and to Terry Mendoza for her significant winning bid for this unique, collectible set. 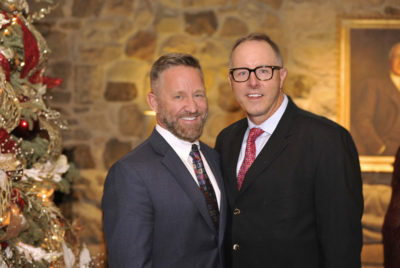 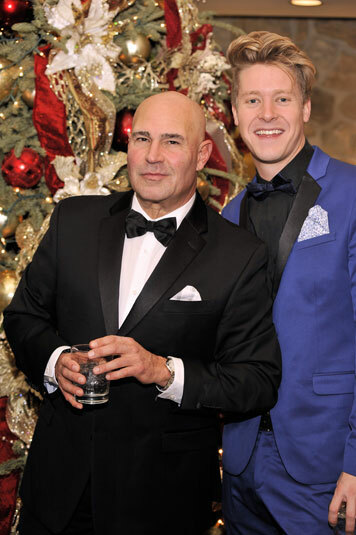 Additional gratitude to Andrew McDonald: Board Member and our Bel-Air Country Club sponsor; and Brian Theobald: Board Member and Thalians website coordinator.